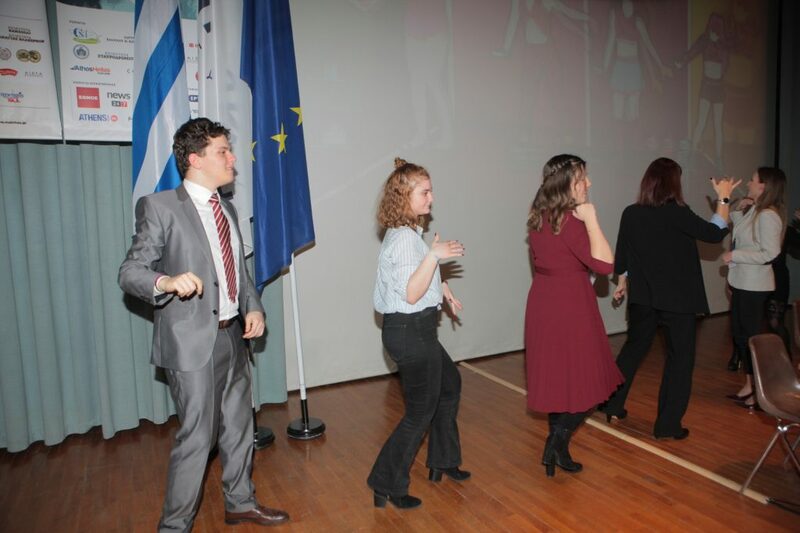 Do it like the European Parliament! 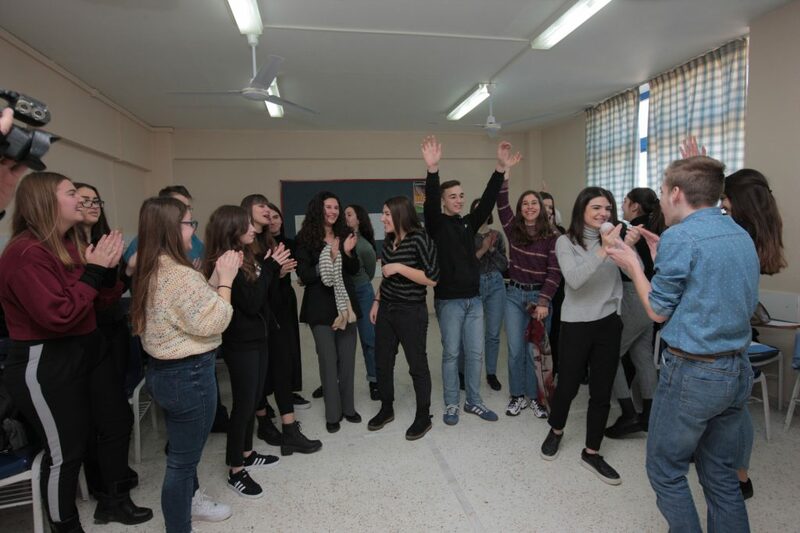 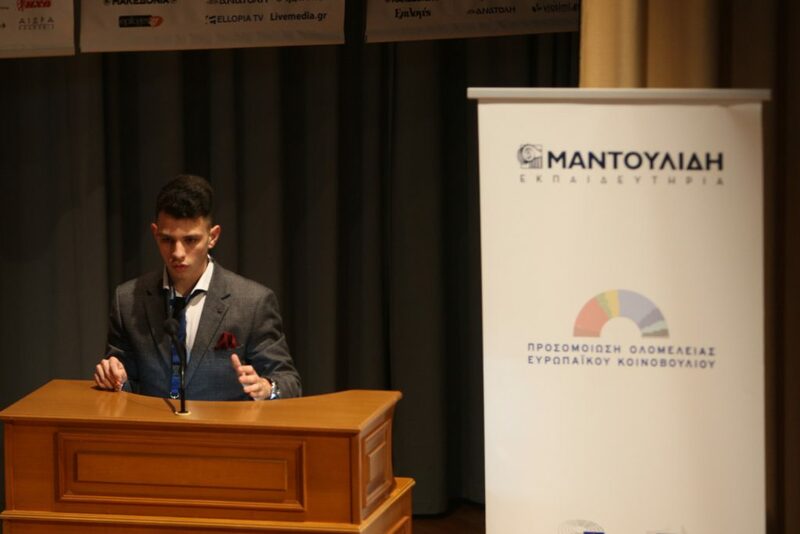 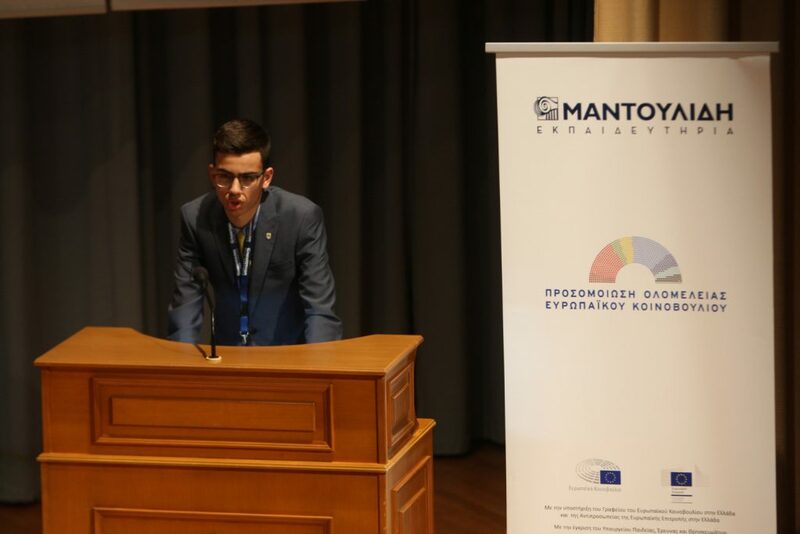 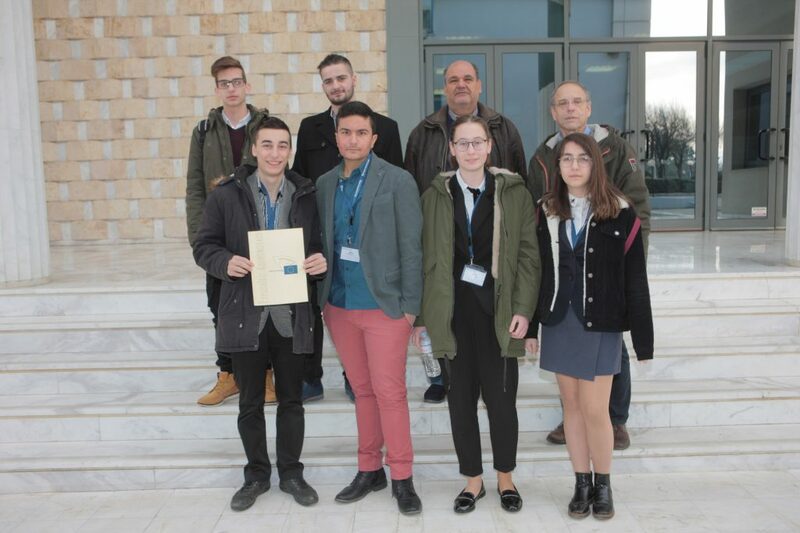 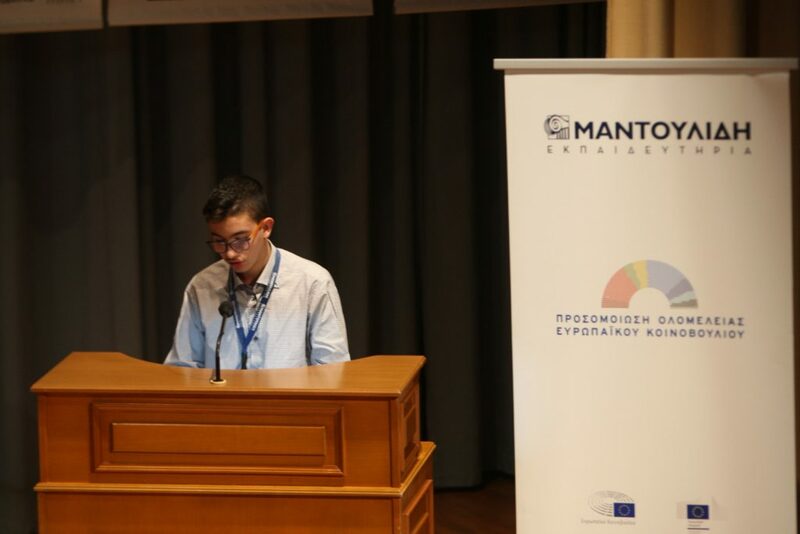 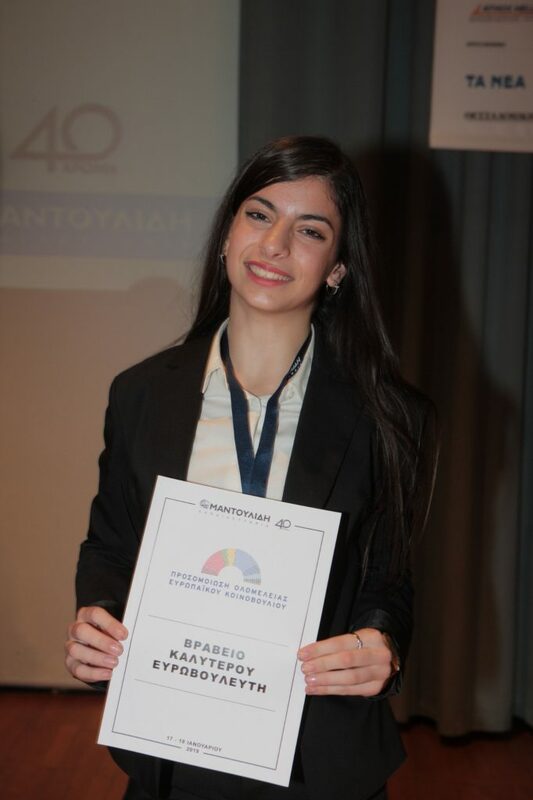 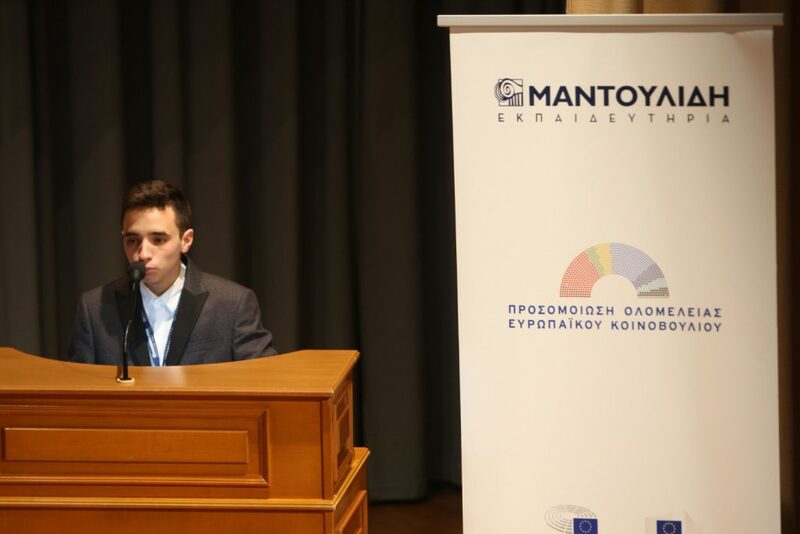 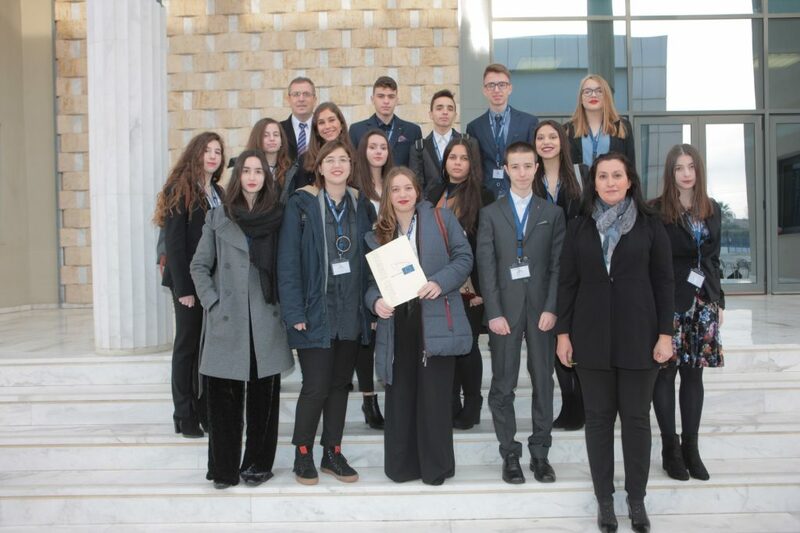 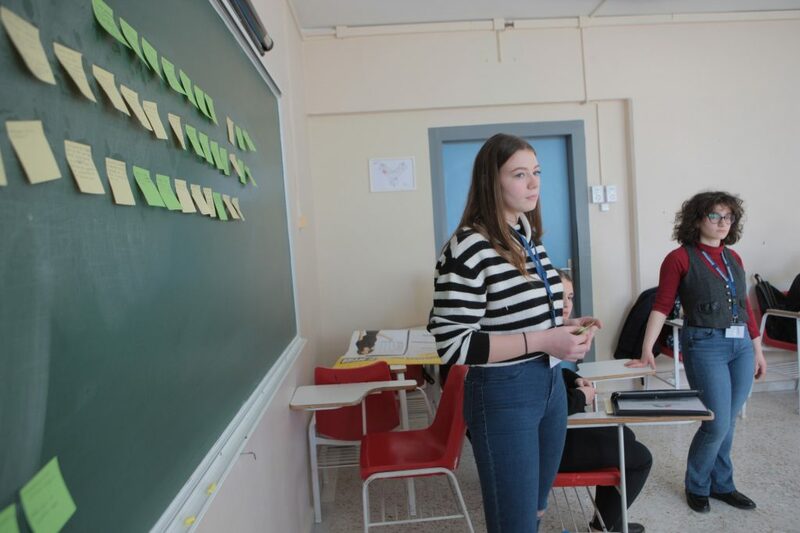 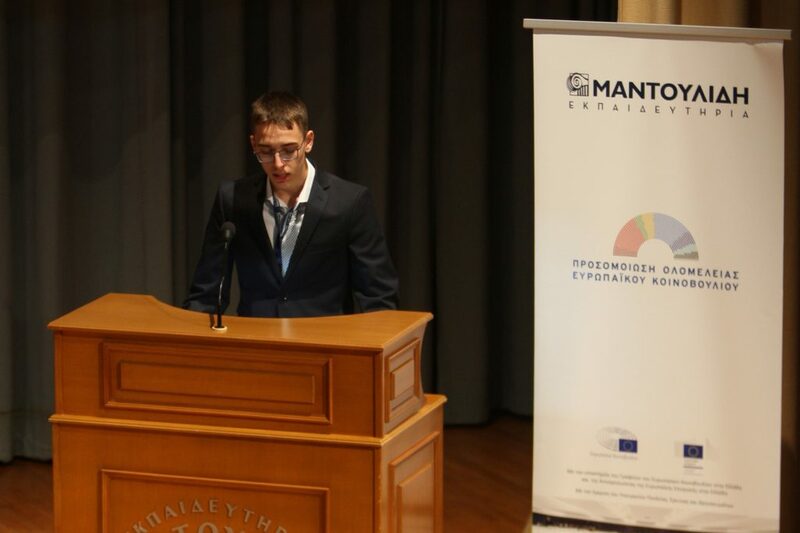 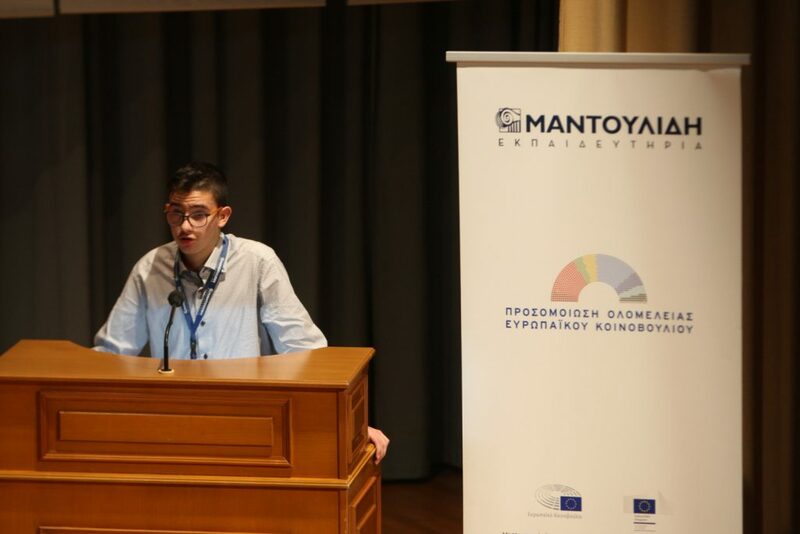 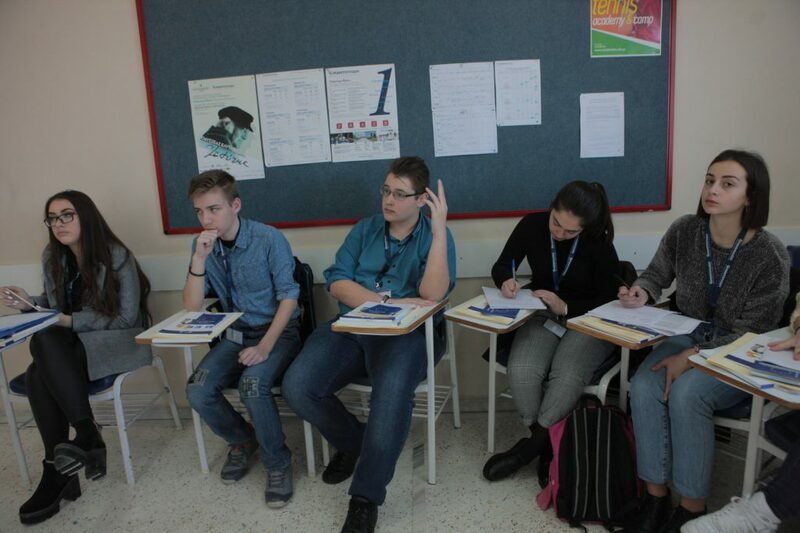 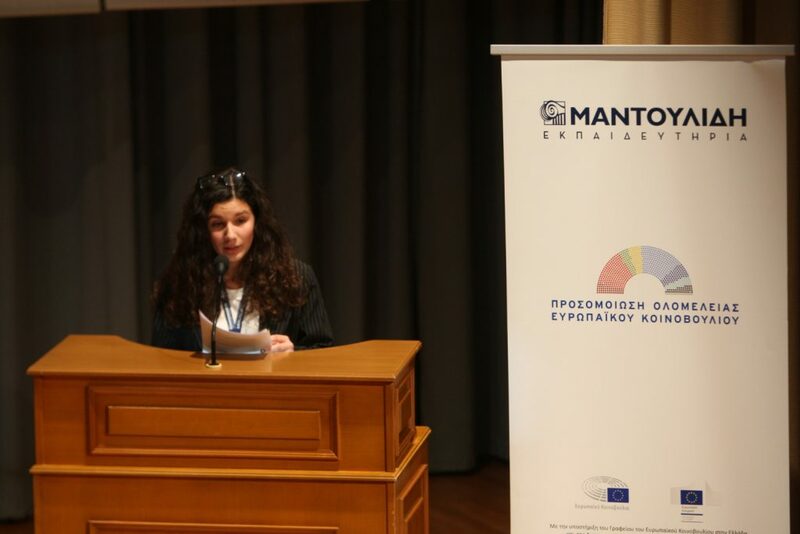 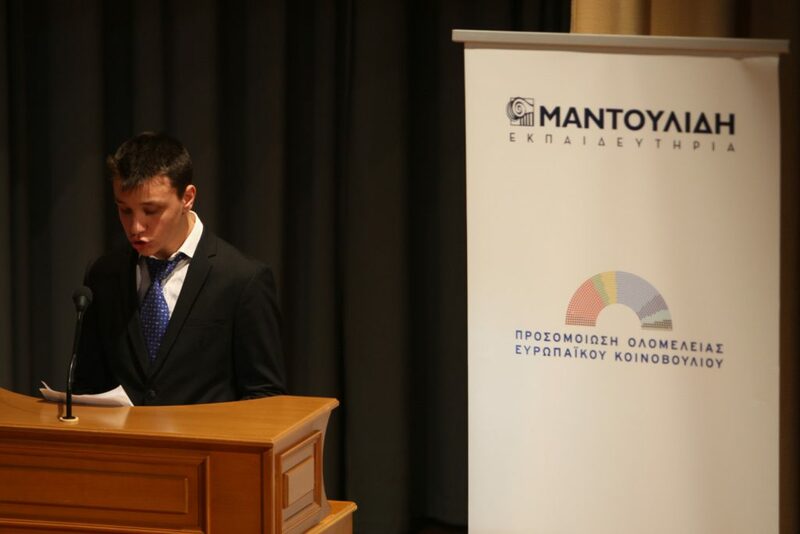 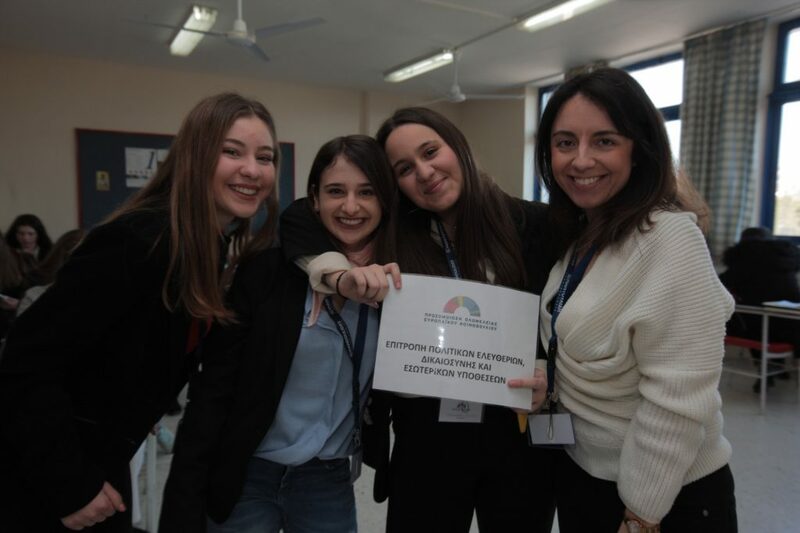 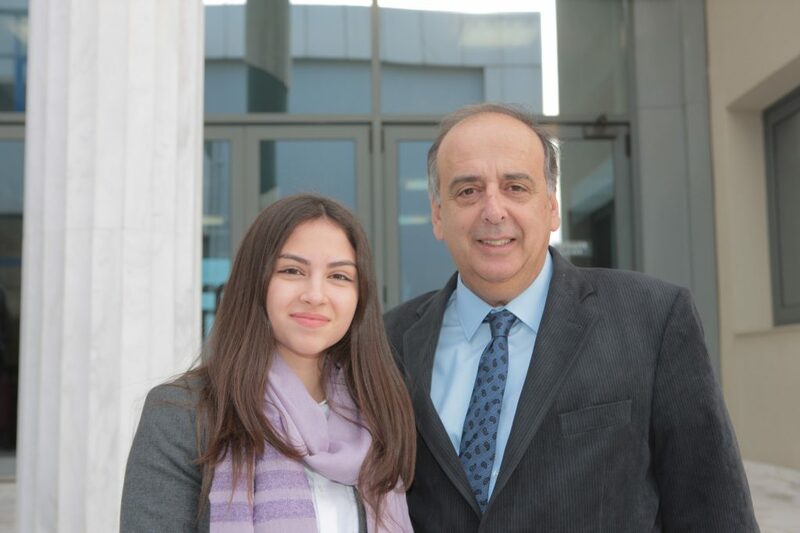 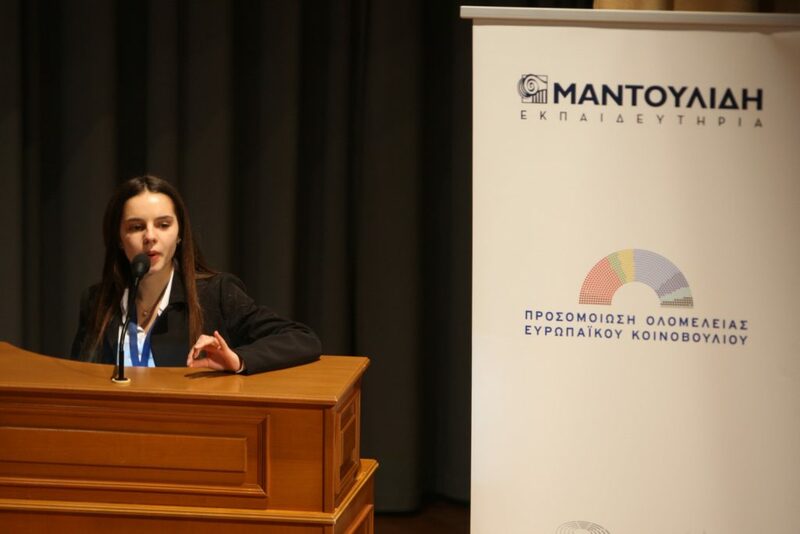 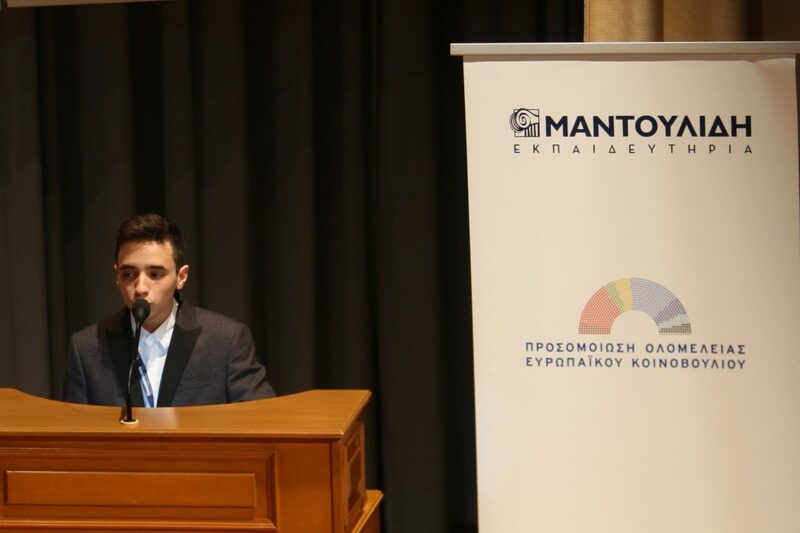 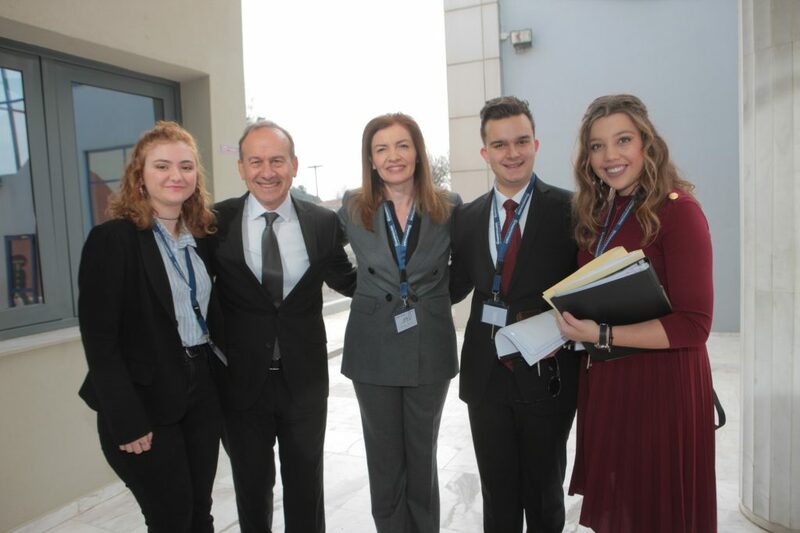 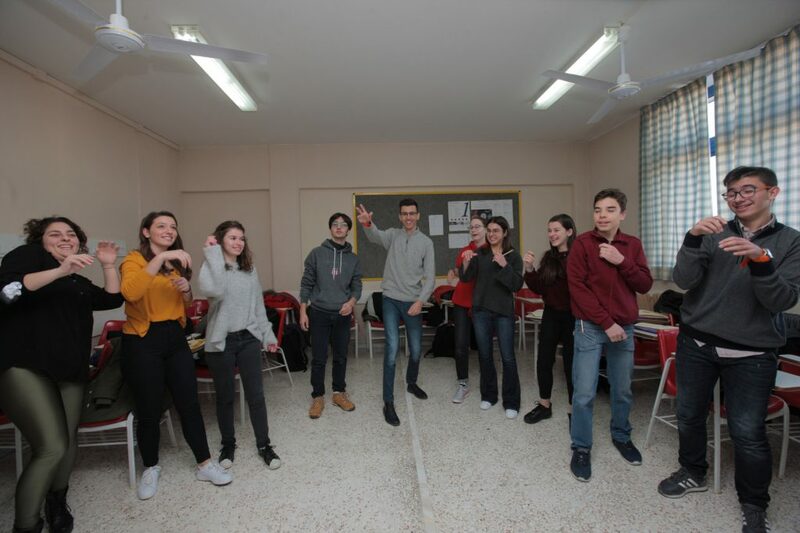 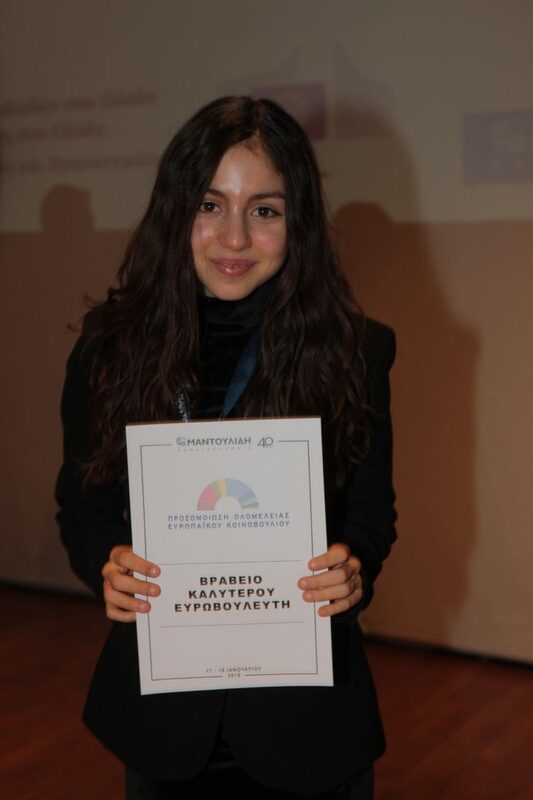 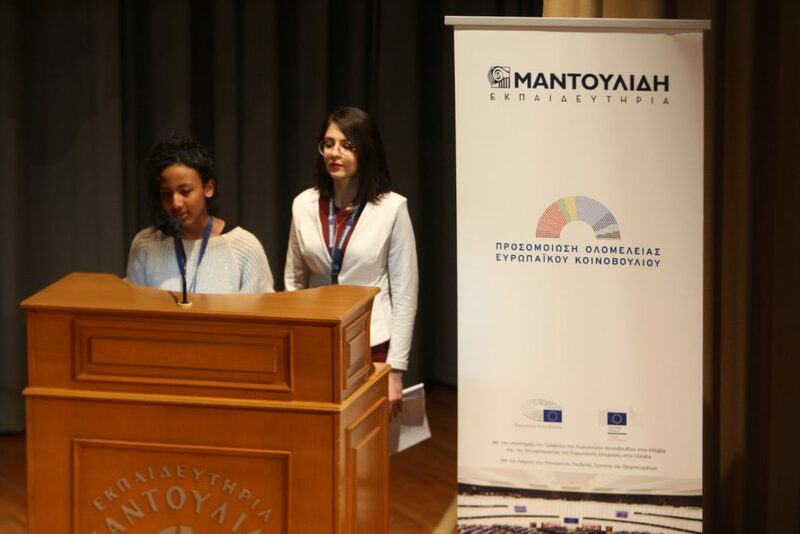 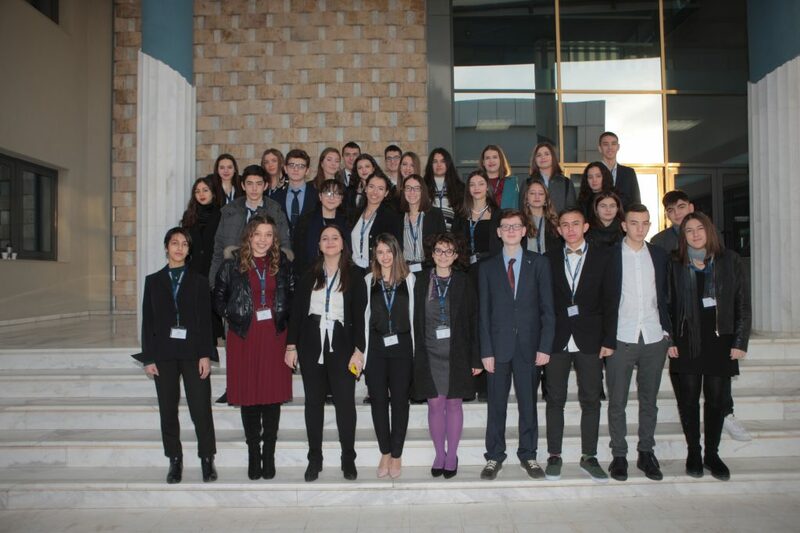 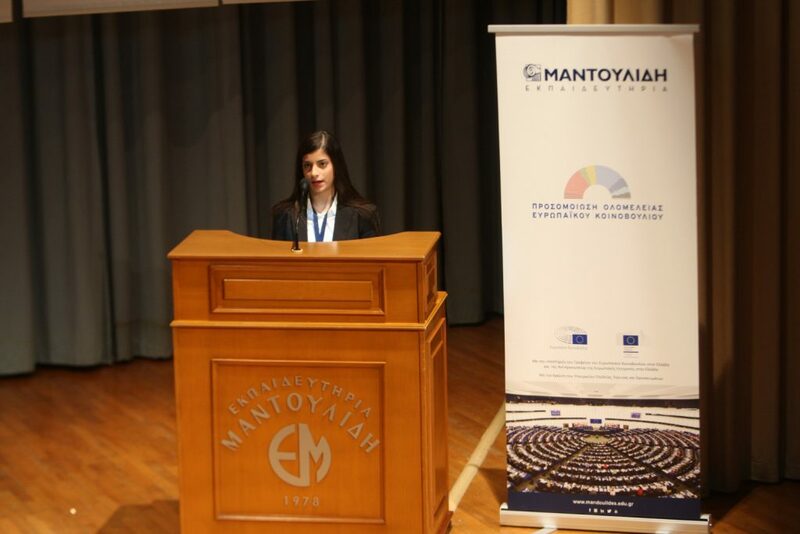 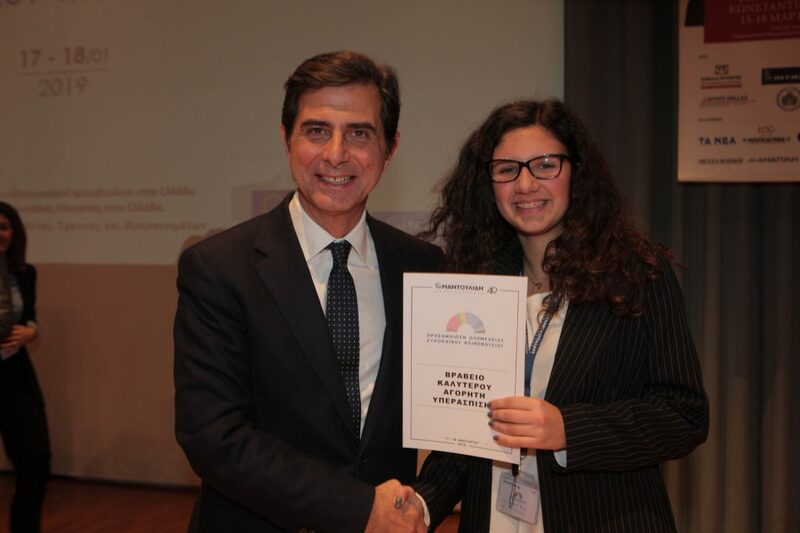 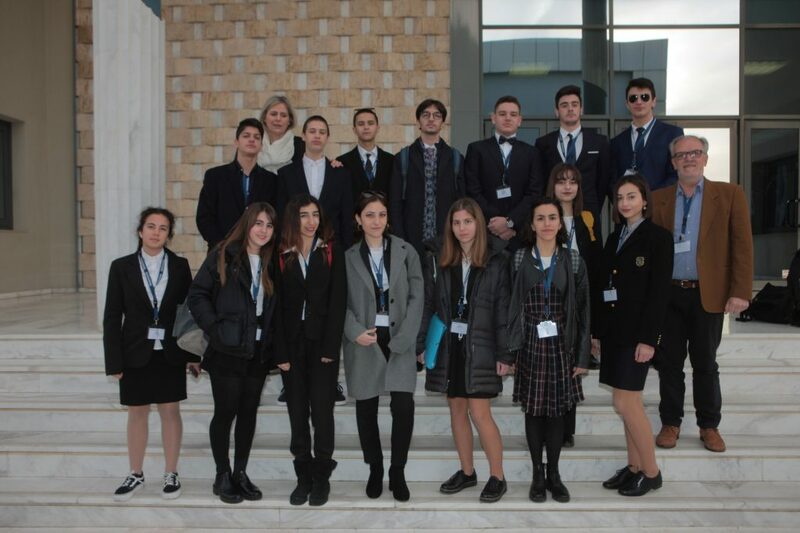 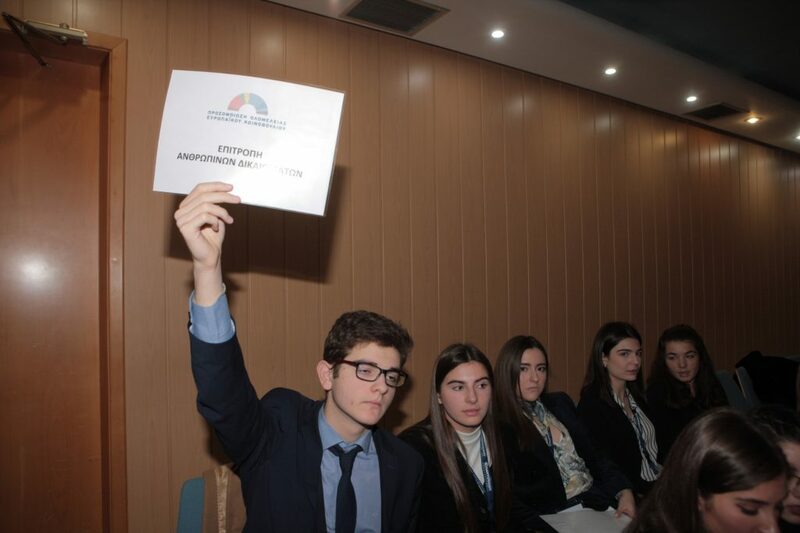 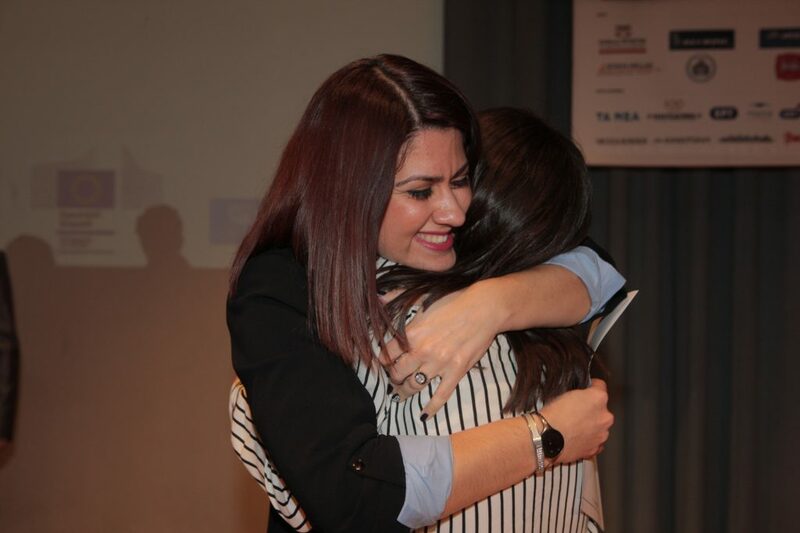 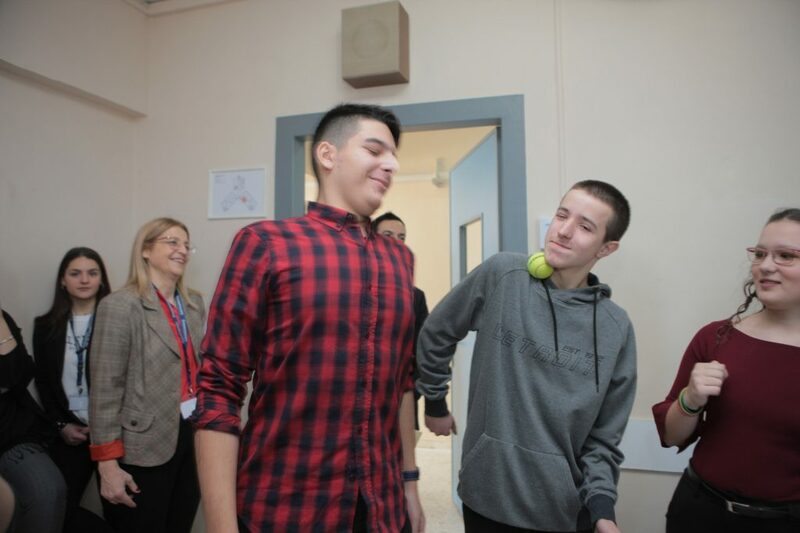 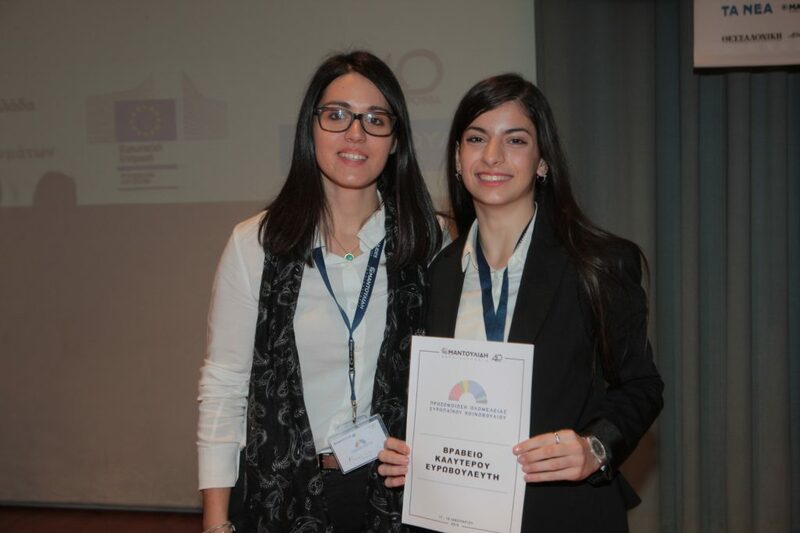 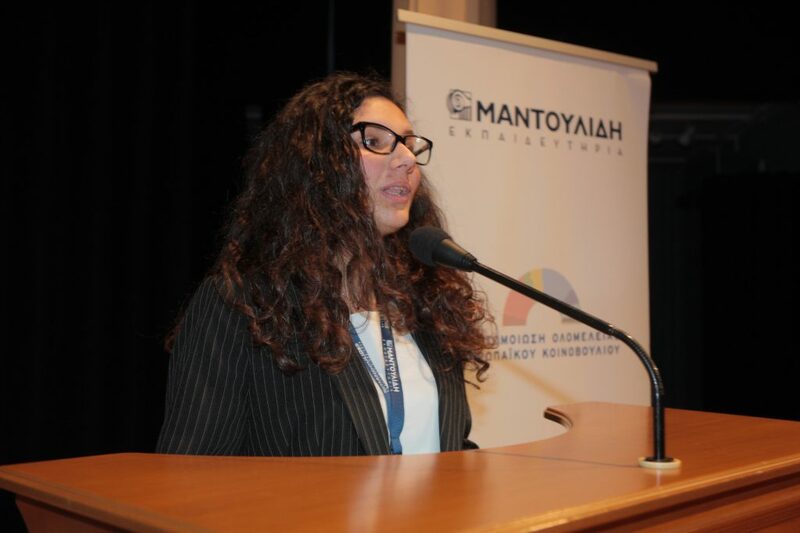 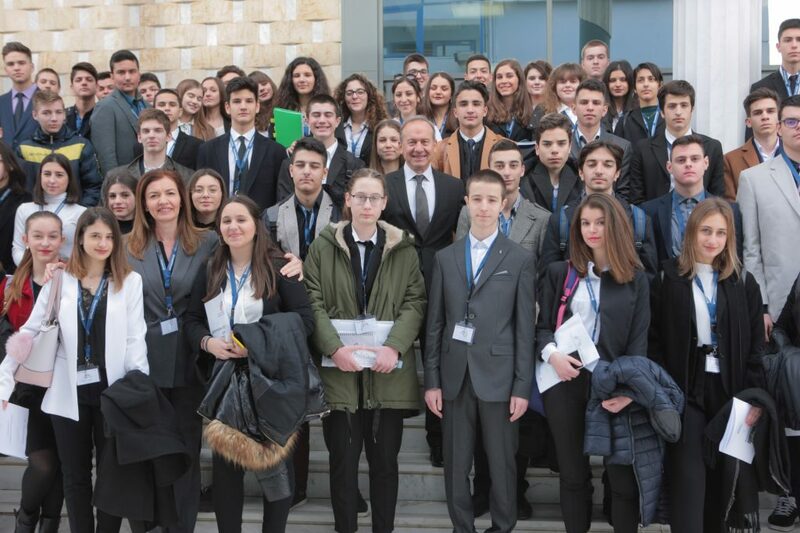 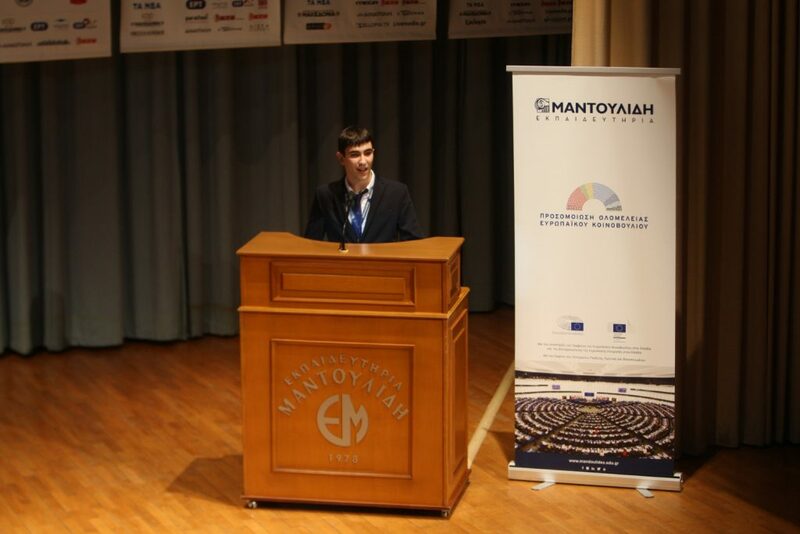 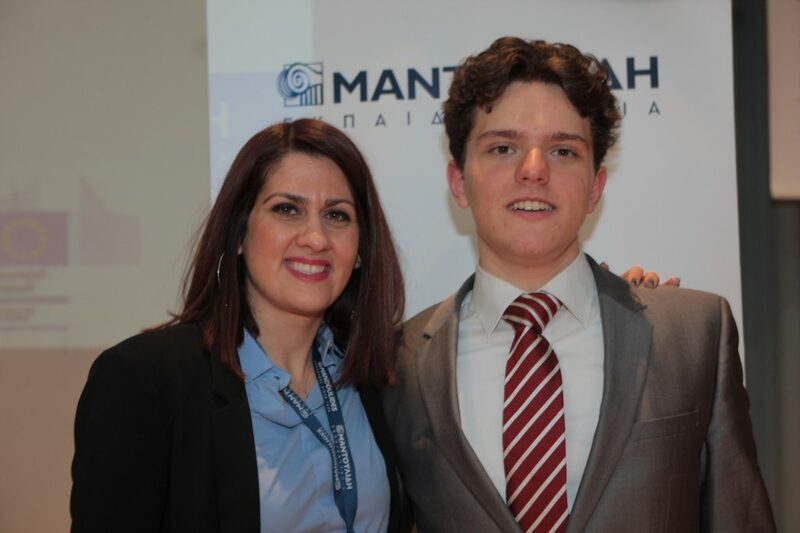 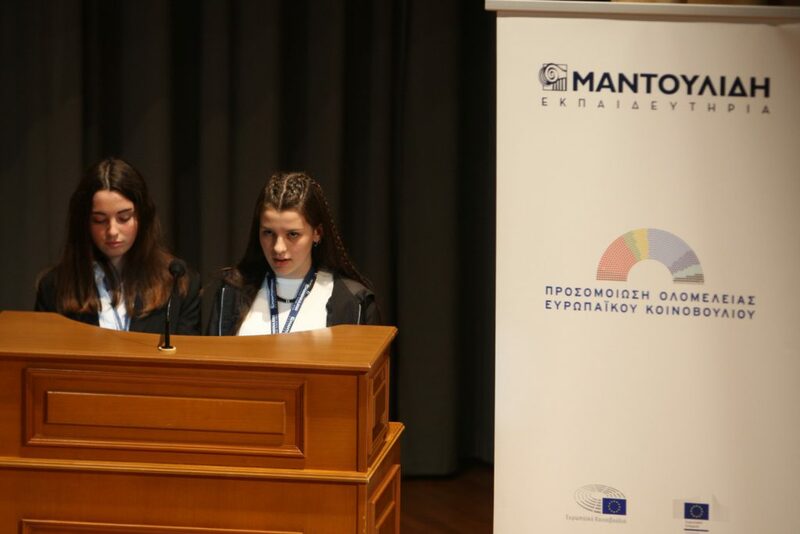 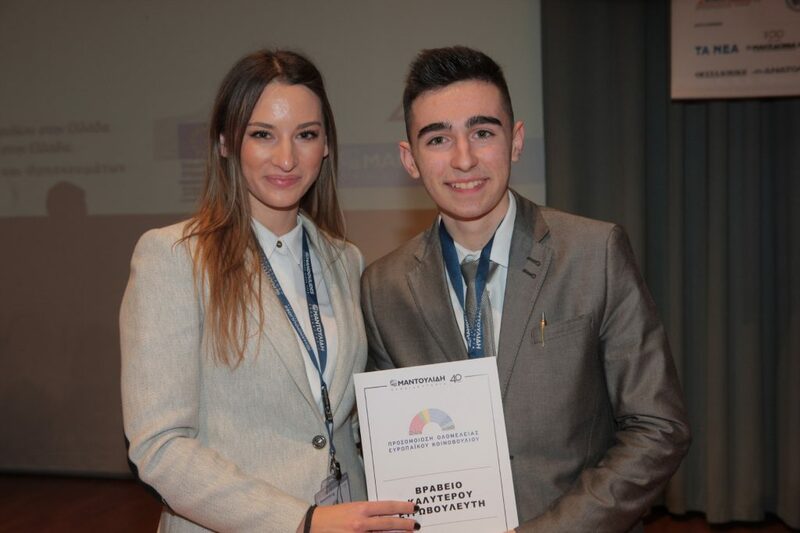 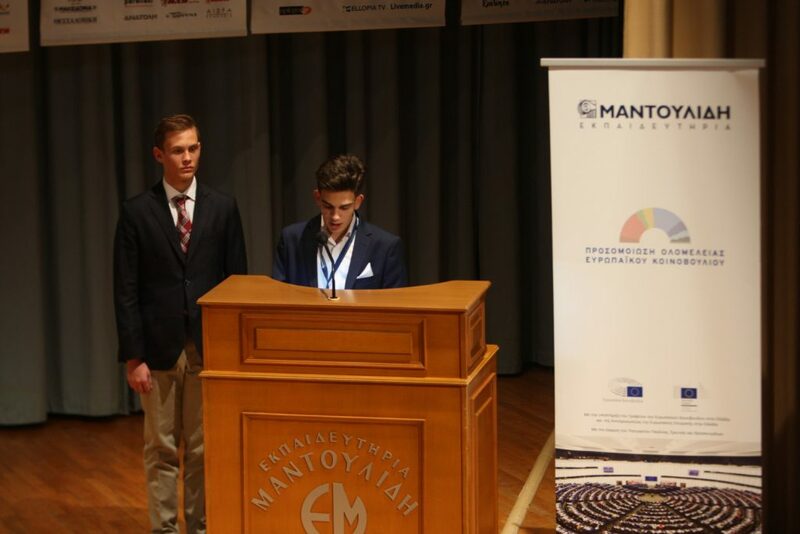 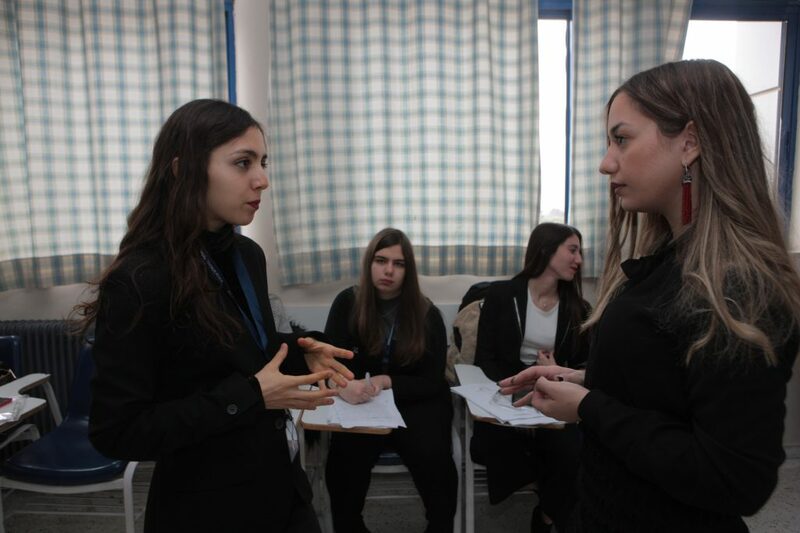 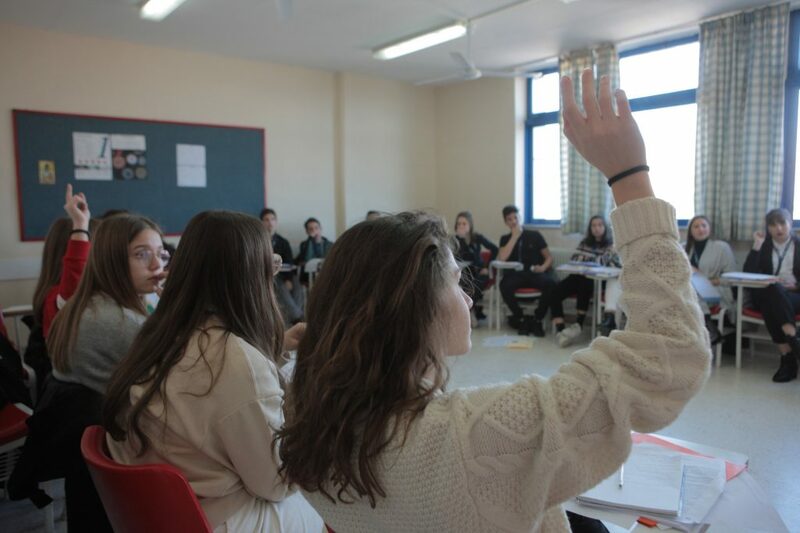 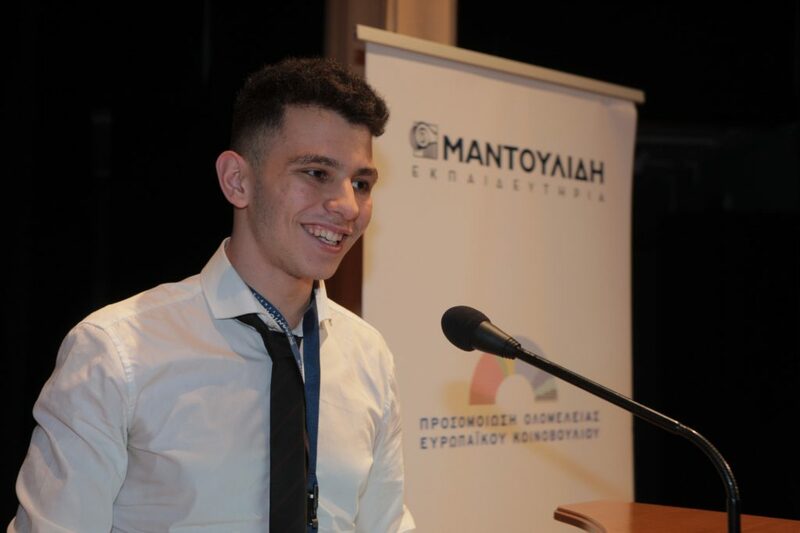 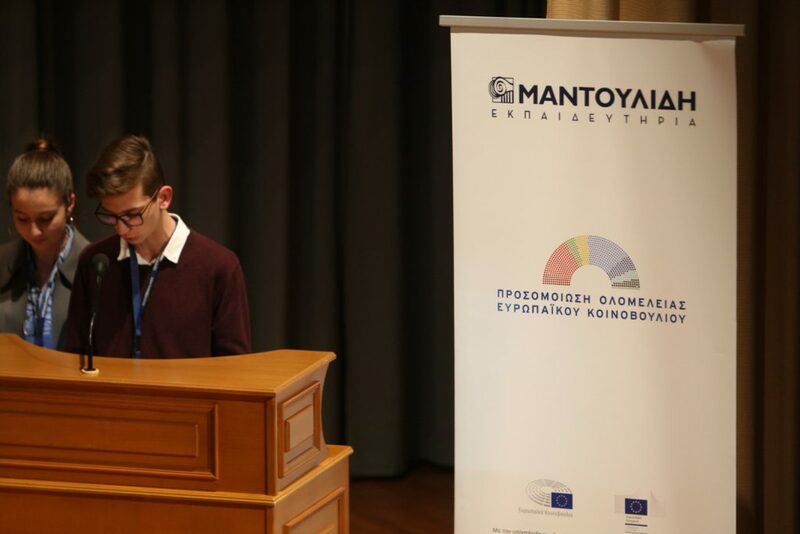 Students became Members of the European Parliament at Mandoulides Schools. 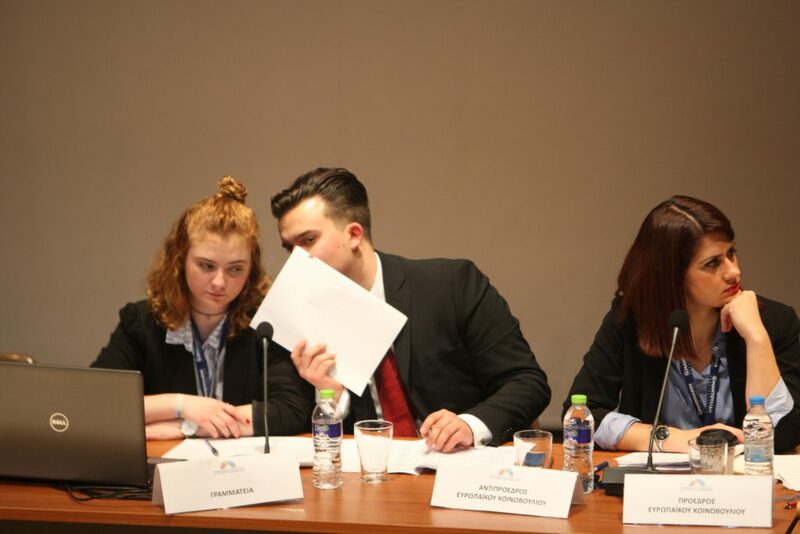 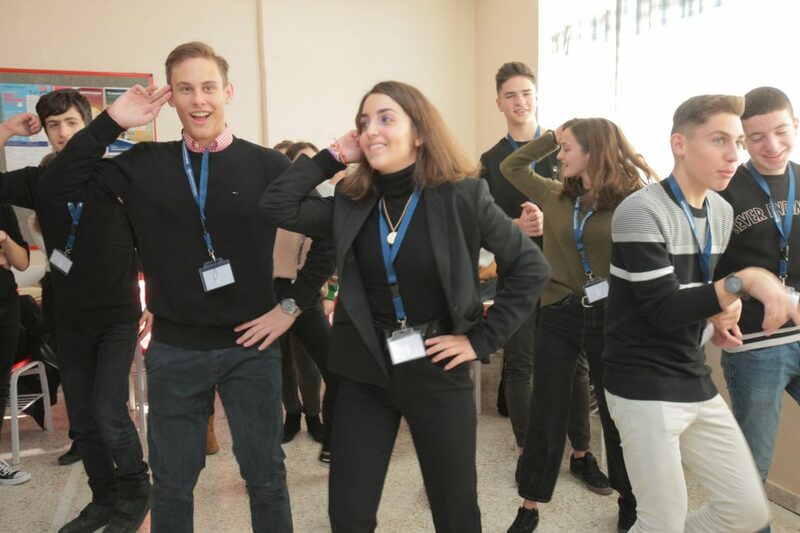 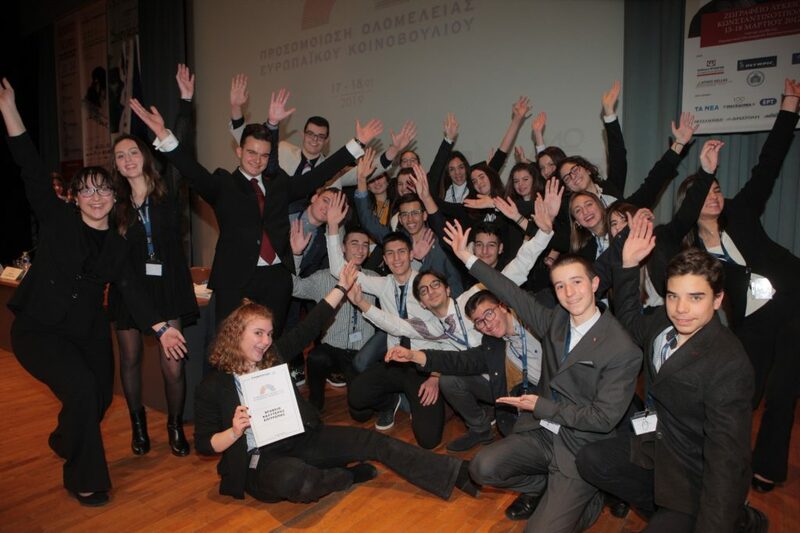 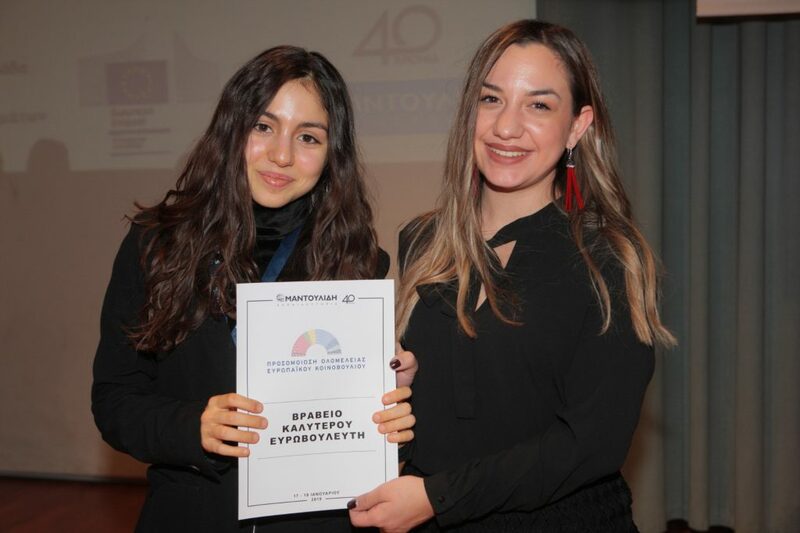 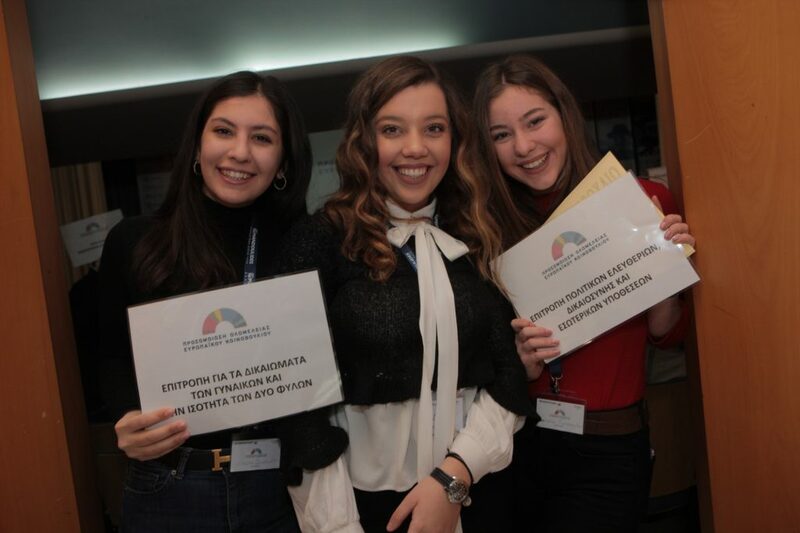 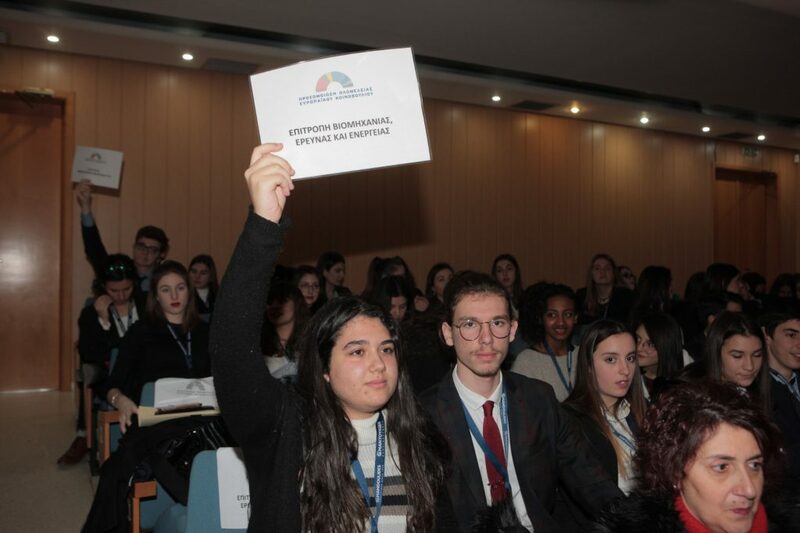 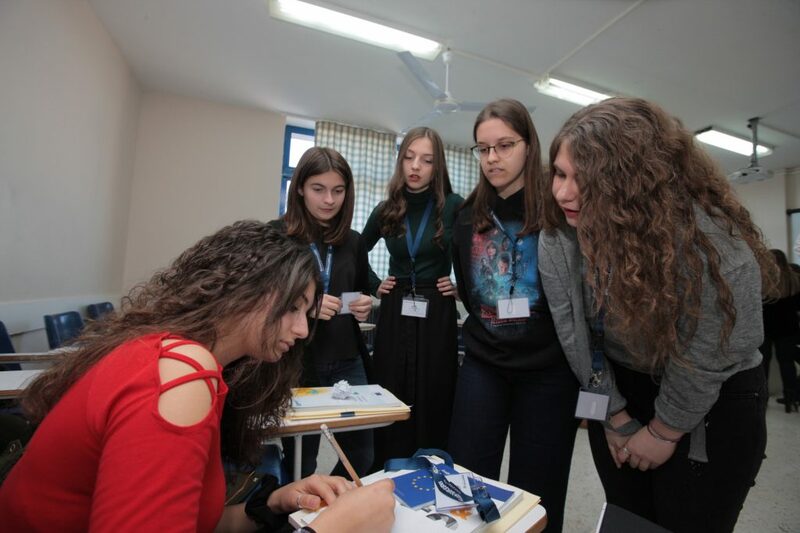 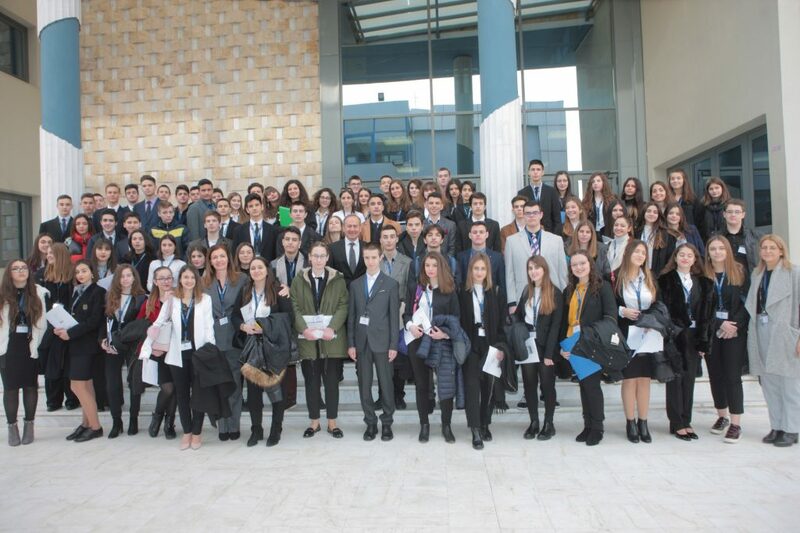 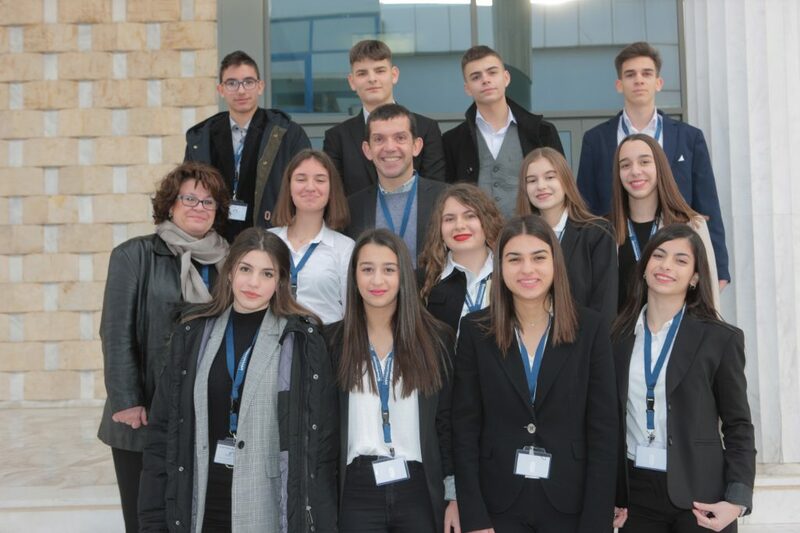 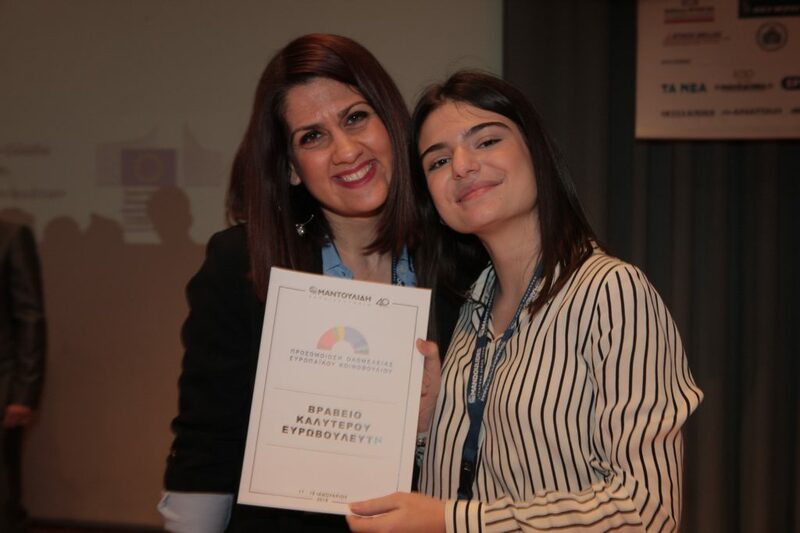 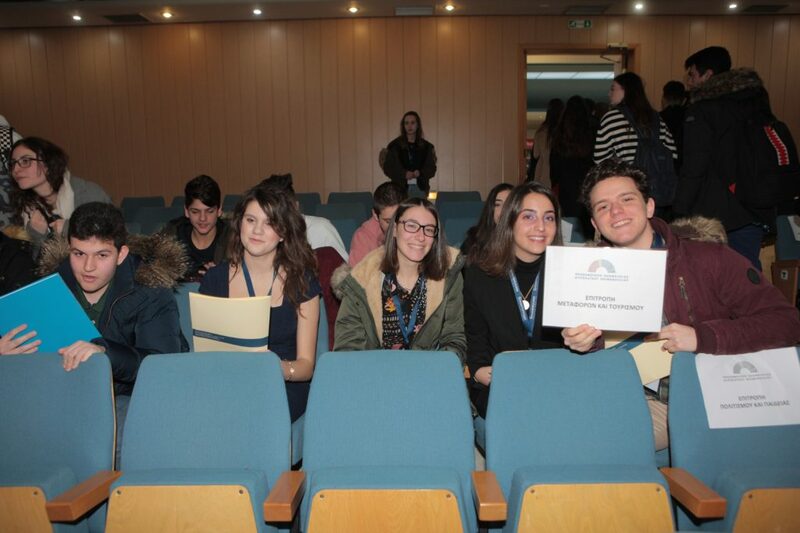 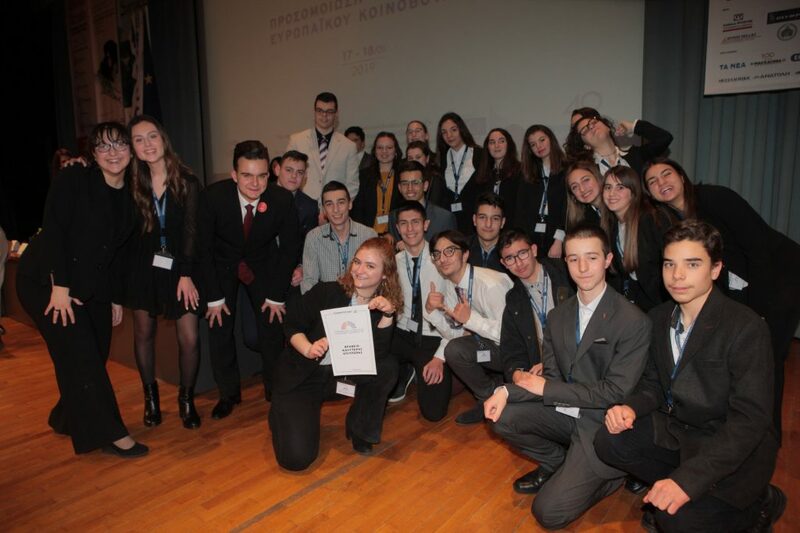 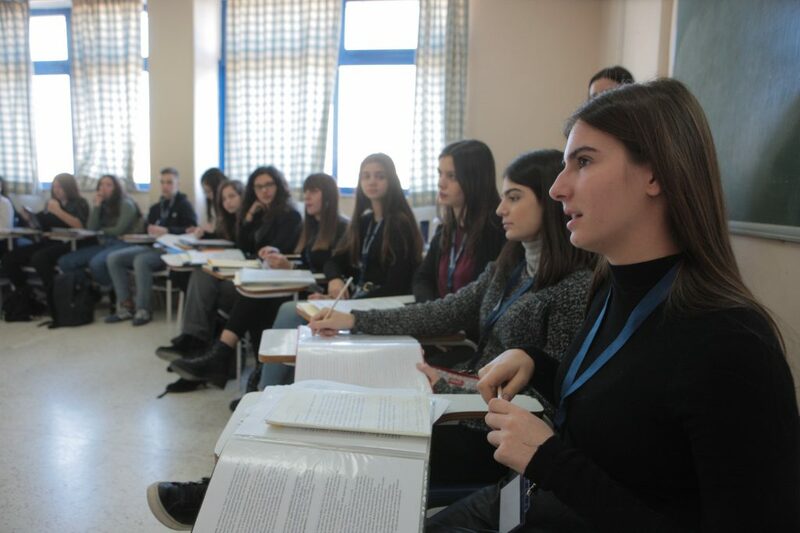 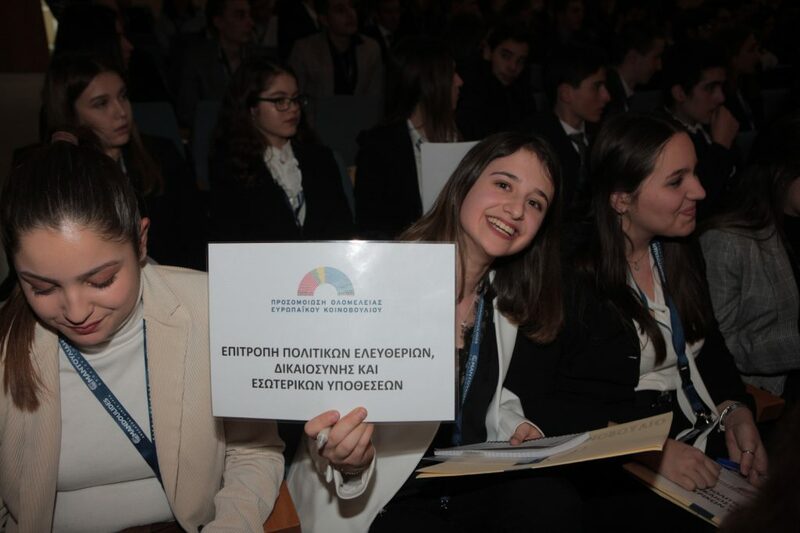 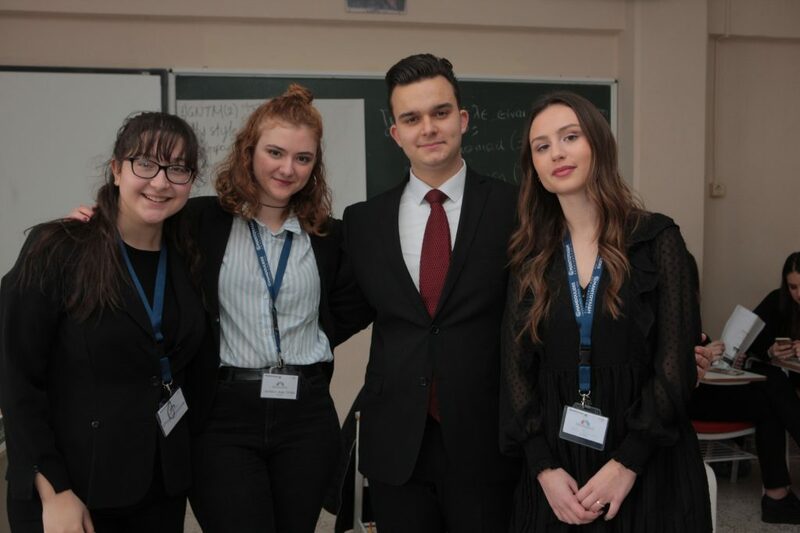 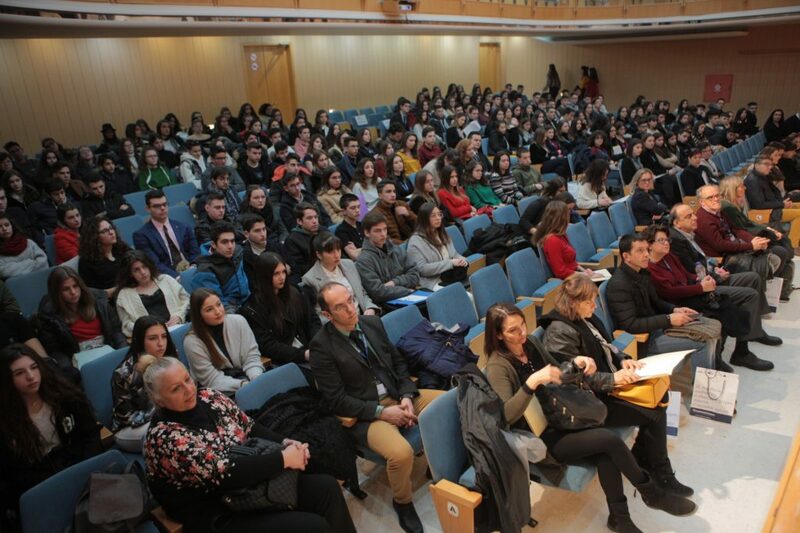 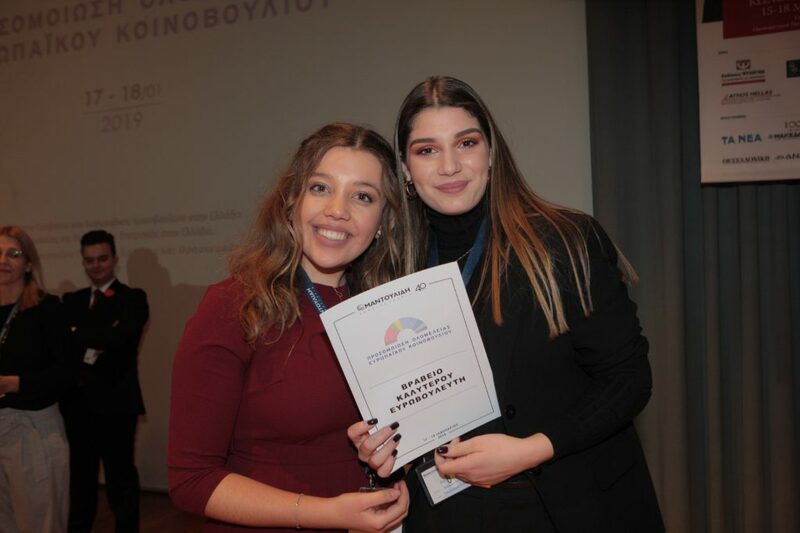 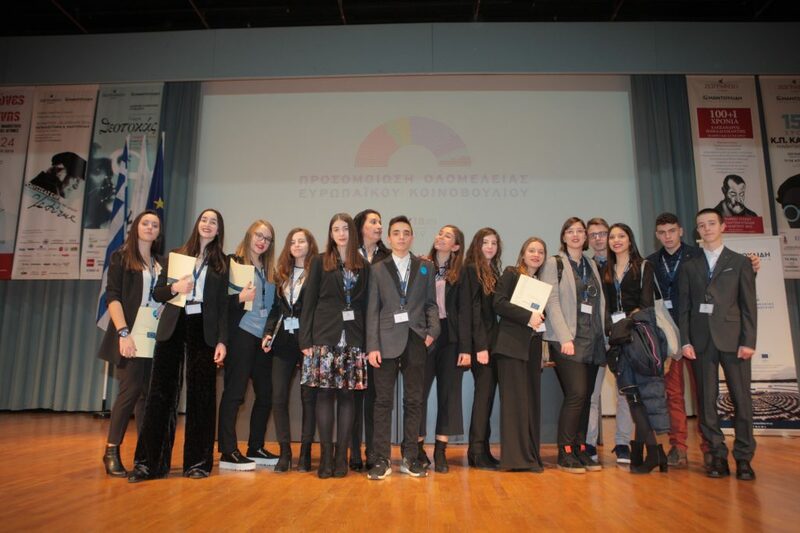 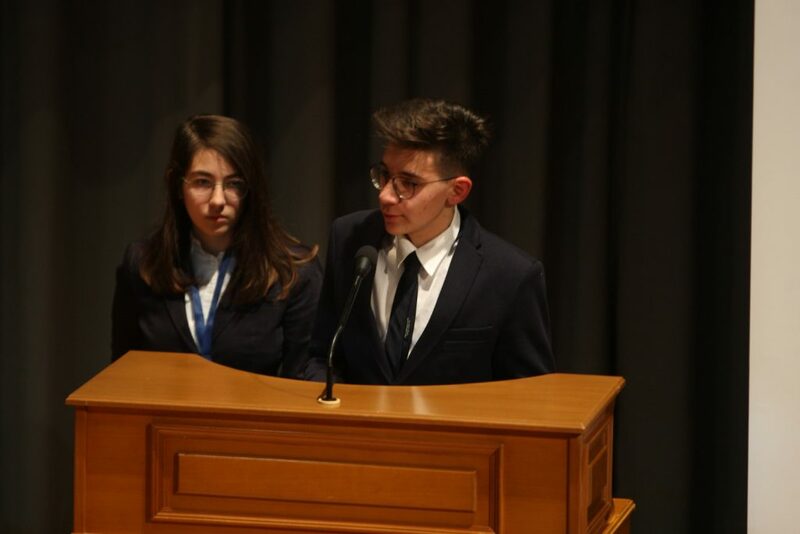 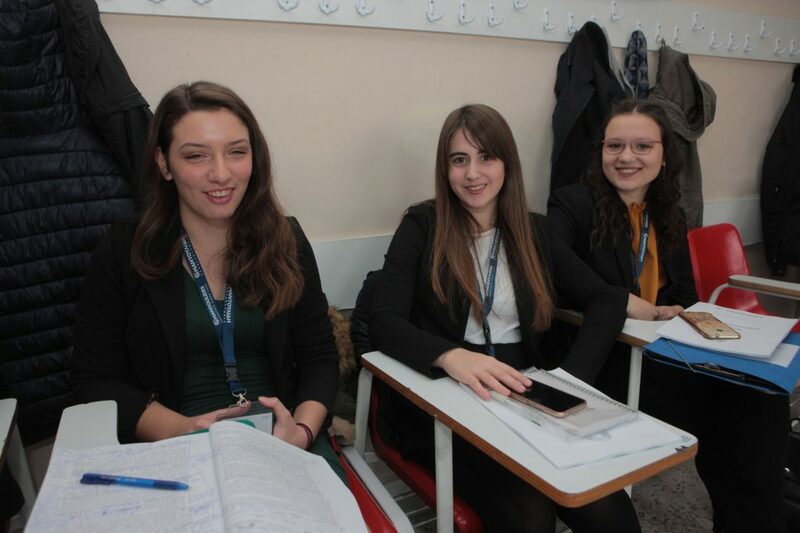 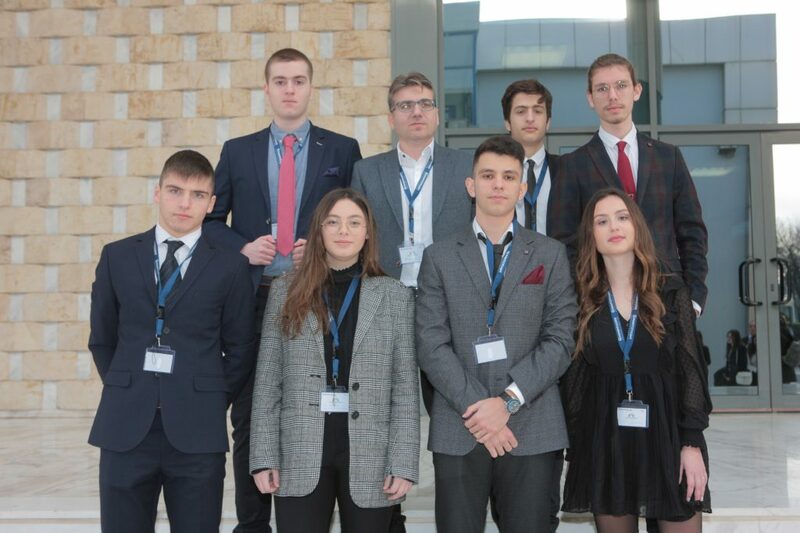 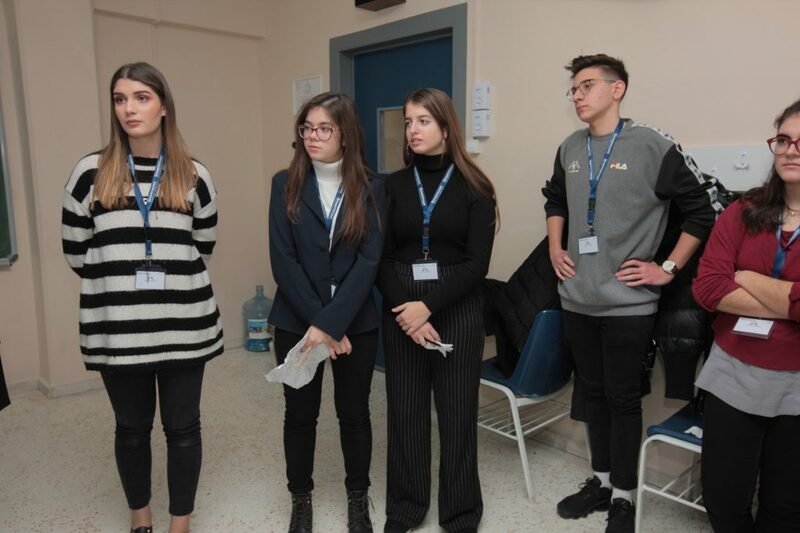 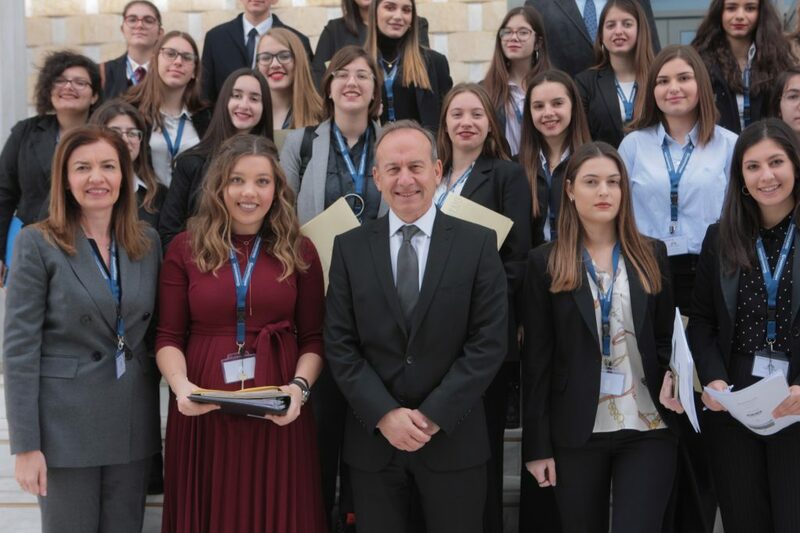 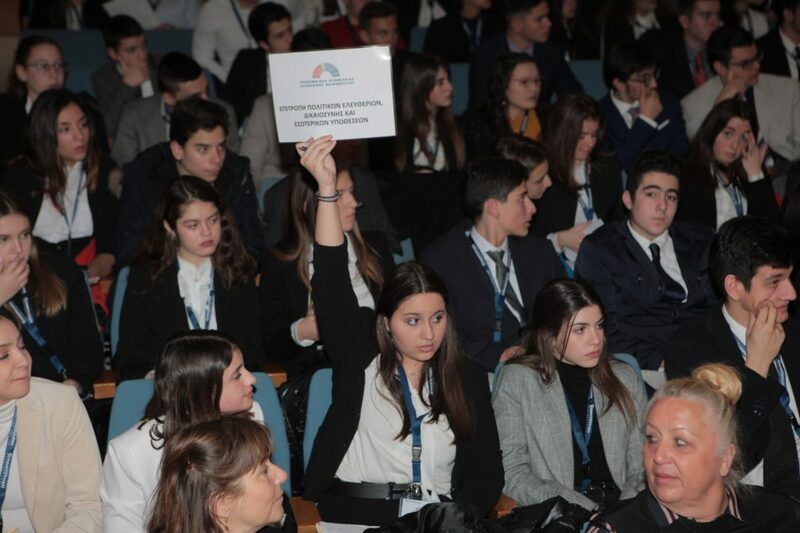 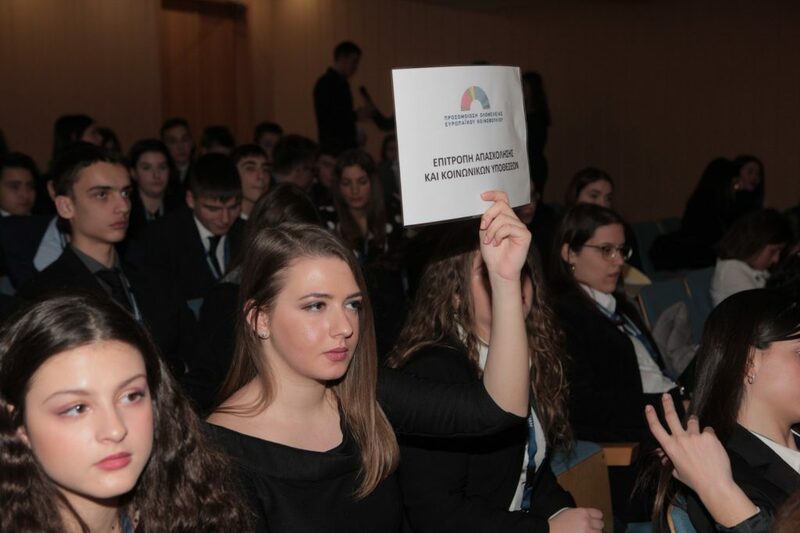 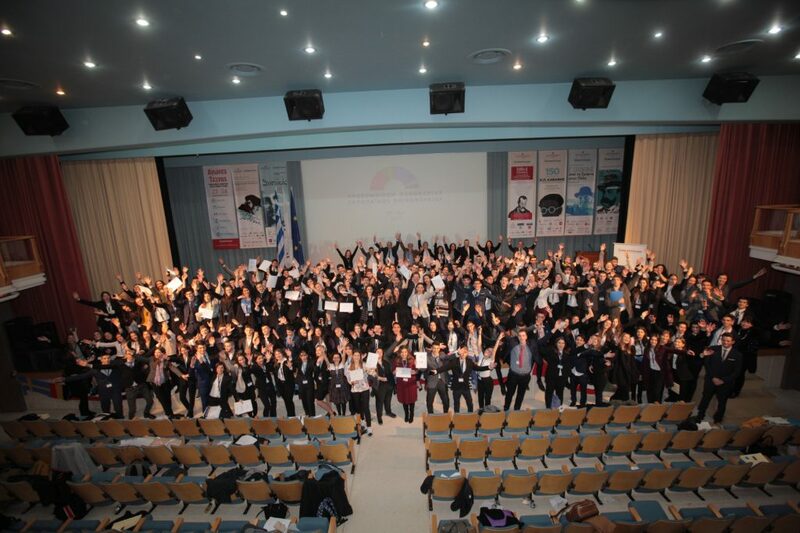 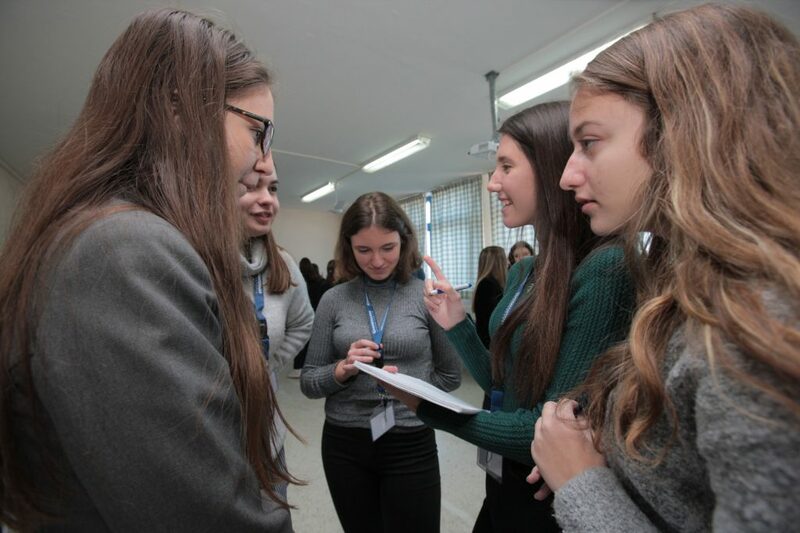 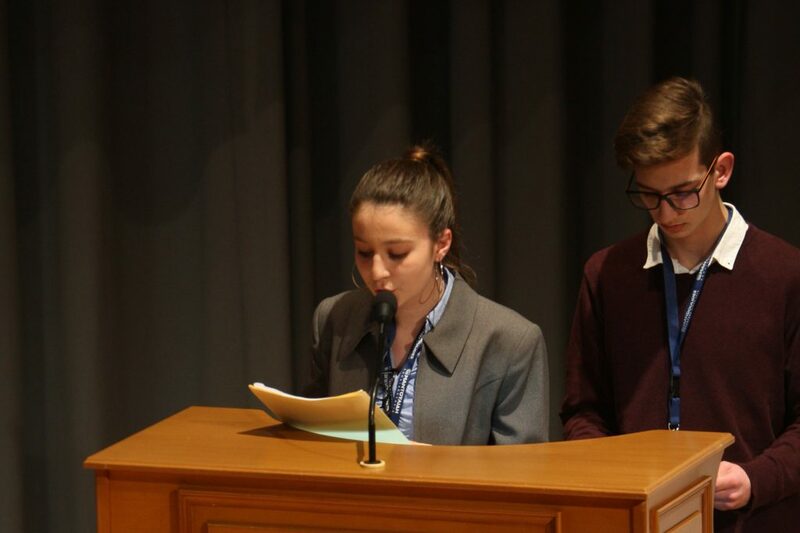 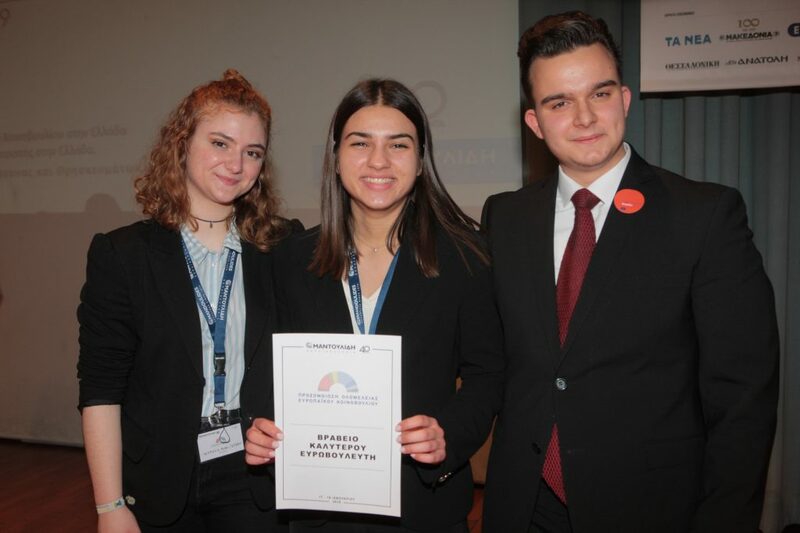 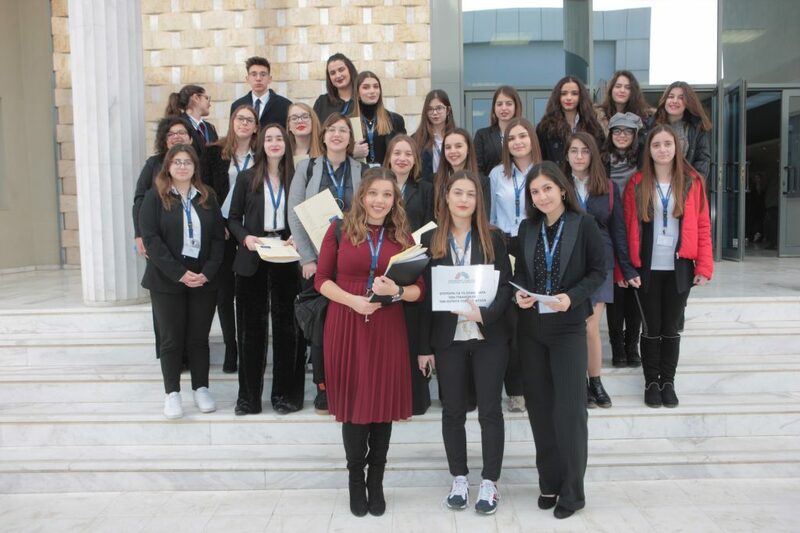 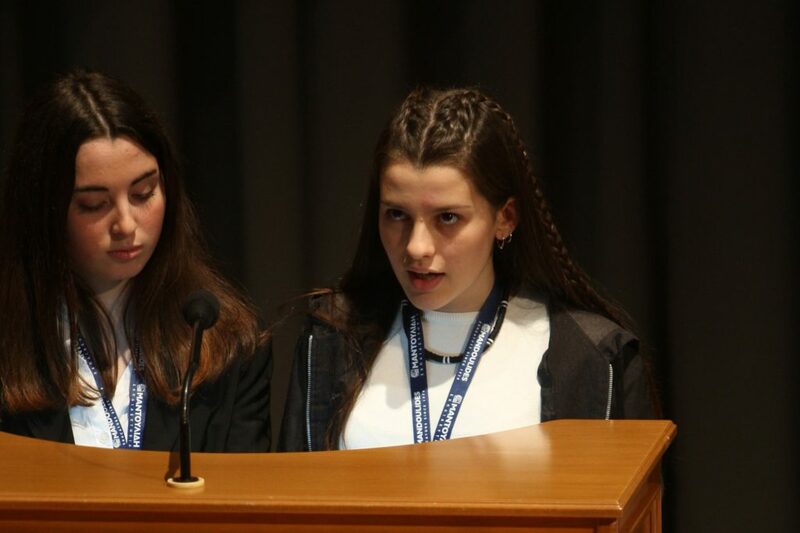 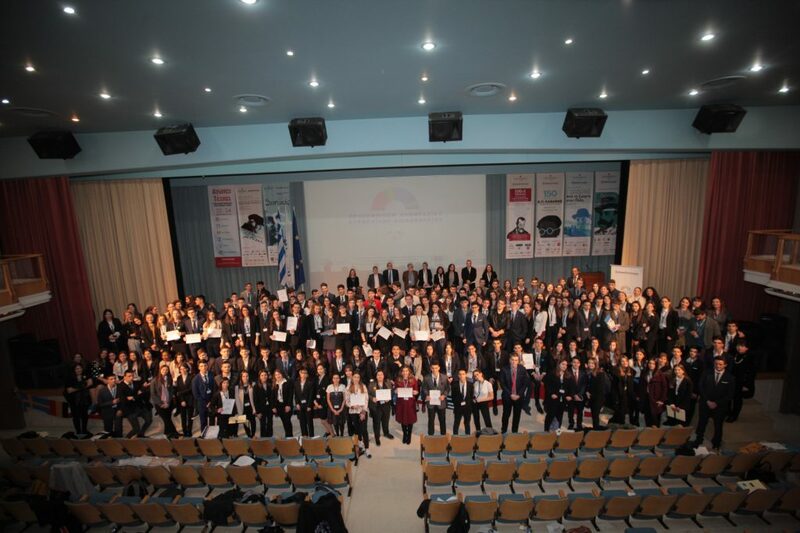 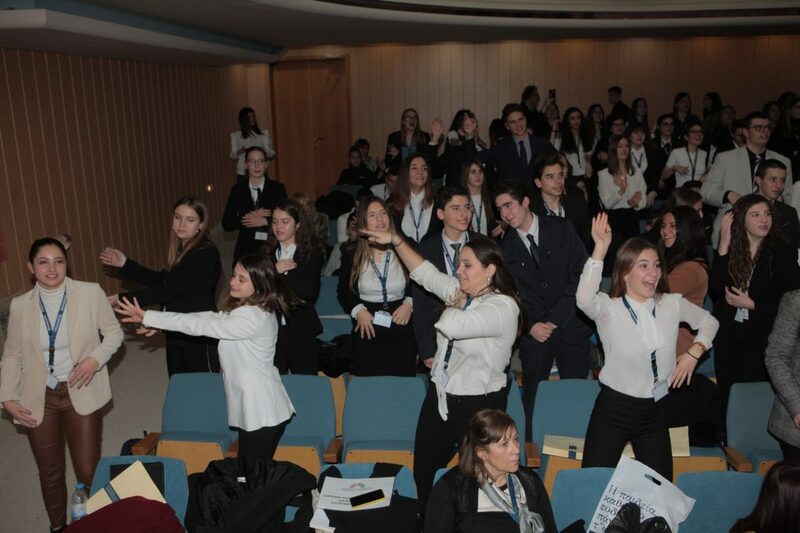 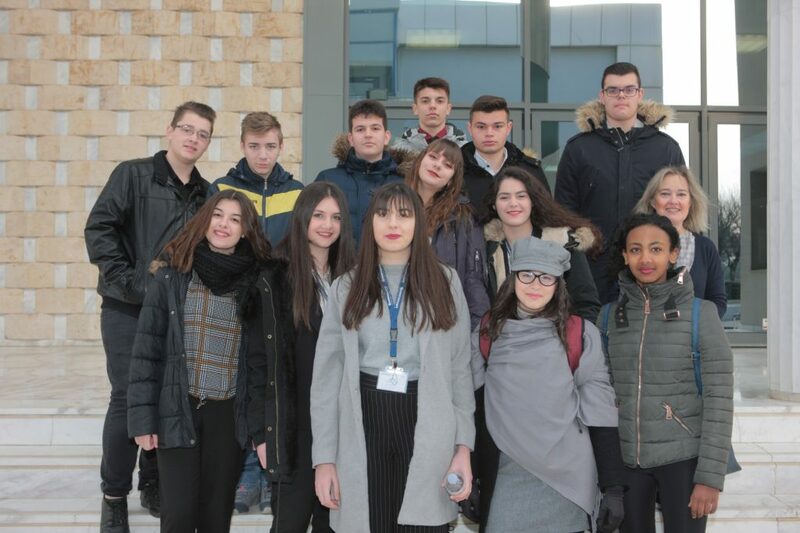 Committees, resolutions, spirit of cooperation, participation, exchange of views and unique moments of creativity: that’s what the 200 students from 14 Schools of Greece and Diaspora who participated in the 3rd Simulation of European Parliament Plenary Session experienced. 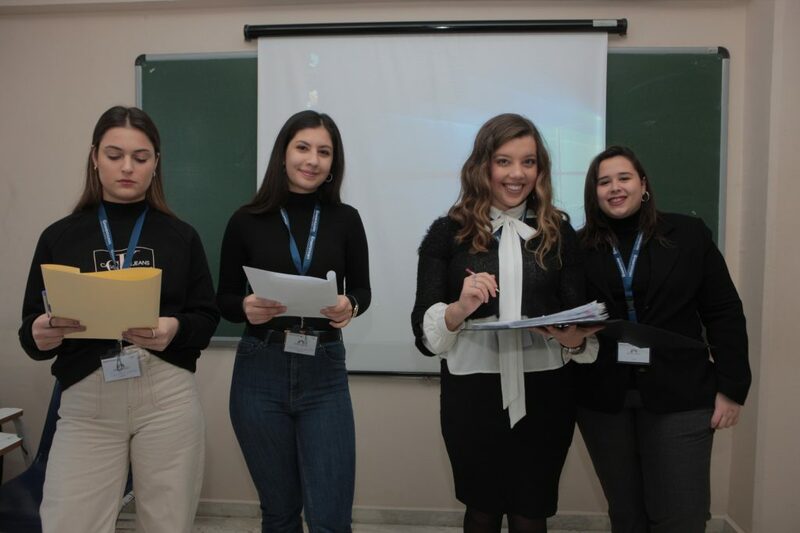 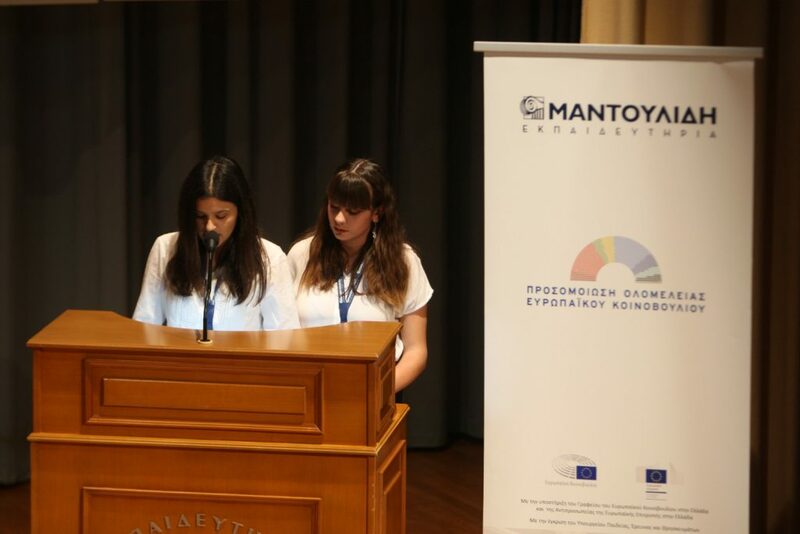 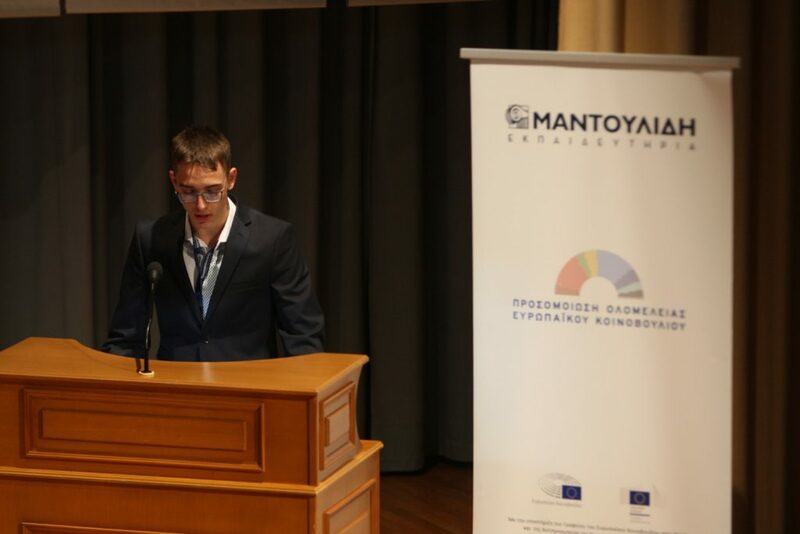 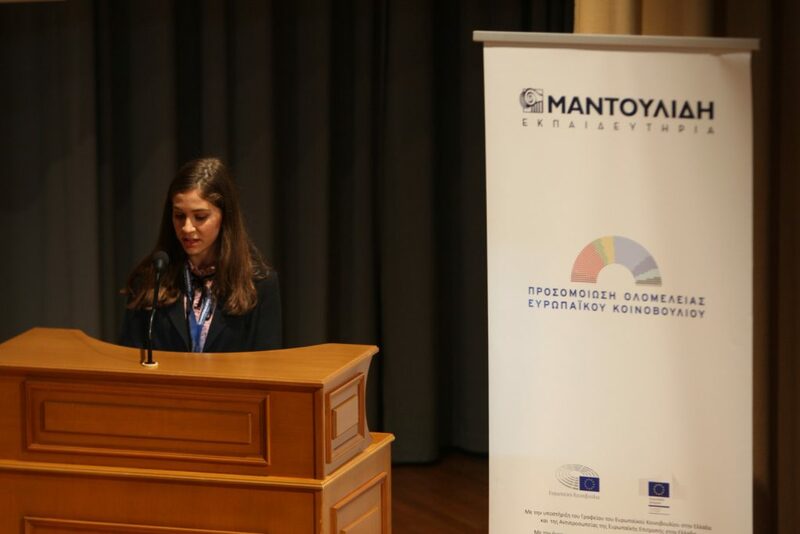 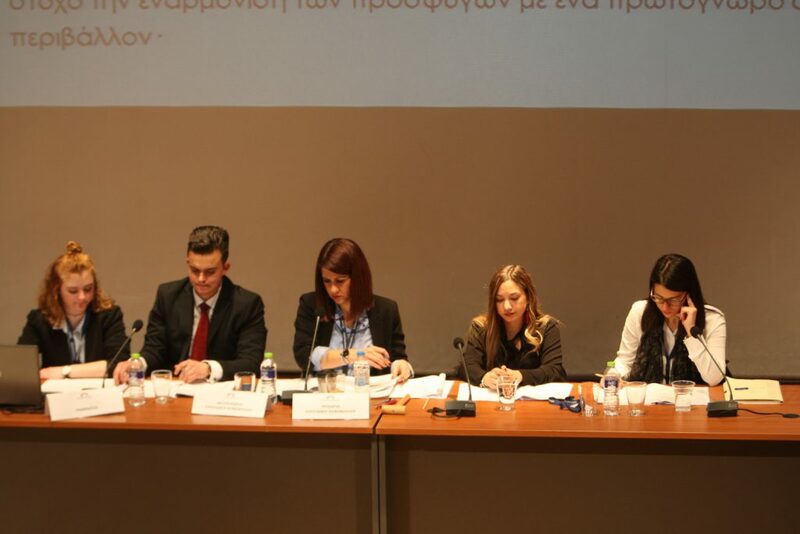 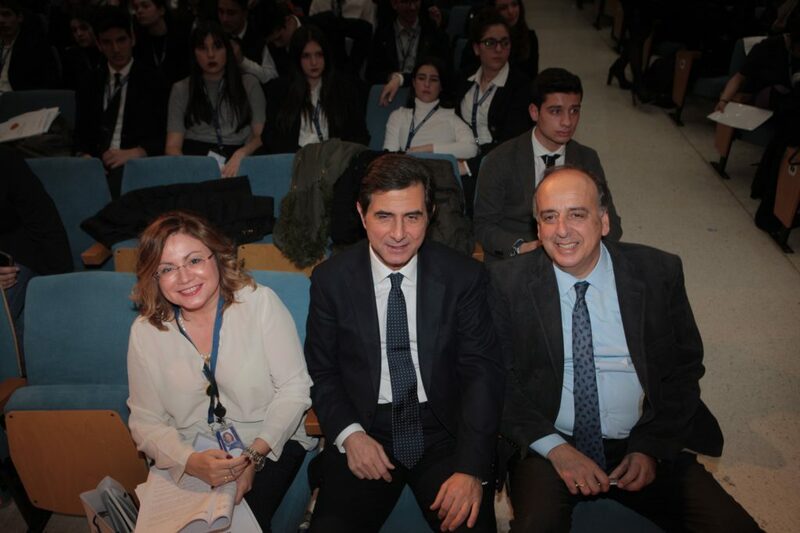 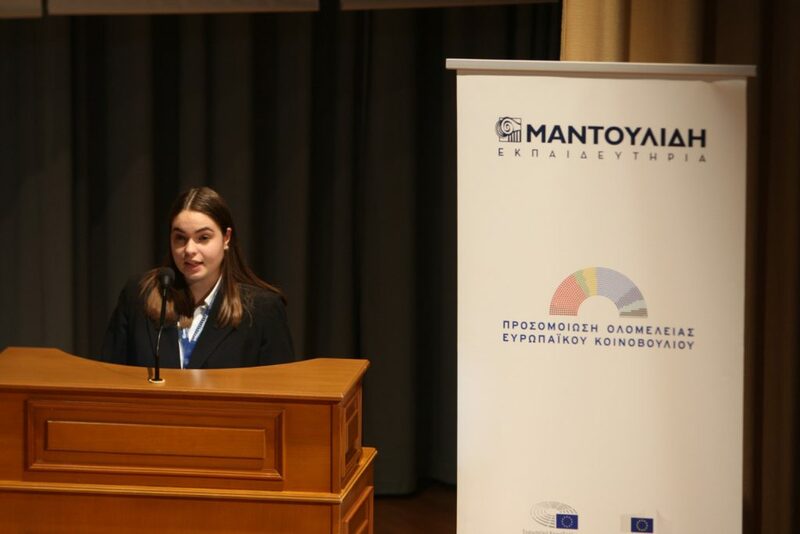 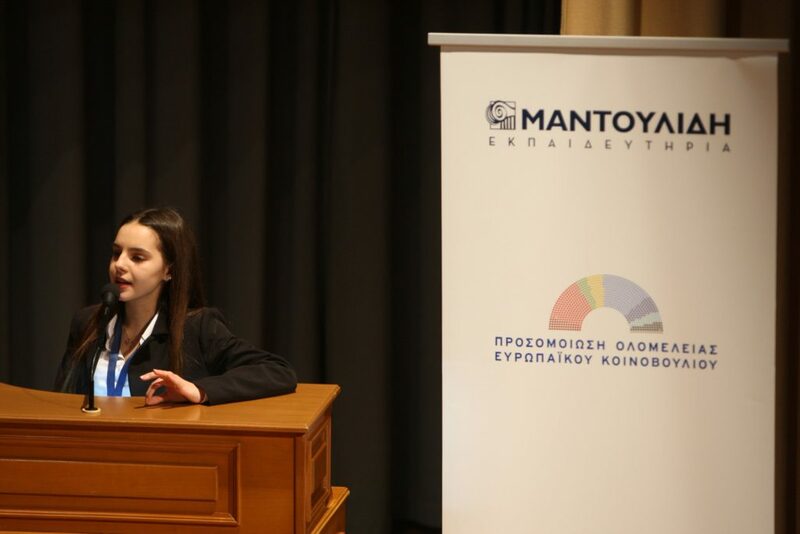 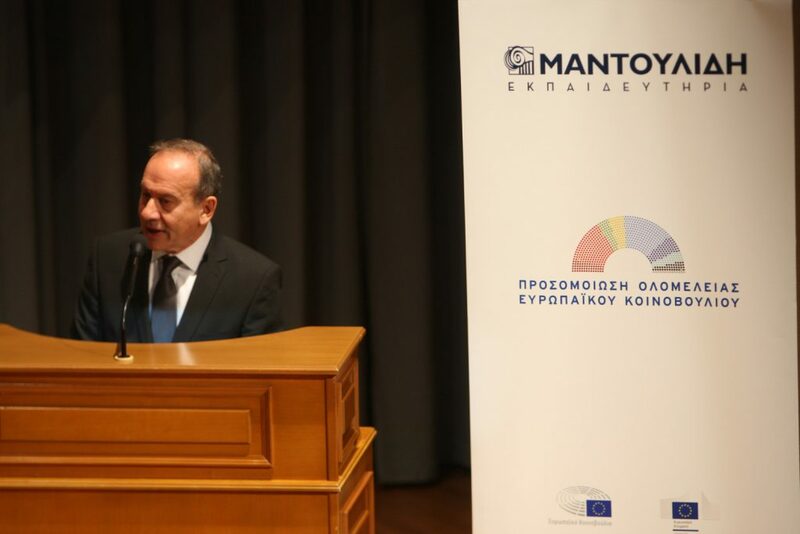 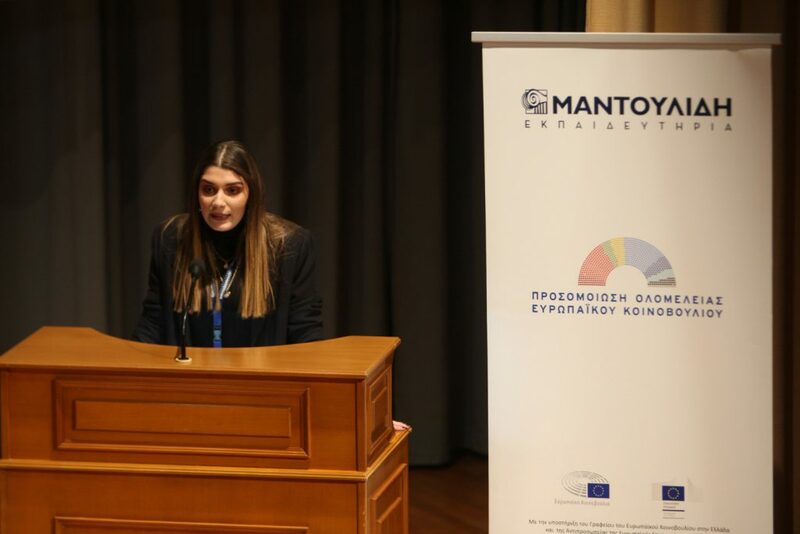 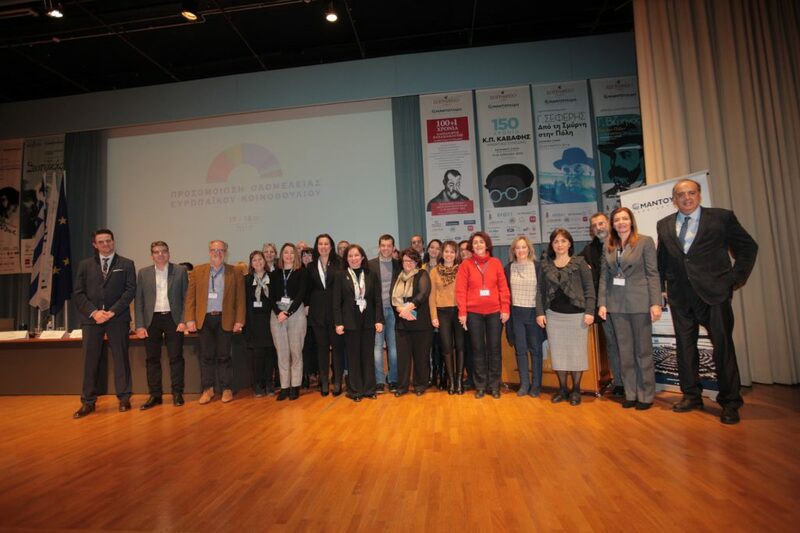 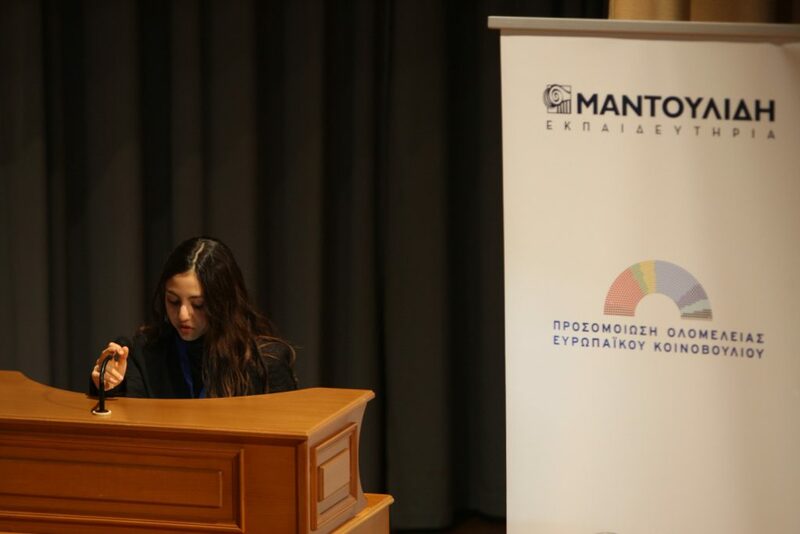 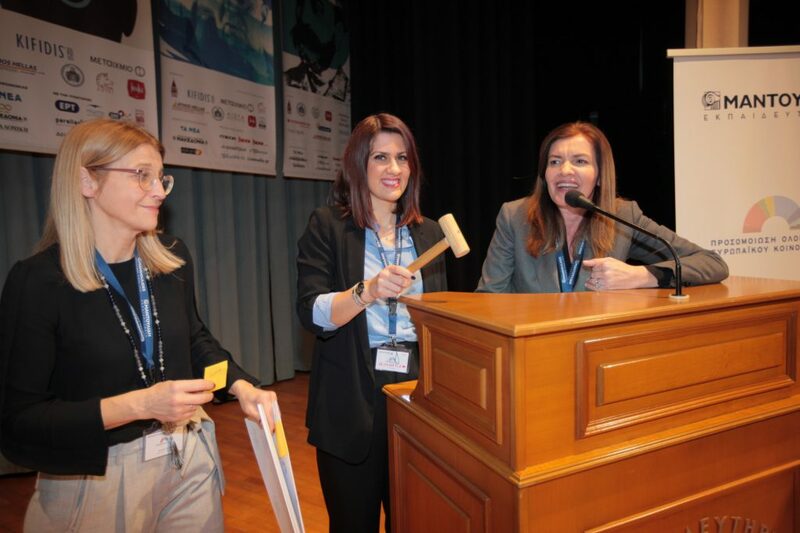 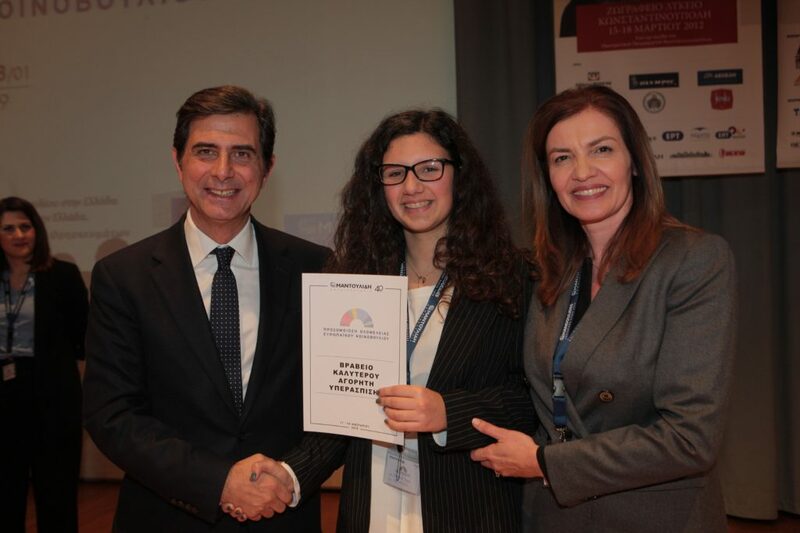 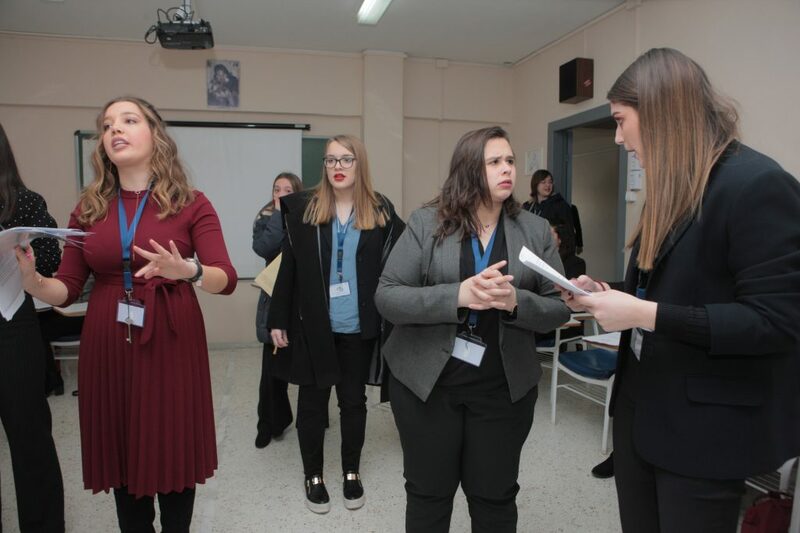 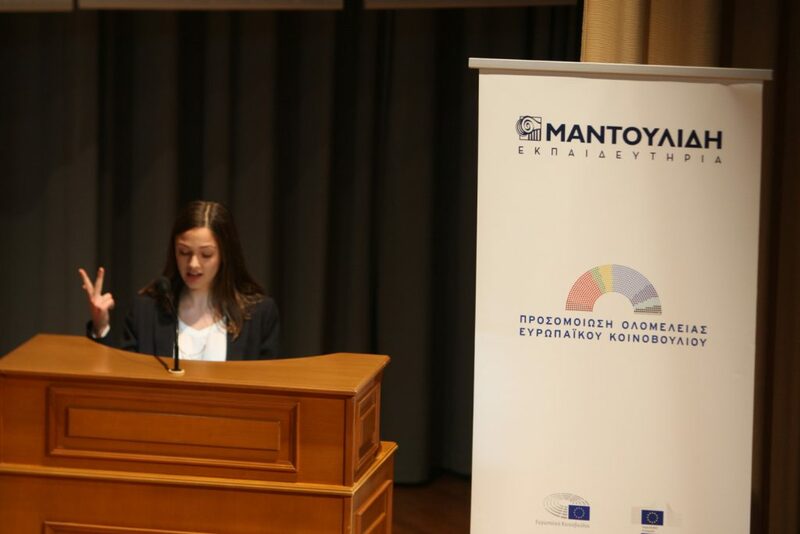 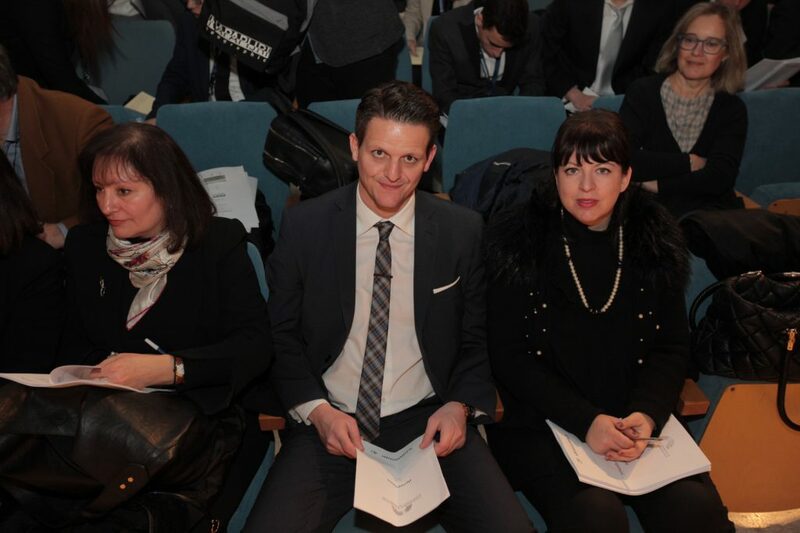 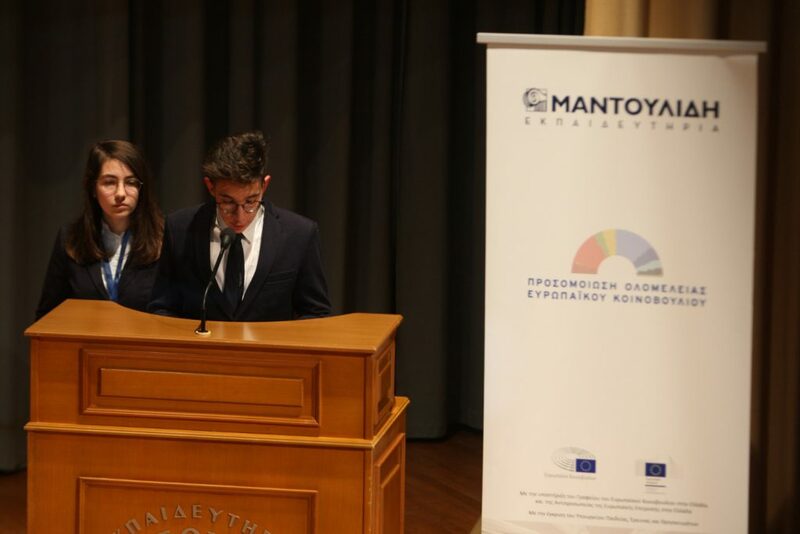 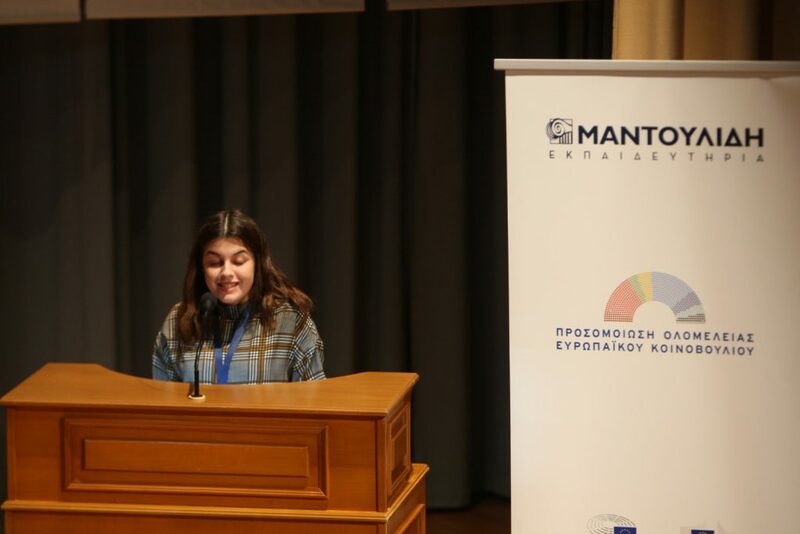 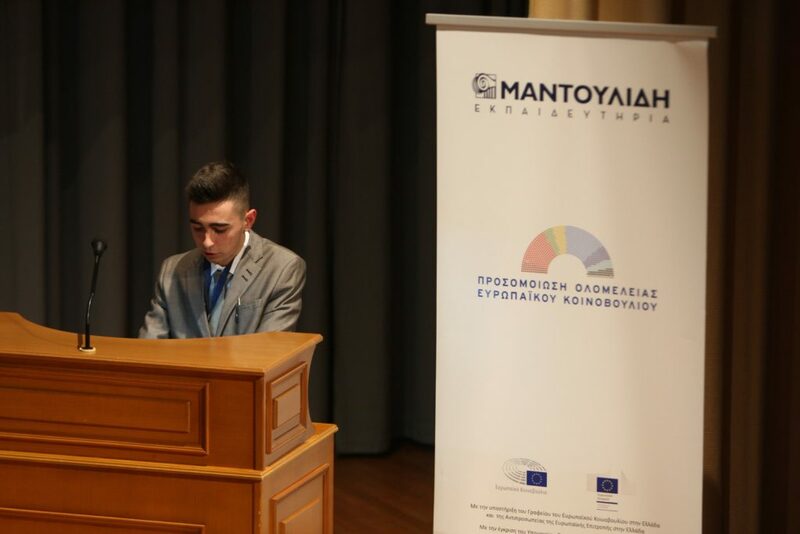 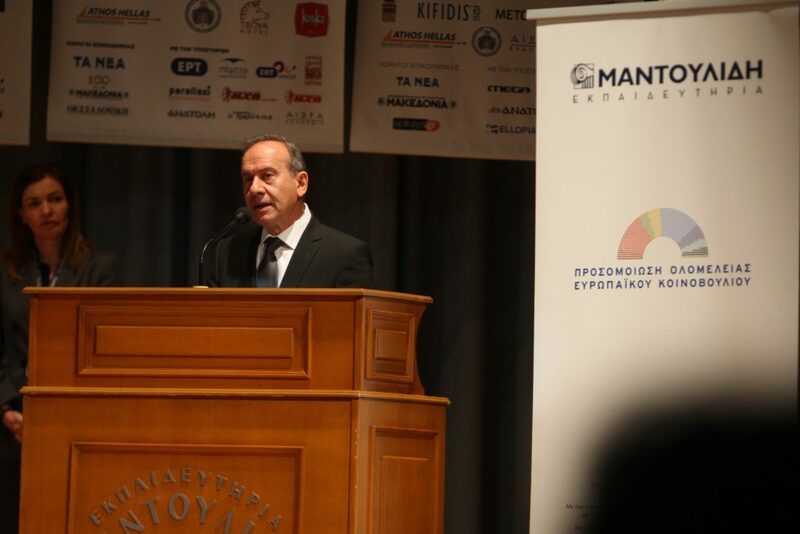 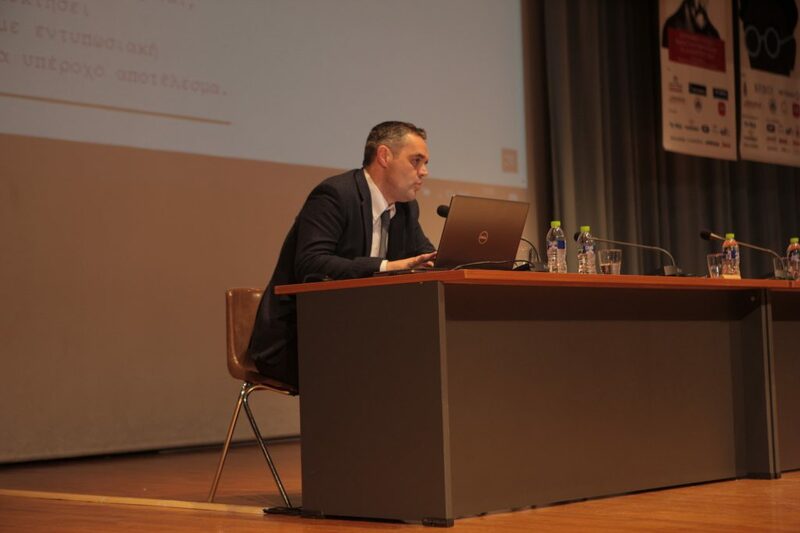 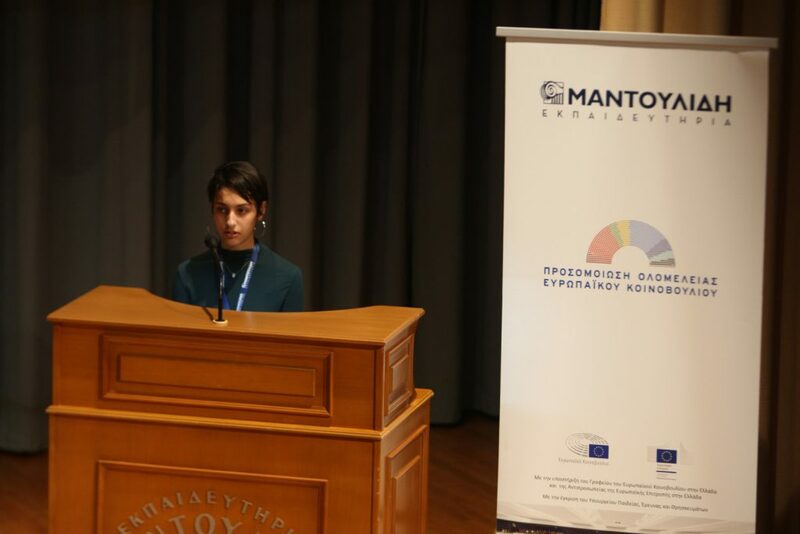 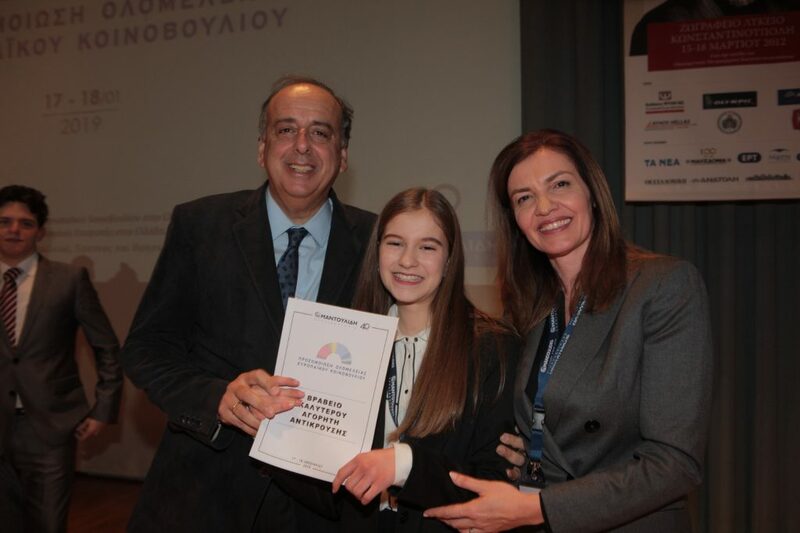 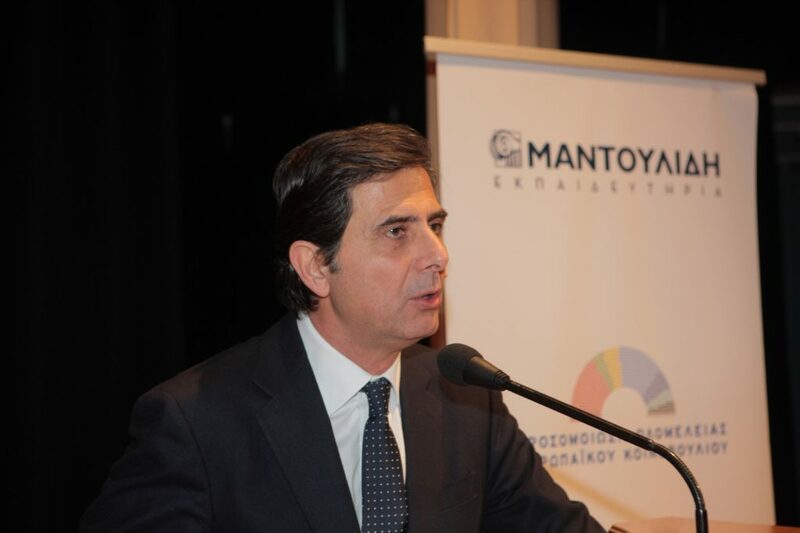 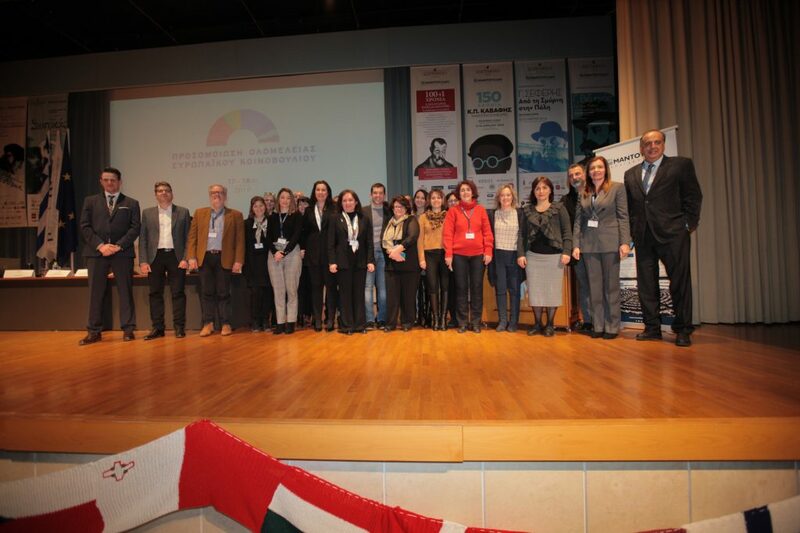 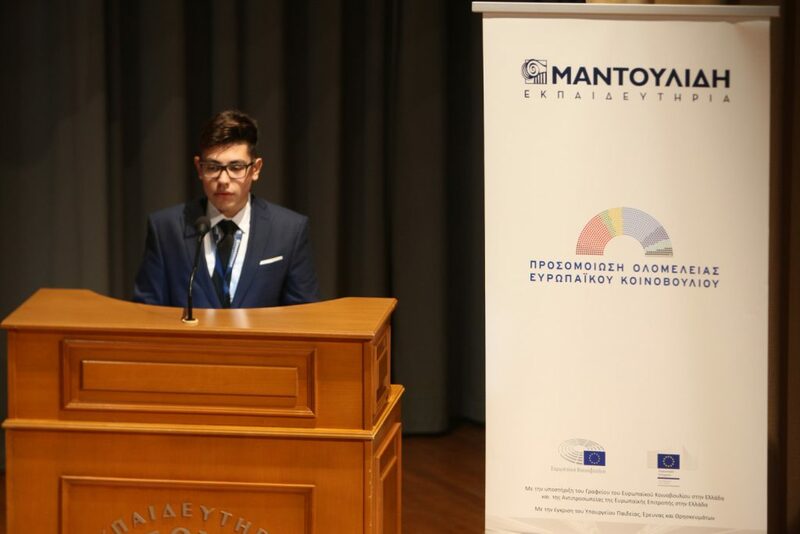 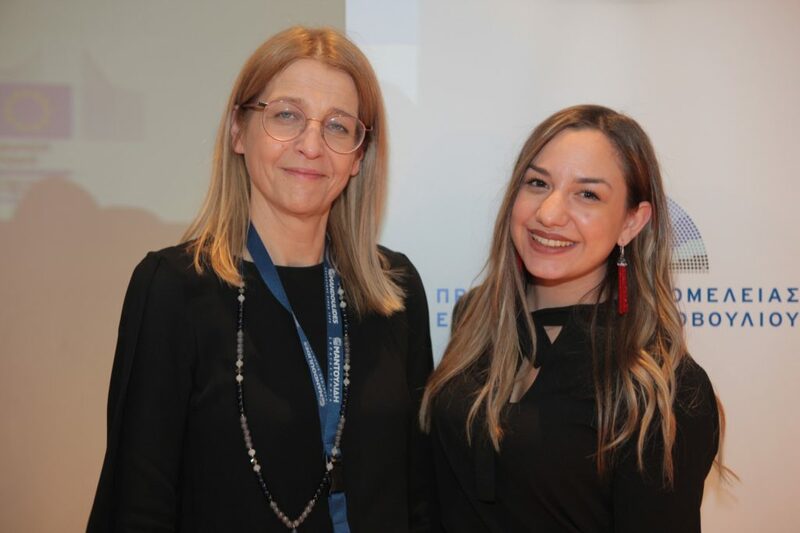 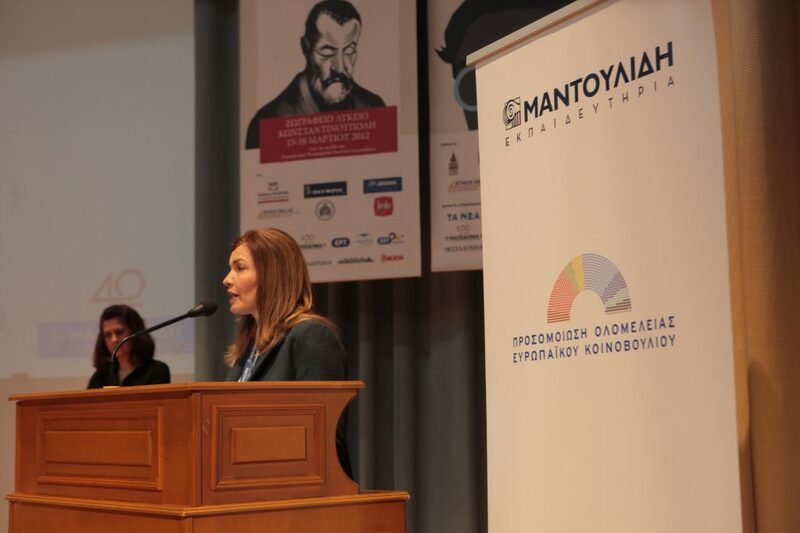 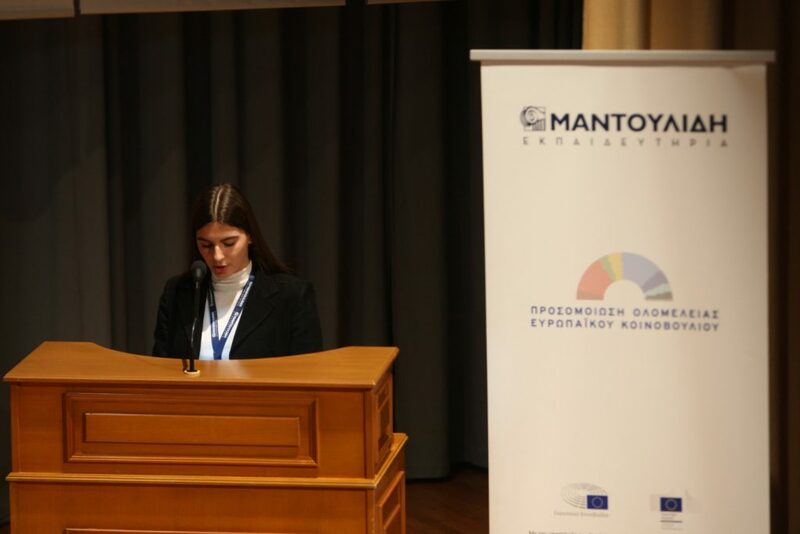 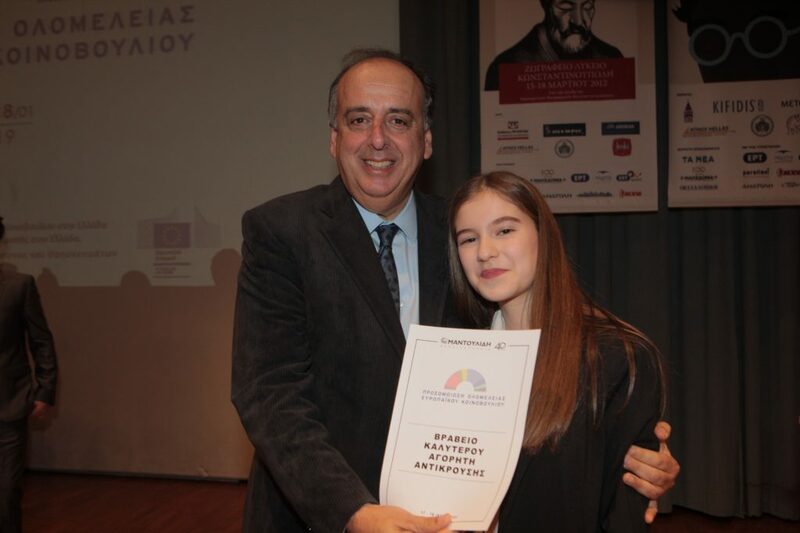 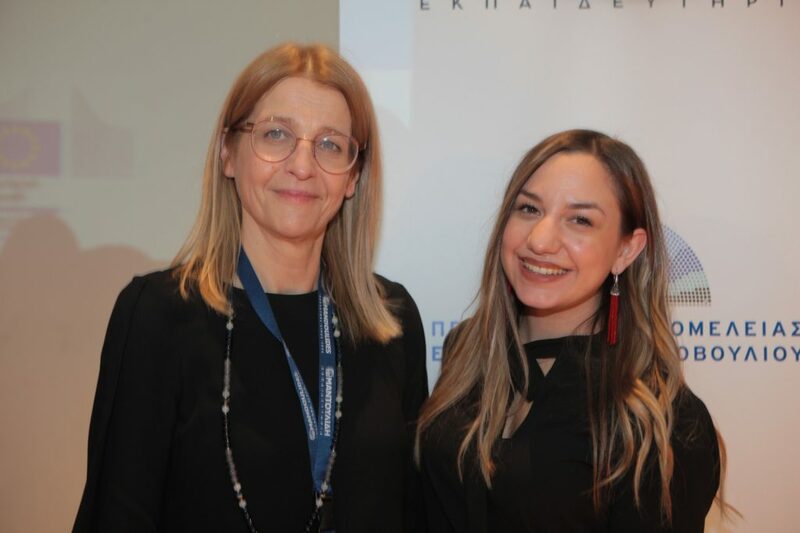 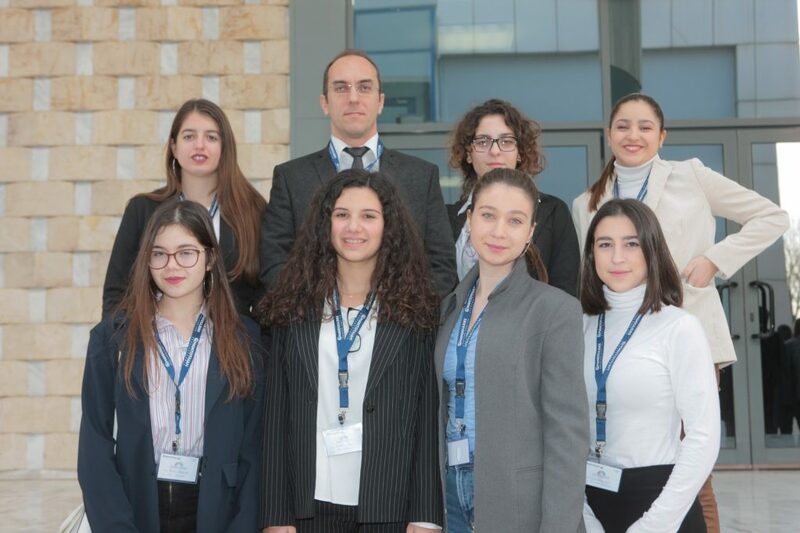 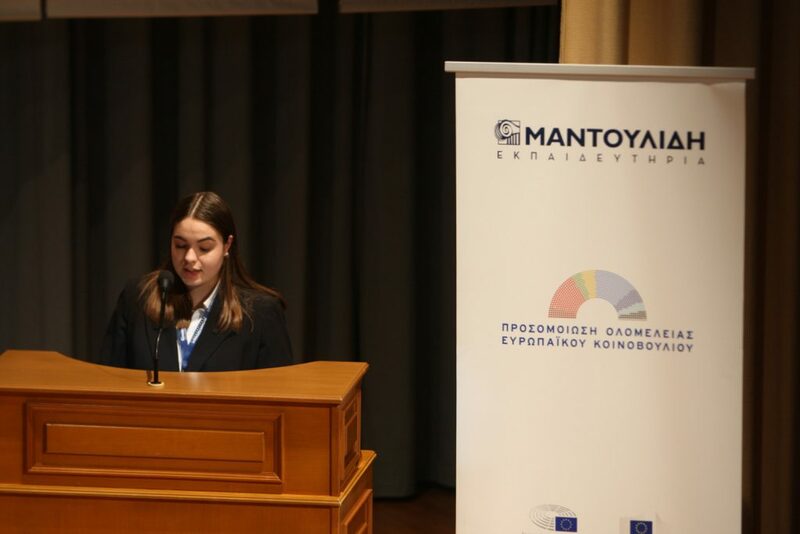 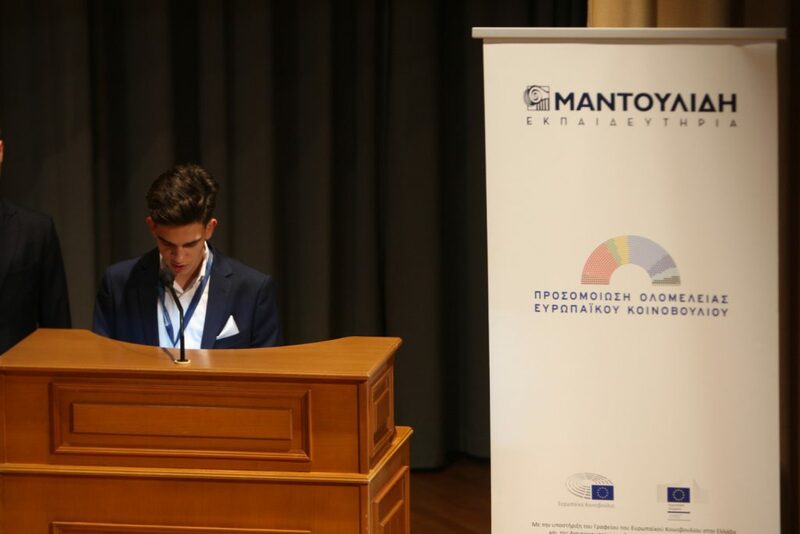 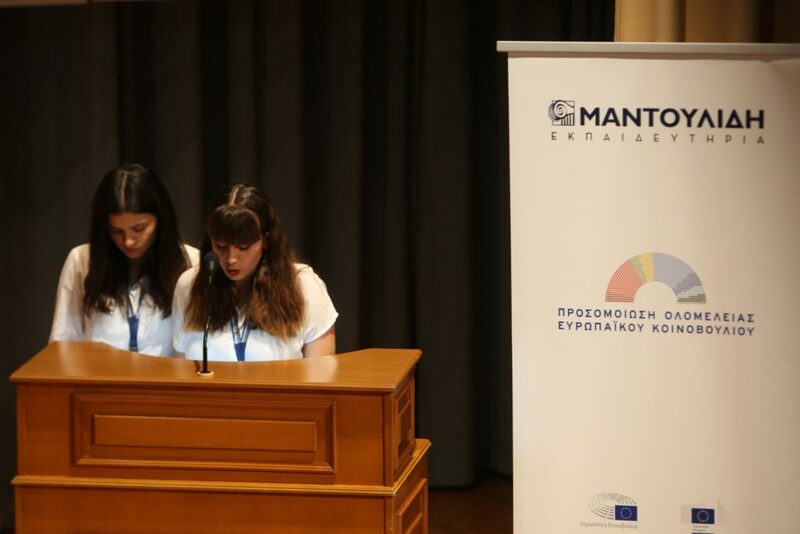 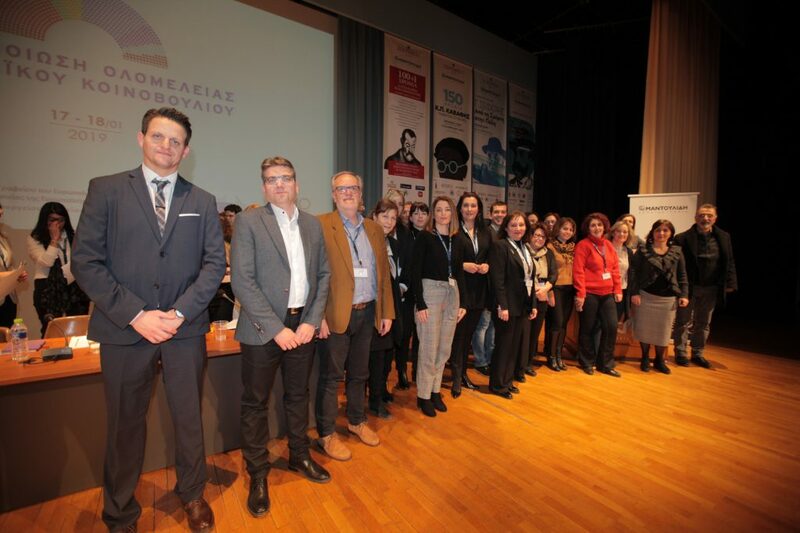 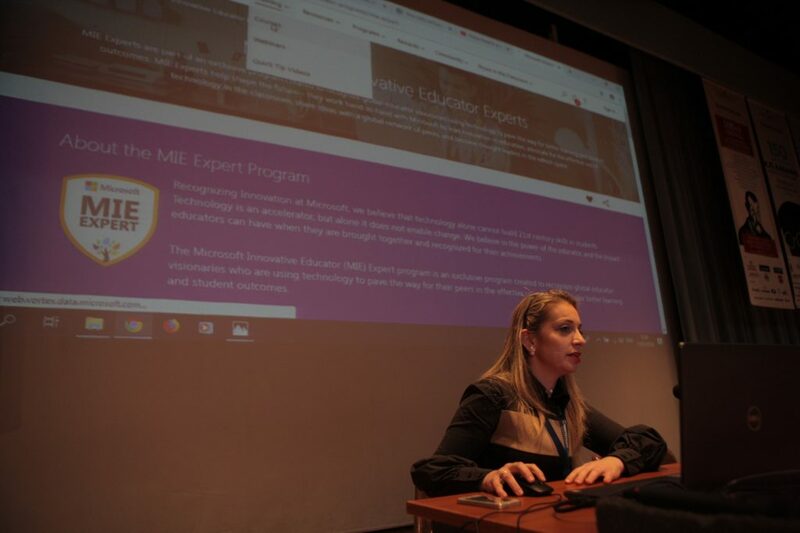 The event was organized by Mandoulides Schools with the approval of the Ministry of Education, Research and Religious Affairs and the support of the European Parliament Office in Greece and the Representation of the European Commission in Greece. 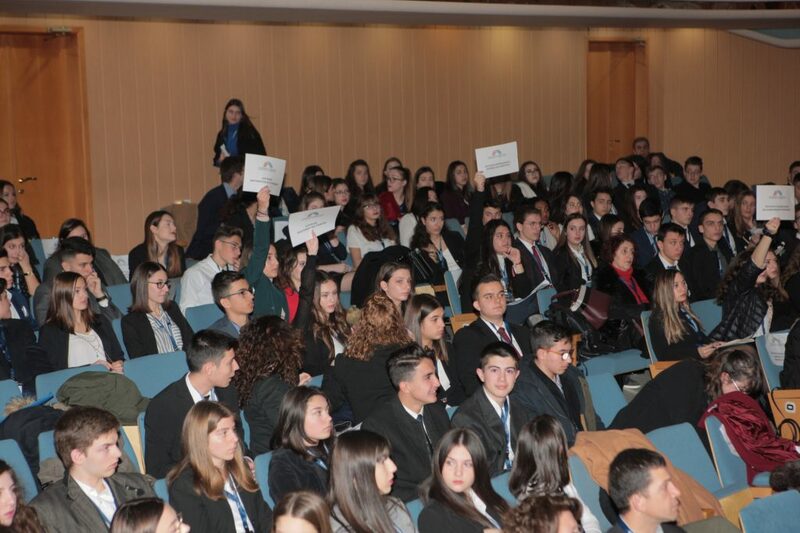 During the plenary, the students were divided into eight committees (Environment, Public Health and Food Safety - Culture and Education - Human Rights - Civil Liberties, Justice and Home Affairs - Women's Rights and Gender Equality Opportunities - Transport and Tourism - Industry, Research and Energy - Employment and Social Affairs). 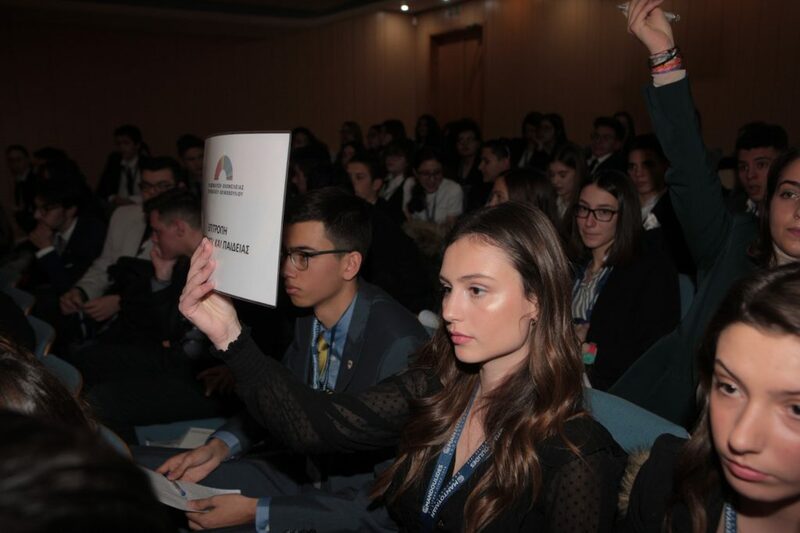 With the guidance and suggestions of the Chairs of each committee, they had the unique opportunity to be informed, exchange views, reflect, propose resolutions and provide solutions to current issues of global interest. 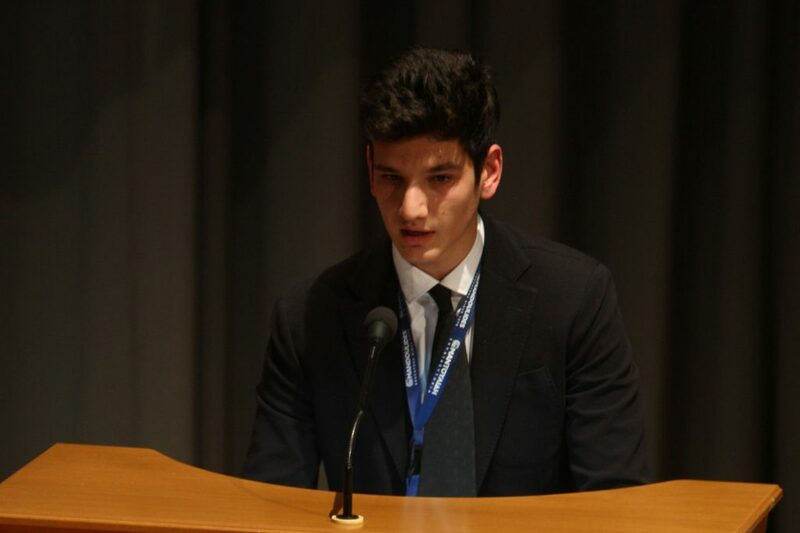 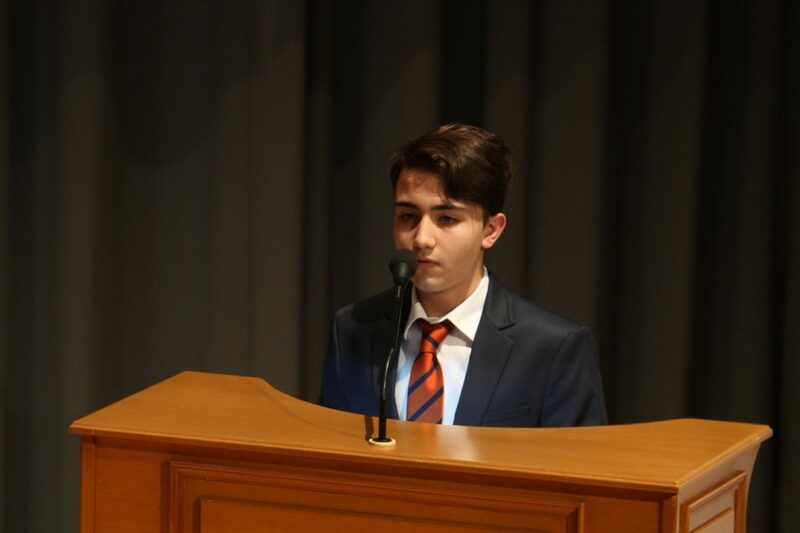 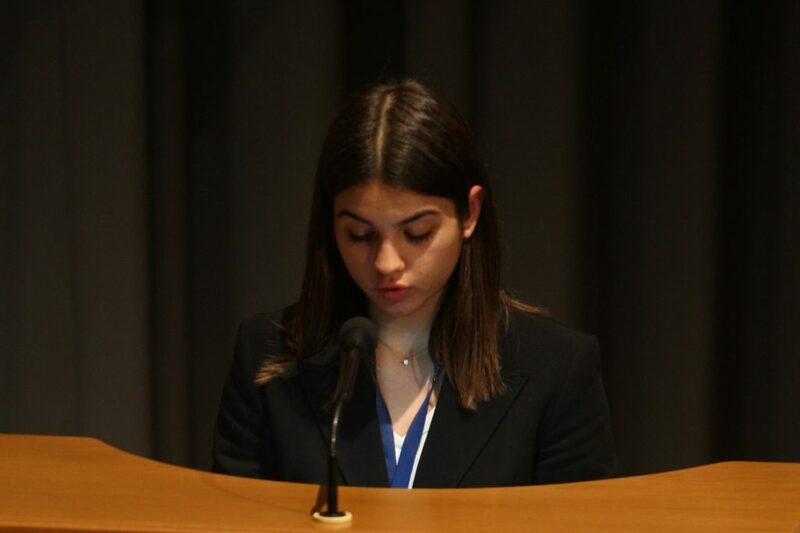 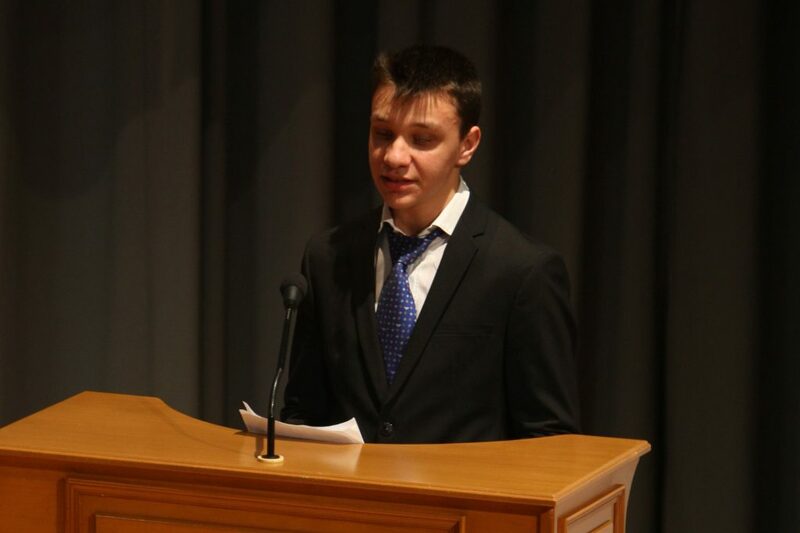 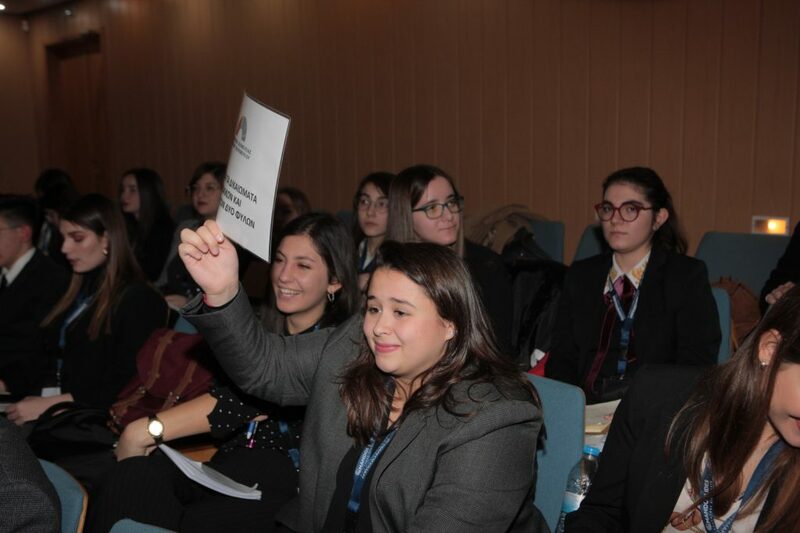 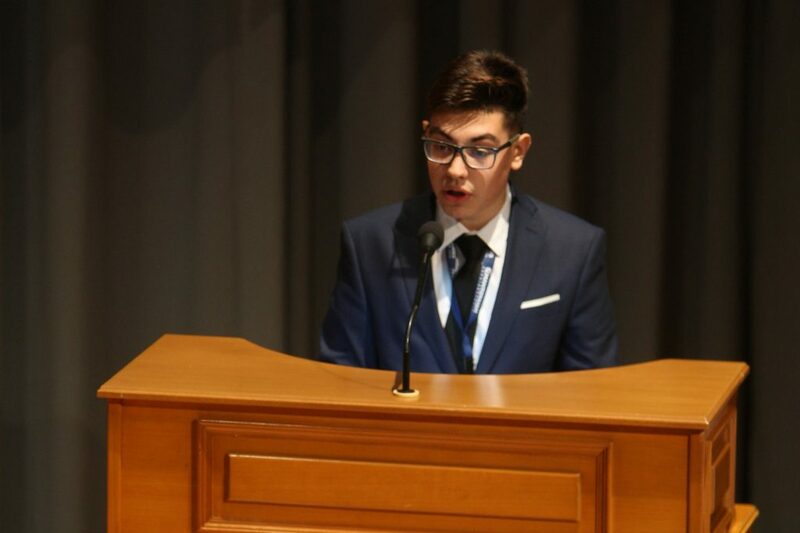 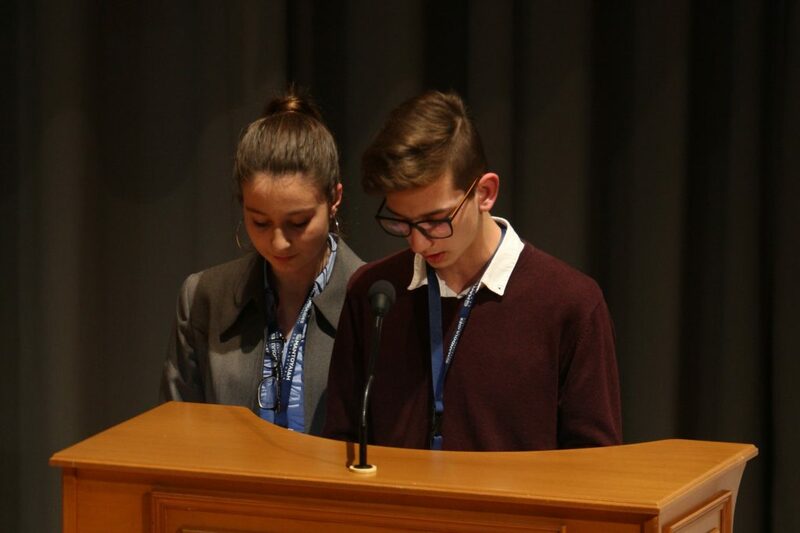 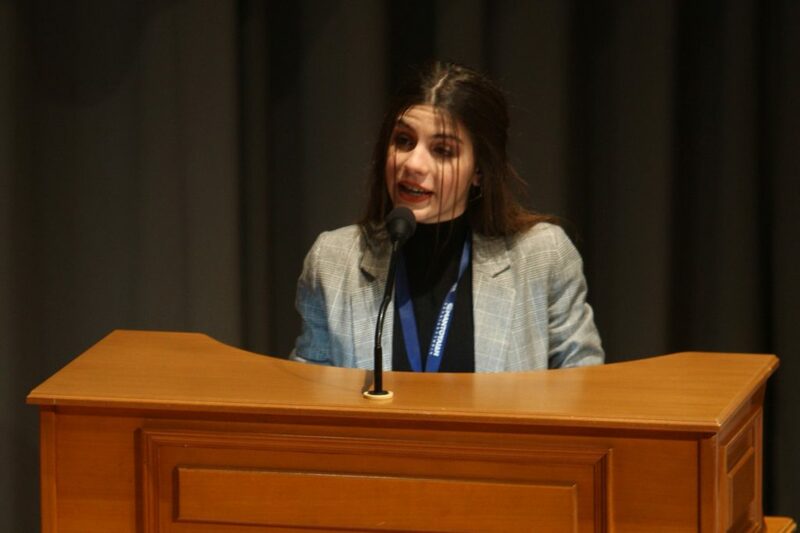 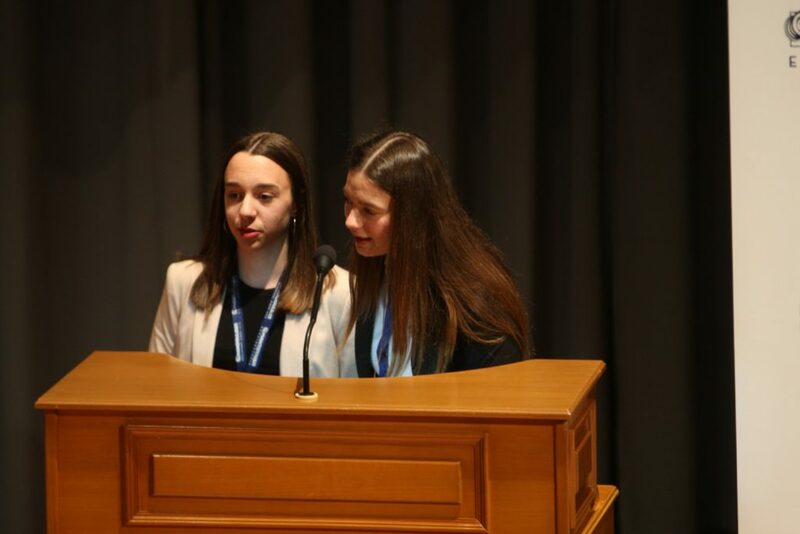 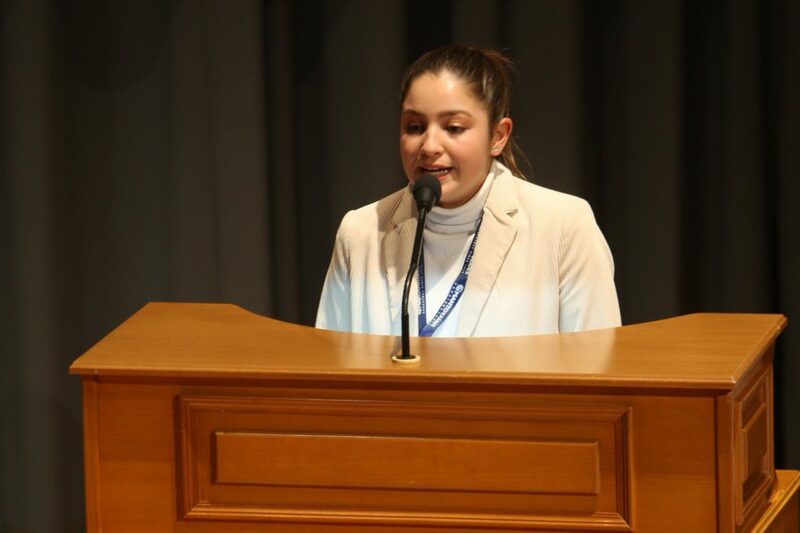 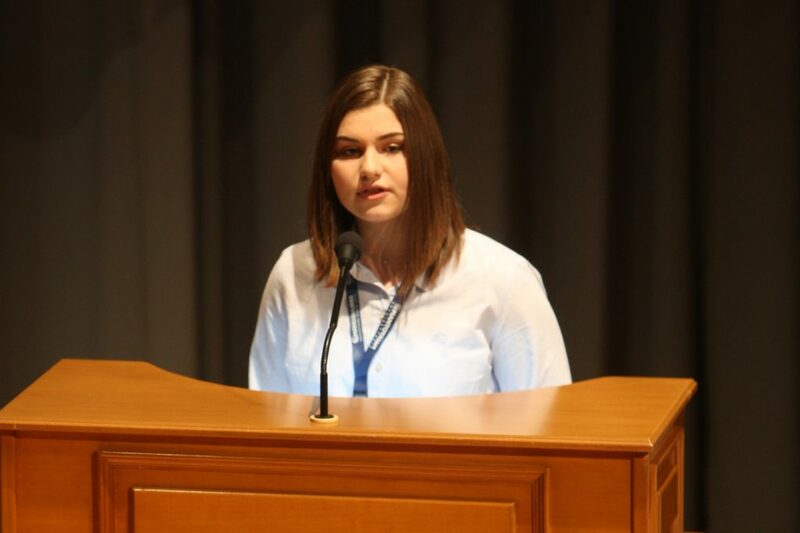 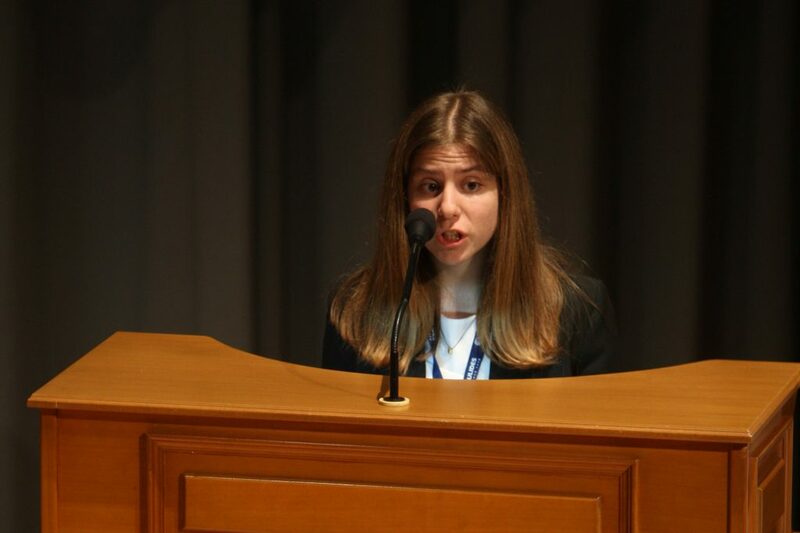 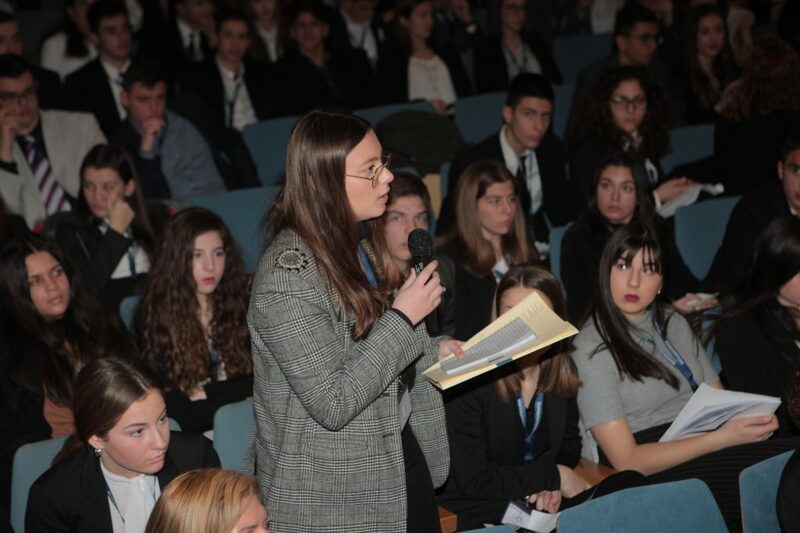 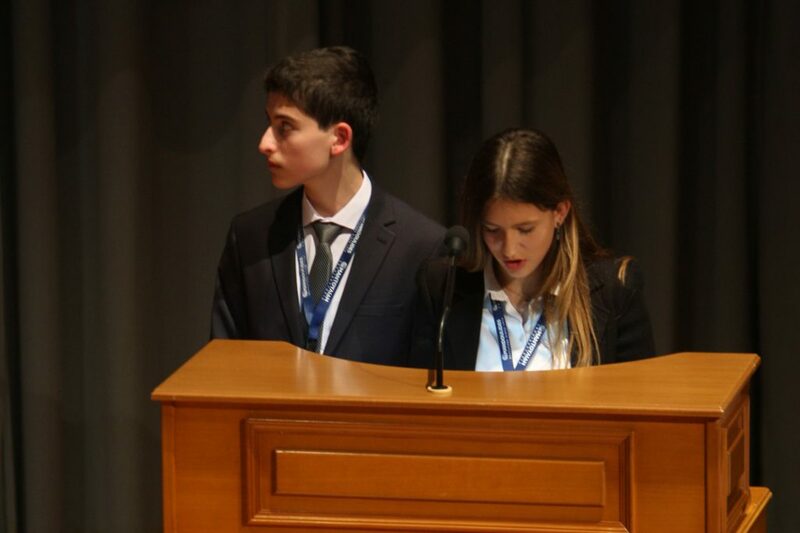 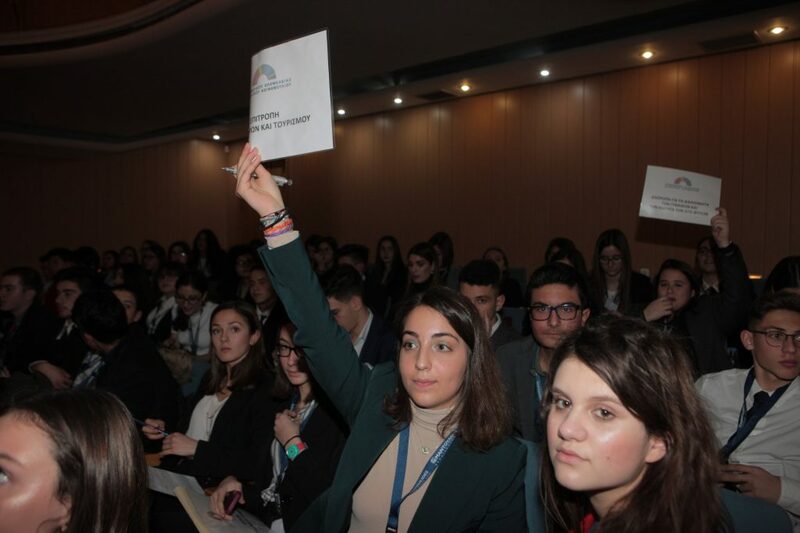 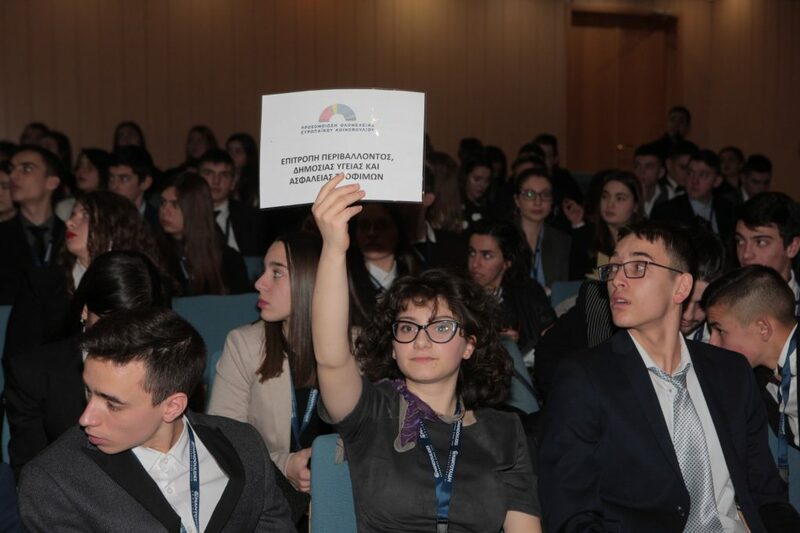 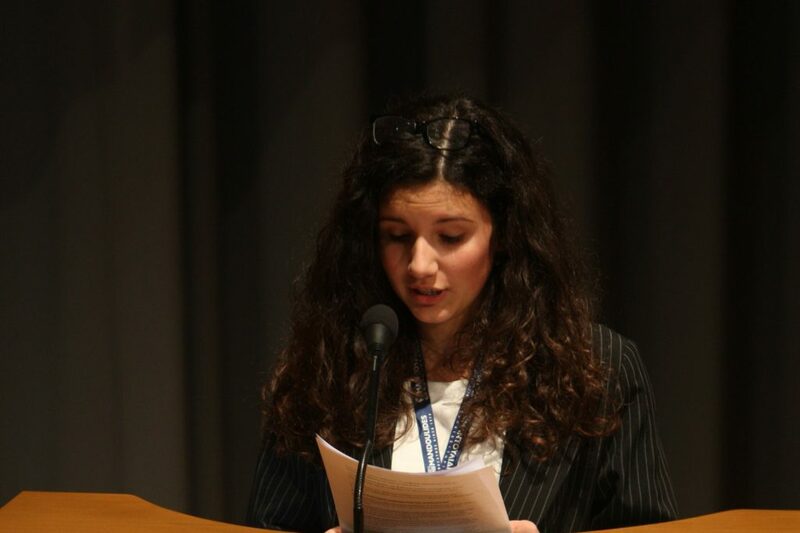 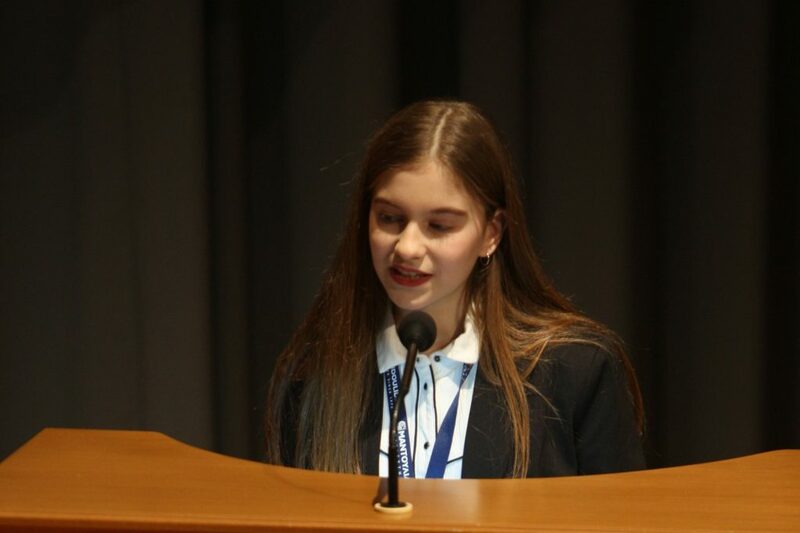 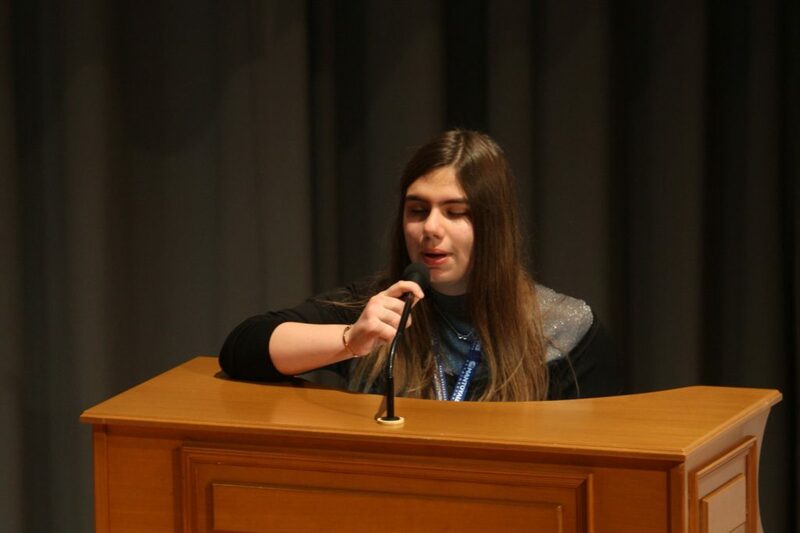 The ability to convince, the strength of arguments and the power of speech provided students with the opportunity to present resolutions, defend them, rebut them, ask questions, give answers, summarize positions and finally vote on the final form of their resolutions at the plenary session. 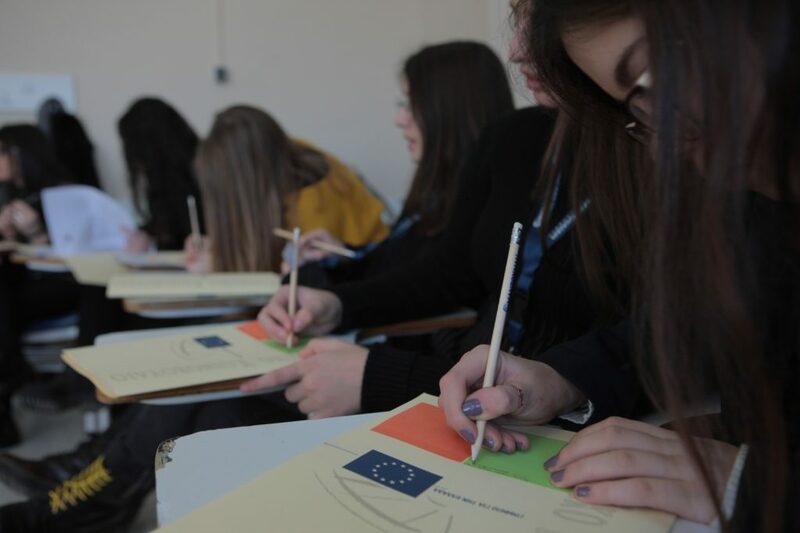 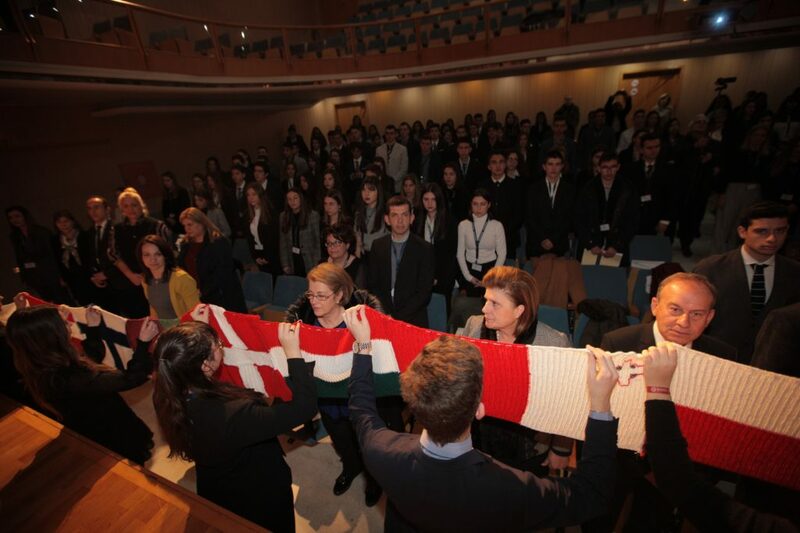 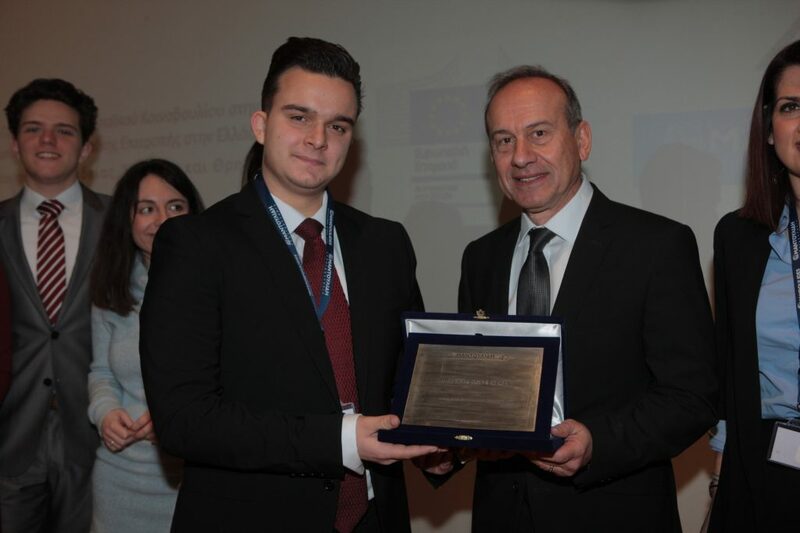 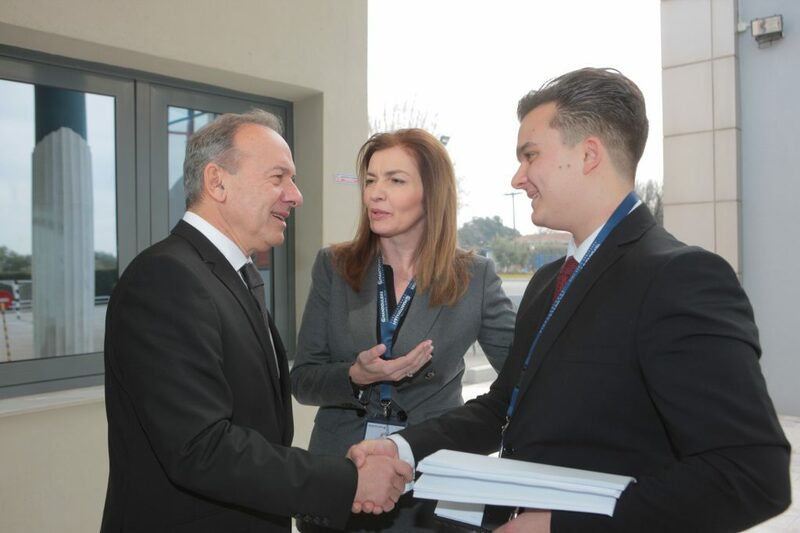 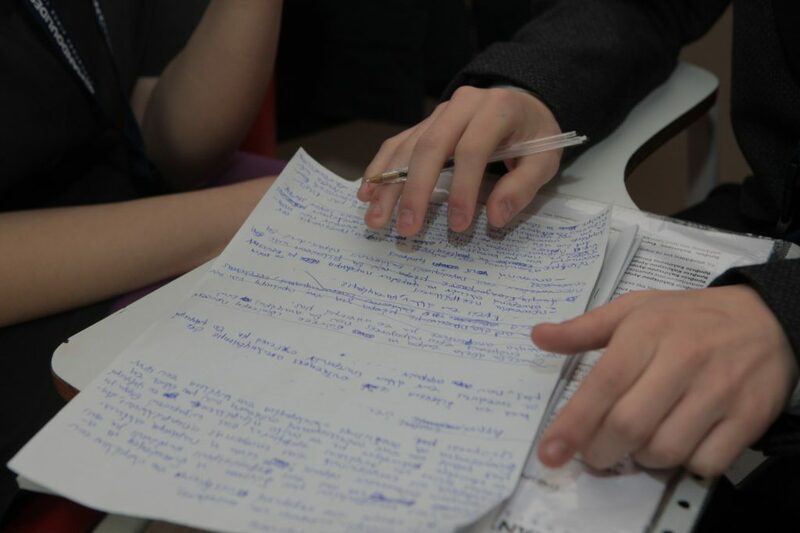 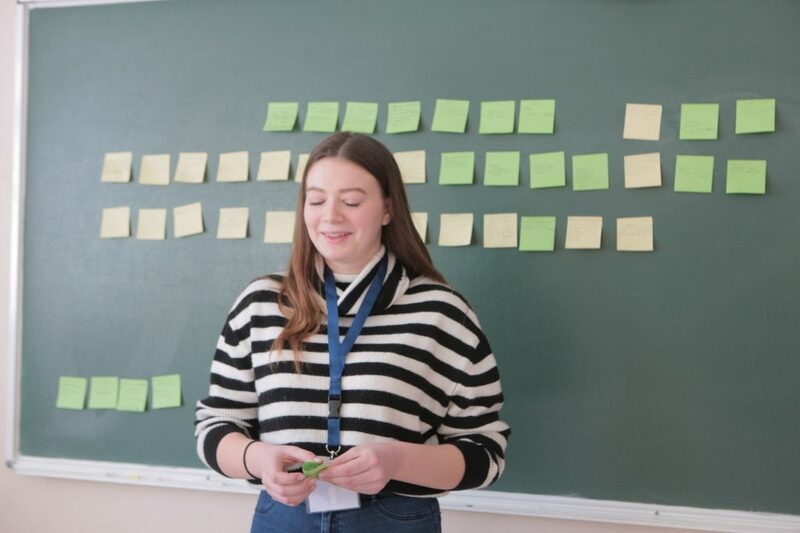 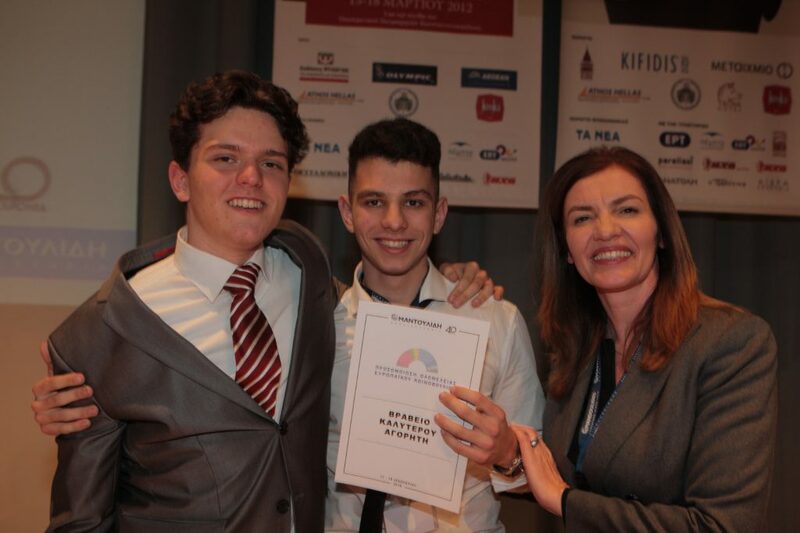 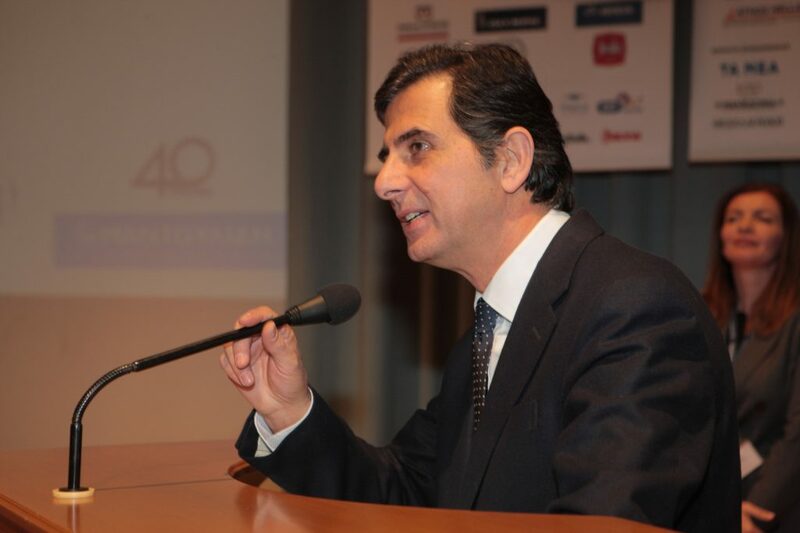 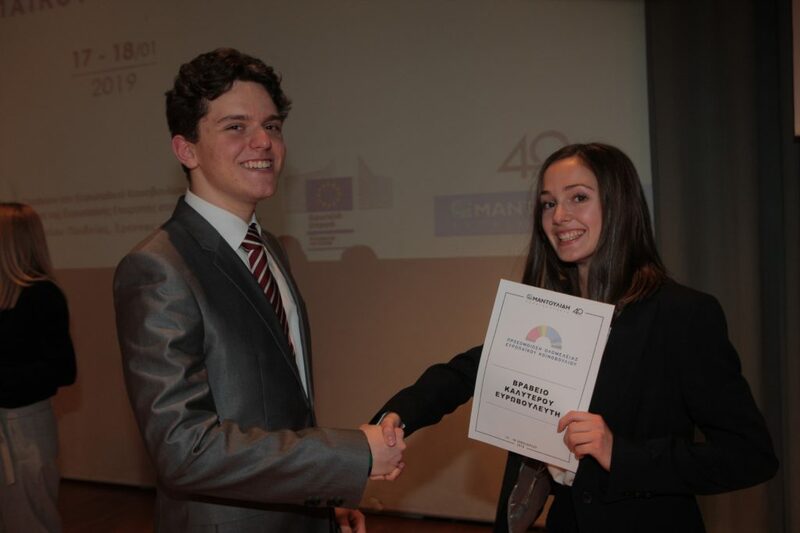 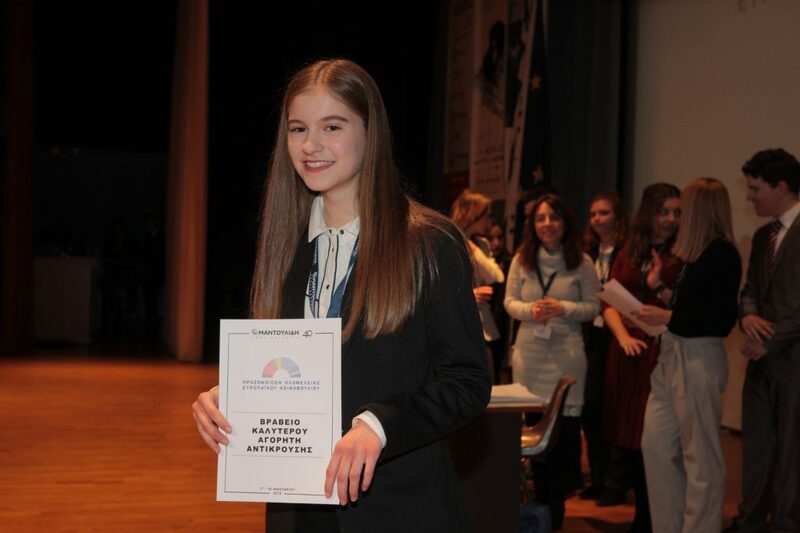 Above all, students had the opportunity to realize the value of their European descent and the strength of their European identity; to appreciate European values and in particular liberal democratic values, tolerance and equality; to understand the value of living in a pluralistic and civilized society; to finally accept their responsibilities as European citizens, to reflect and take initiatives on urgent topical affairs. 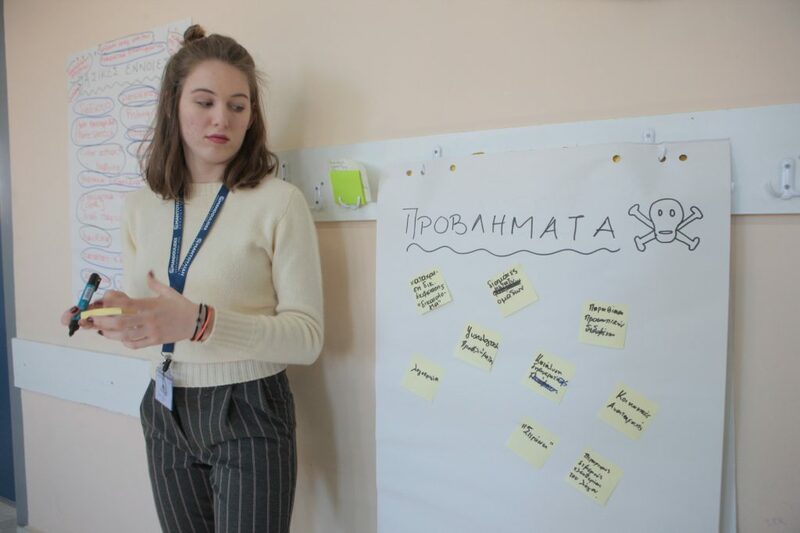 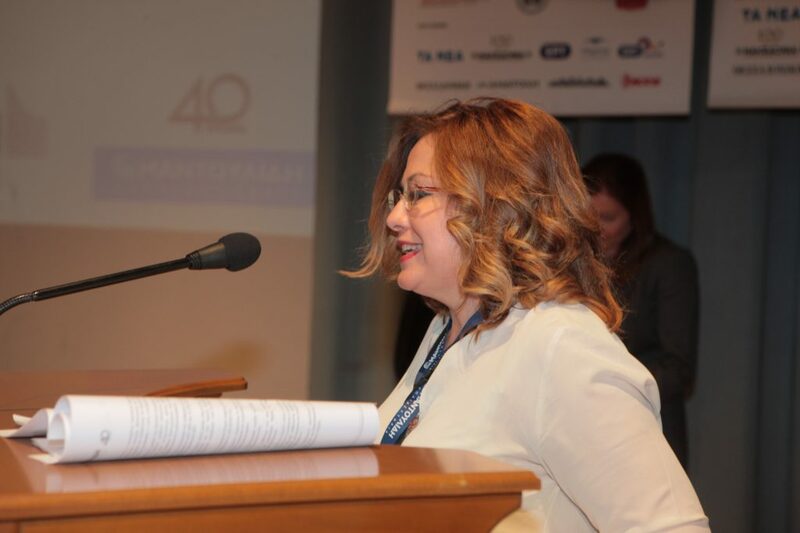 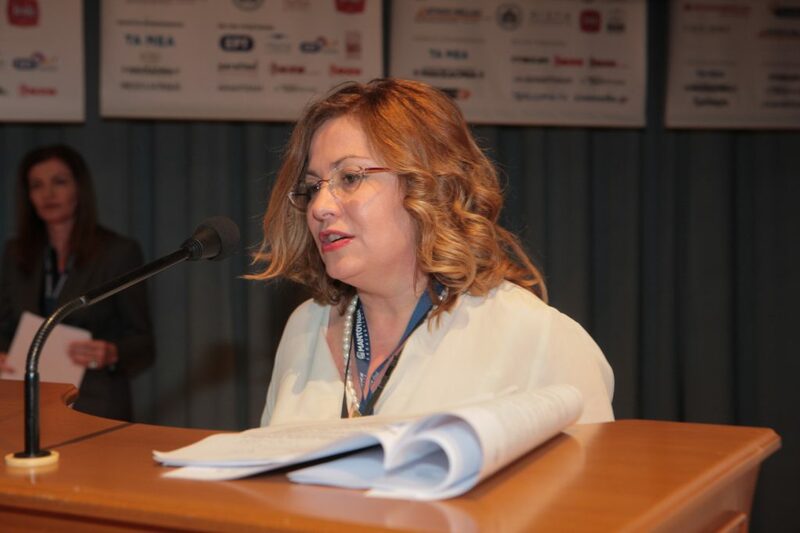 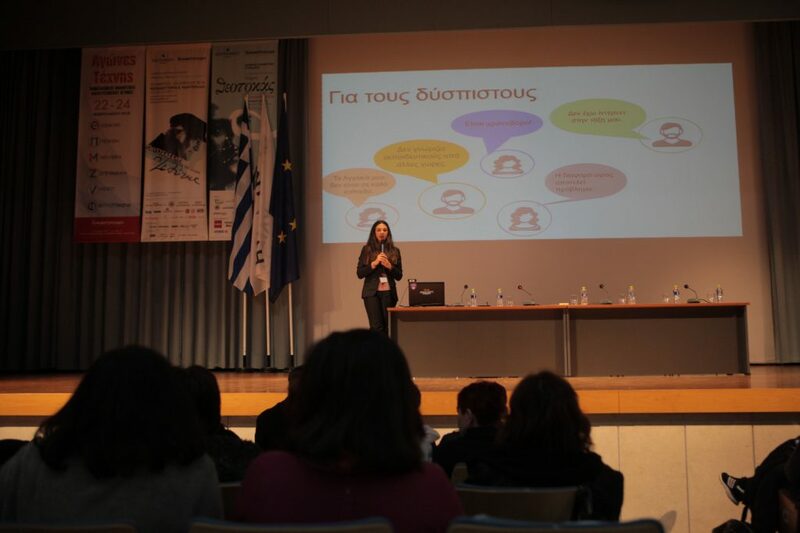 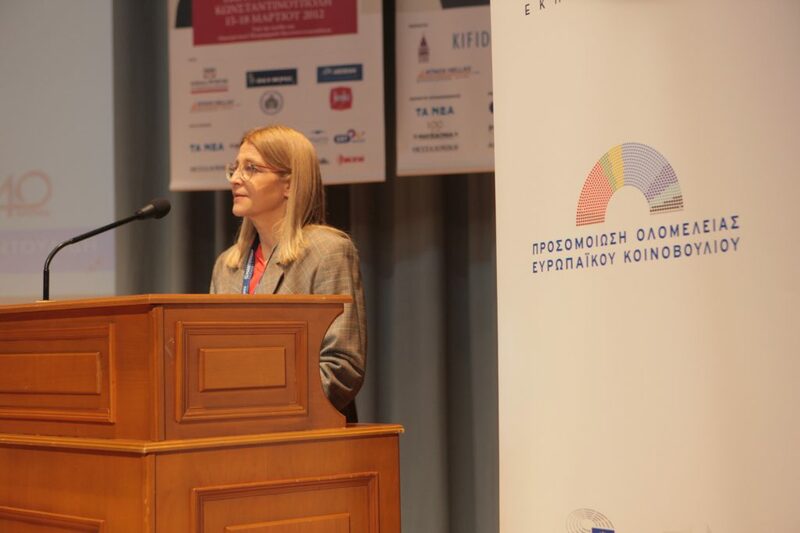 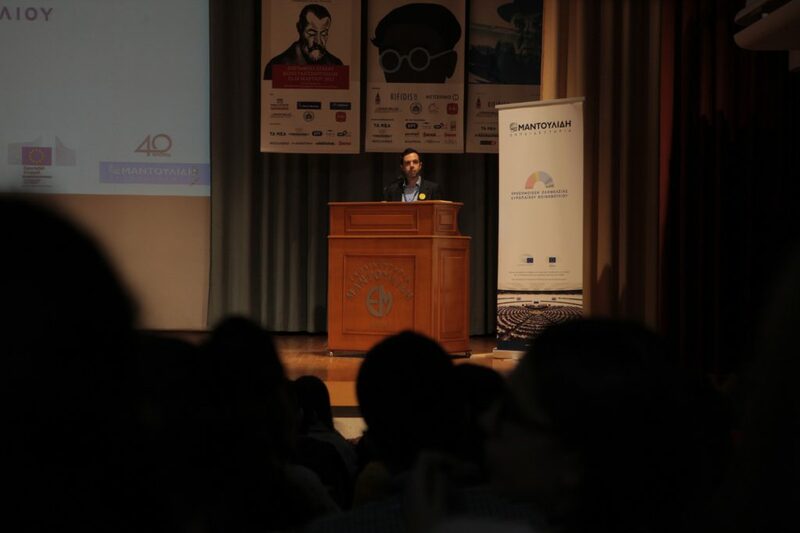 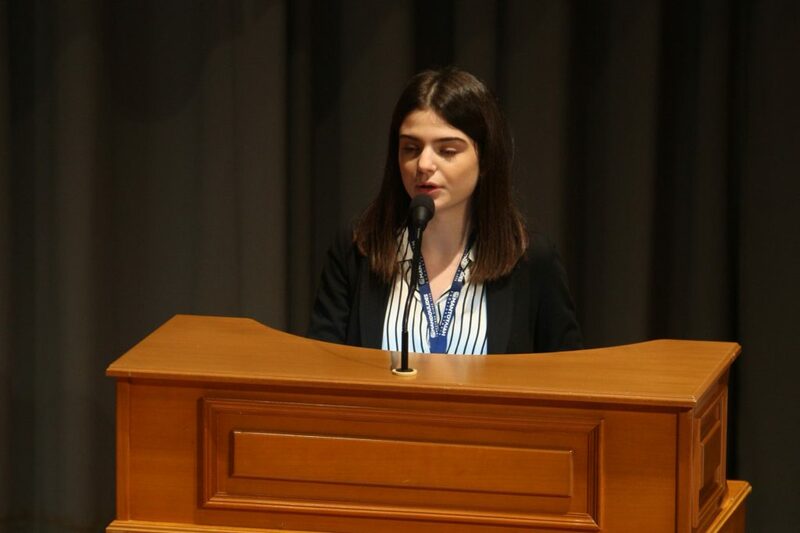 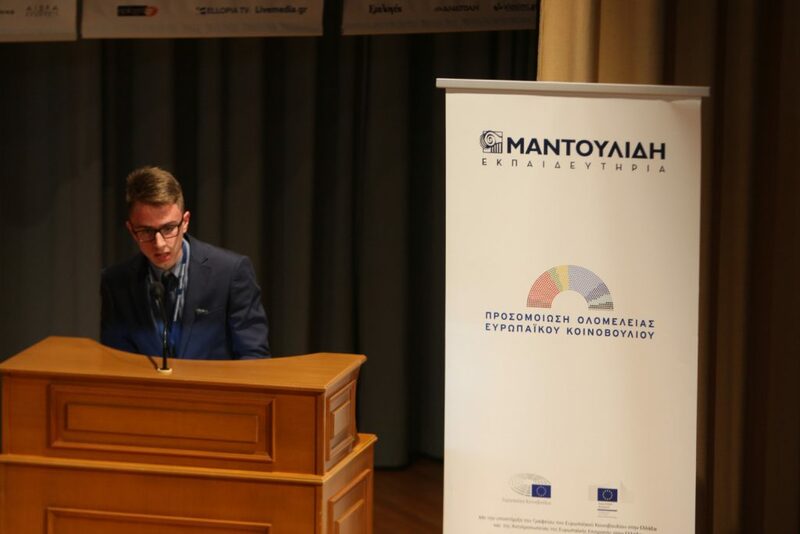 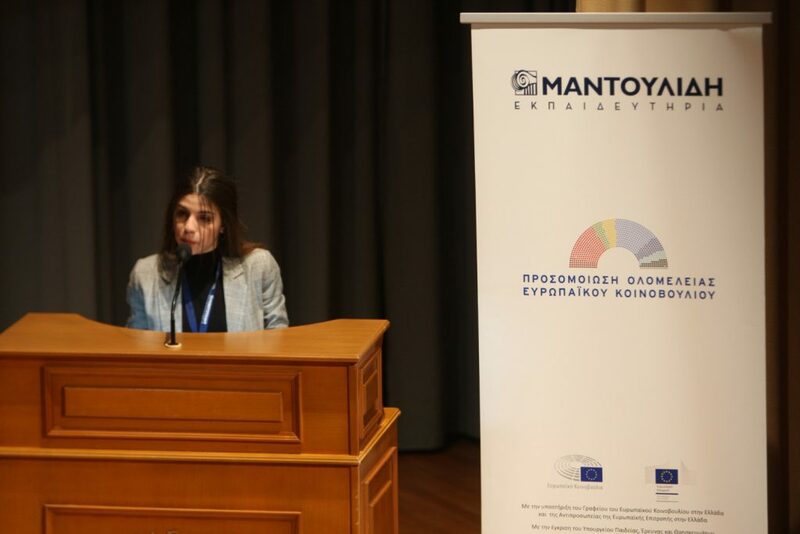 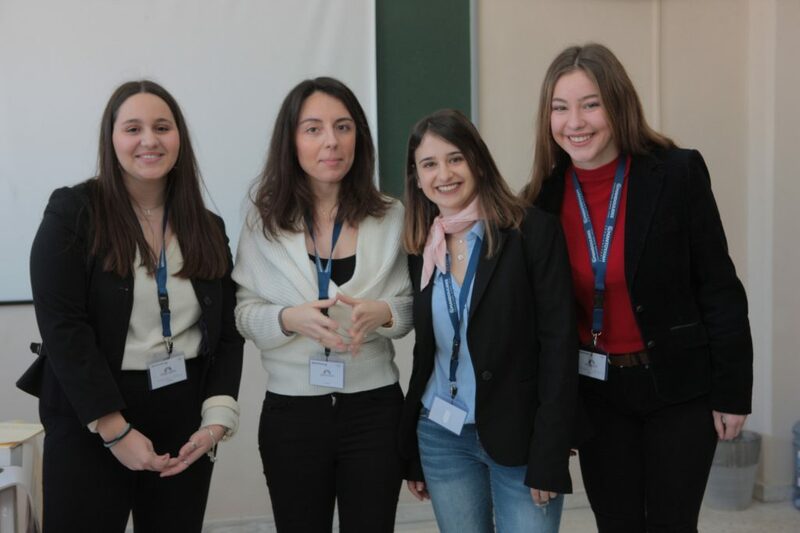 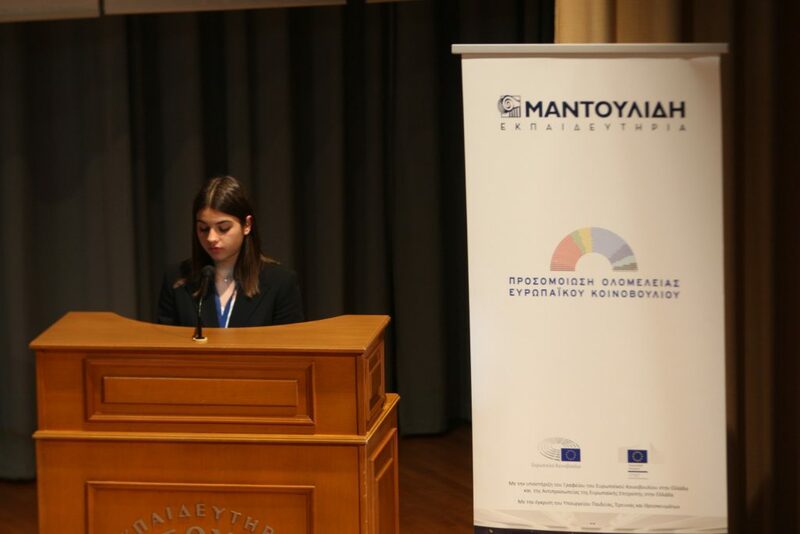 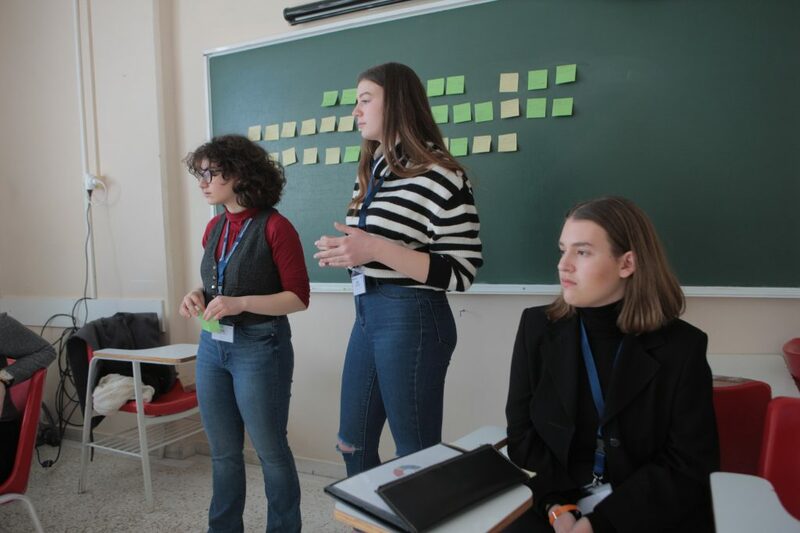 The first day of the students’ works was addressed by Dr. Charis Kountouros, Public Relations Officer of the European Parliament Office in Greece. 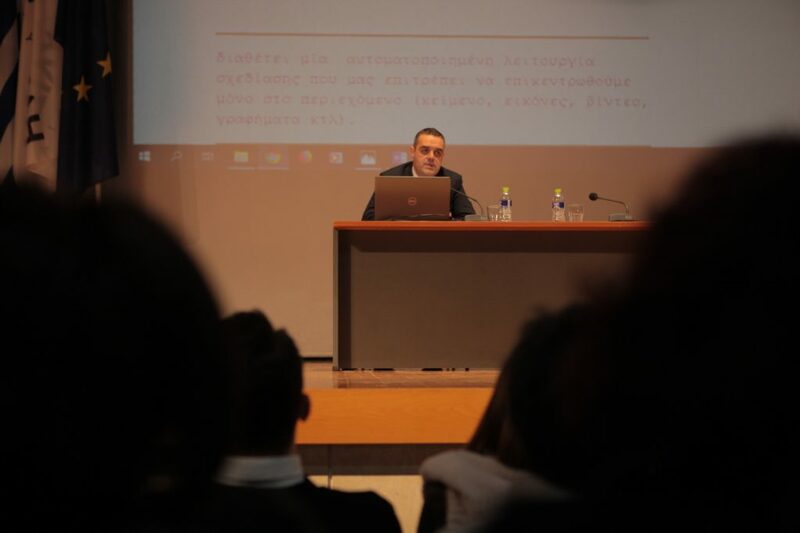 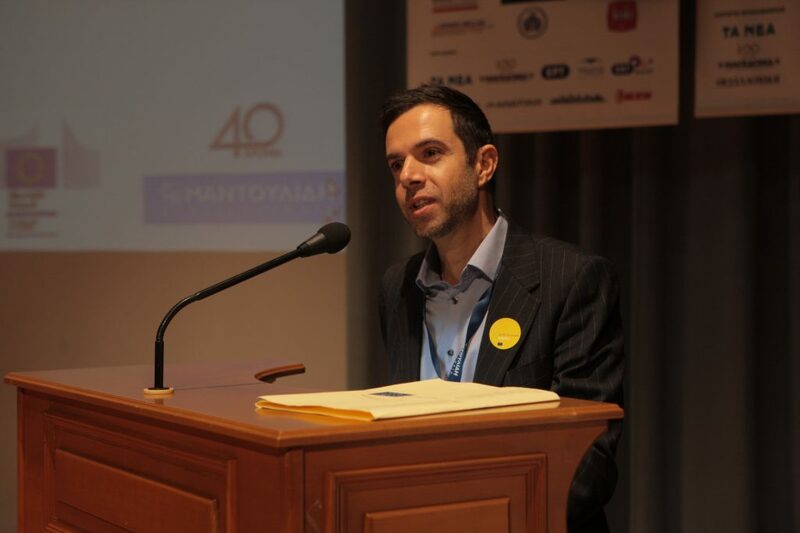 The opening ceremony was honored by the presence of Mr. Leonidas Antonakopoulos, Head of the European Parliament Office in Greece. 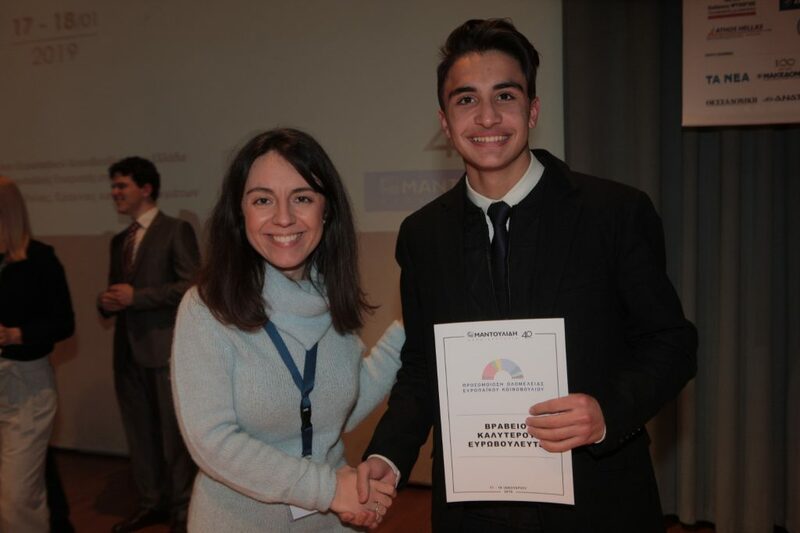 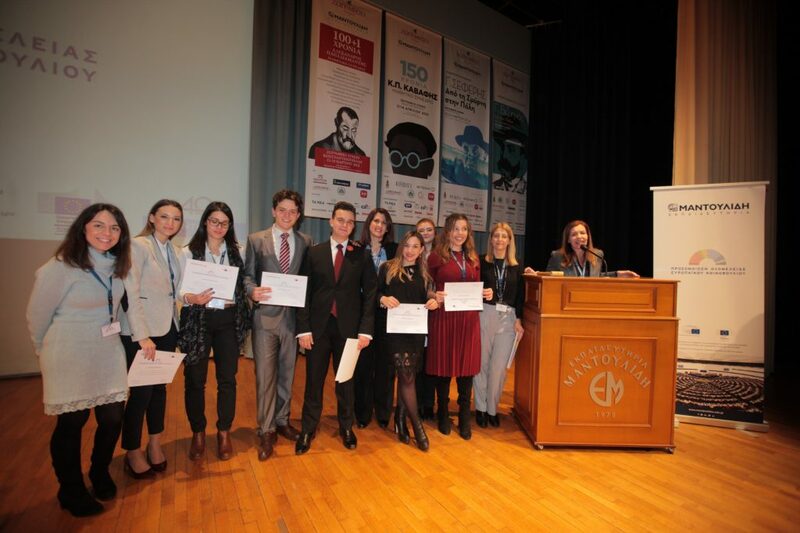 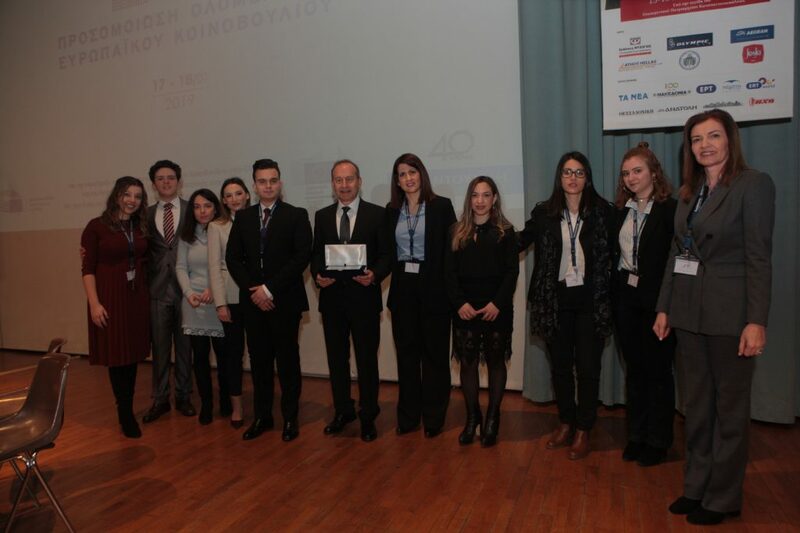 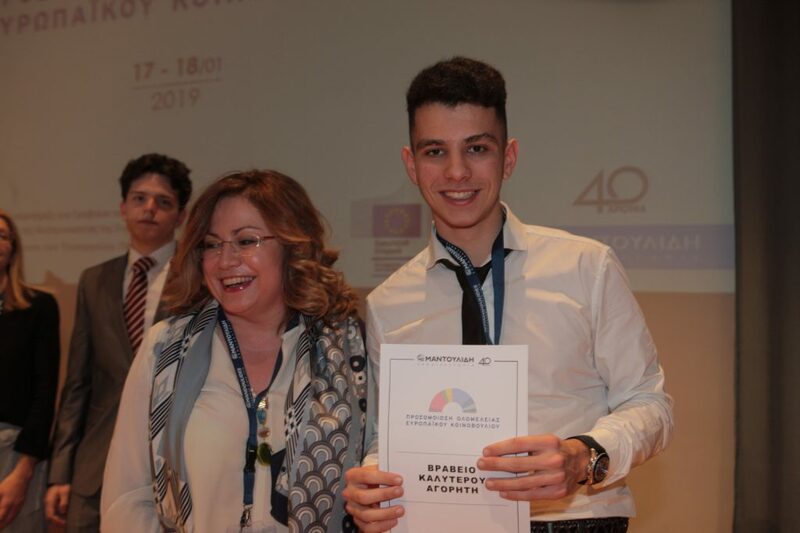 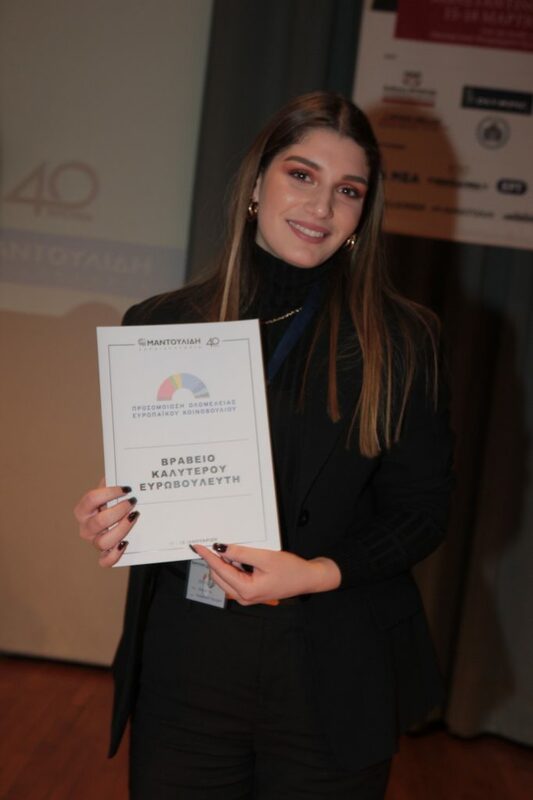 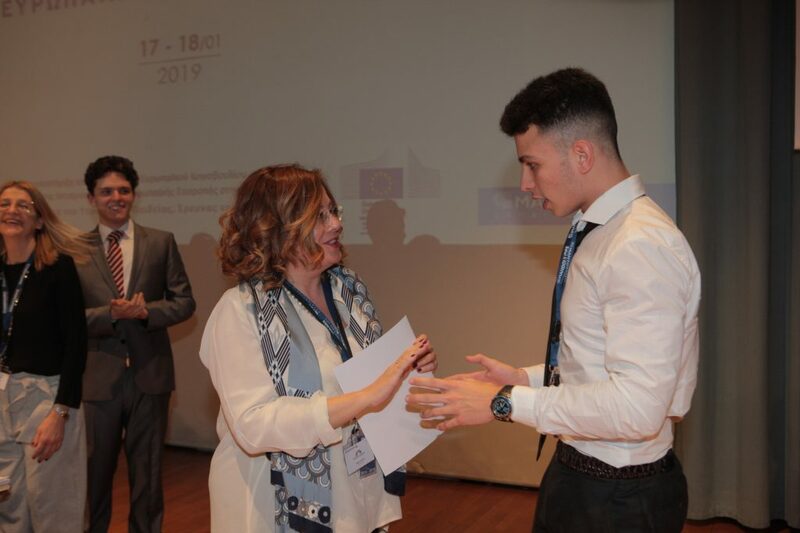 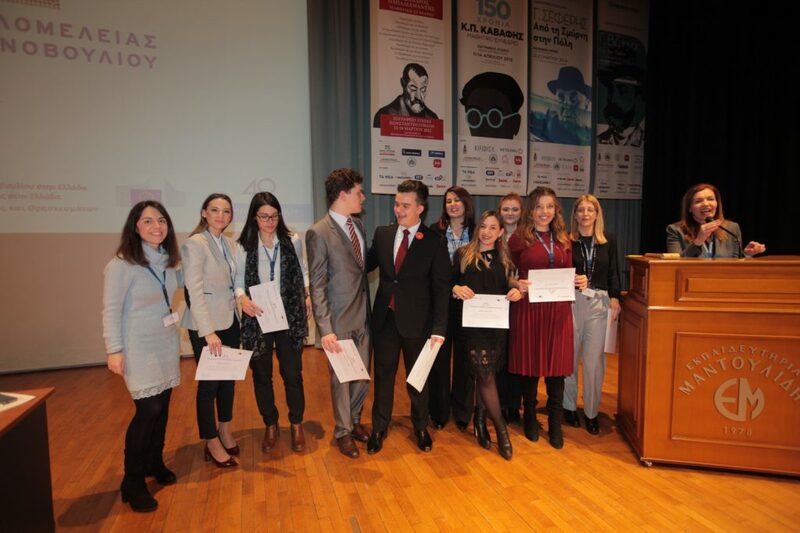 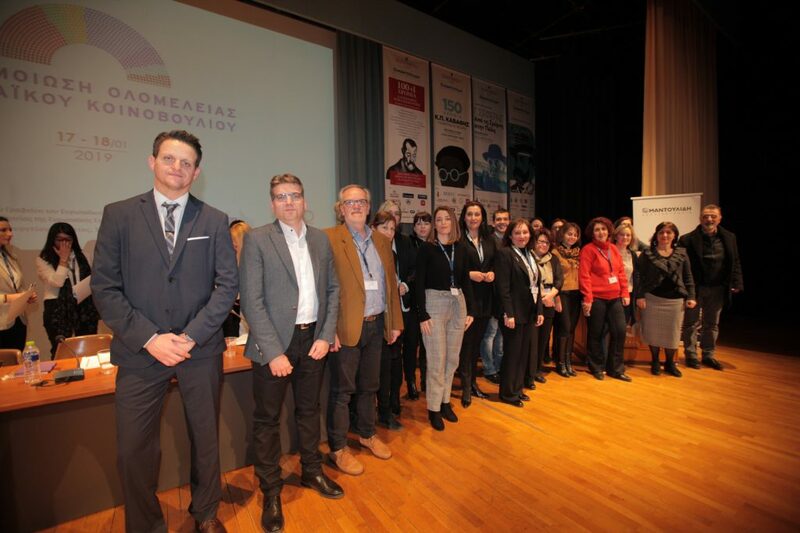 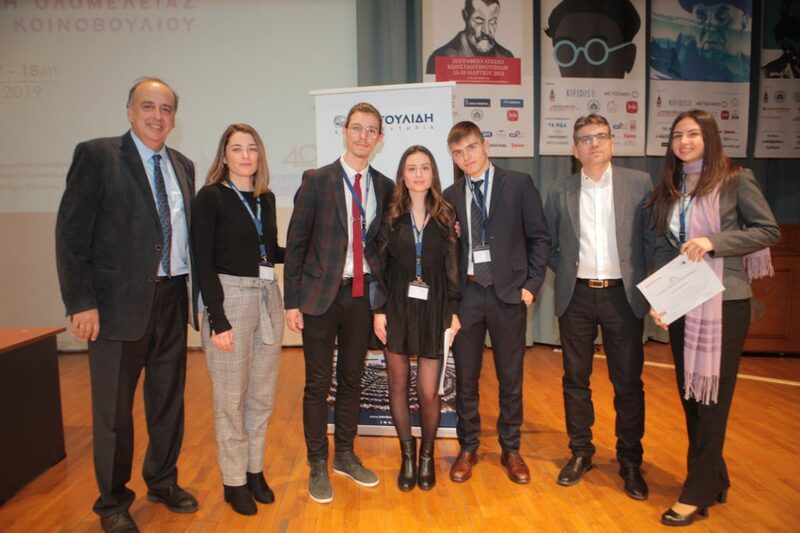 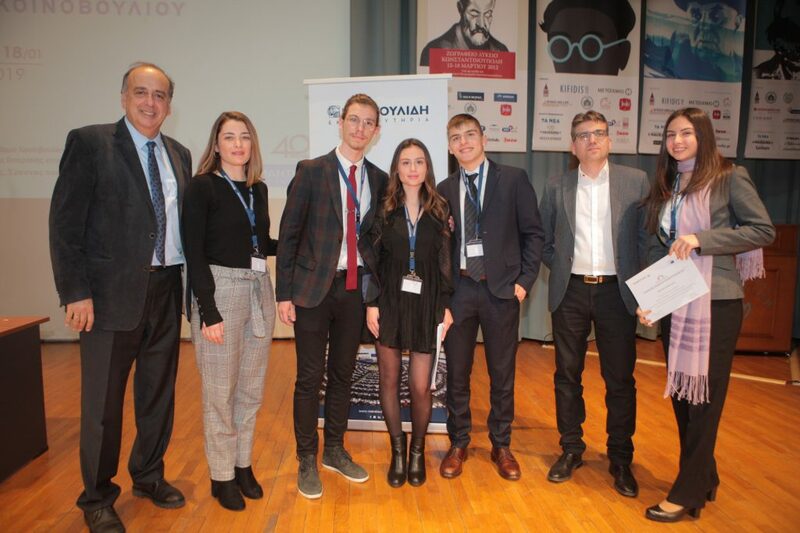 After the completion of the works, awards were presented to the students who excelled by Mrs. Maria Spyraki, MEP, Mr. Kostas Gkioulekas, MP of Thessaloniki and Mr. Giannis Demirtzoglou, Principal of Zografeio Lykeio in Istanbul. 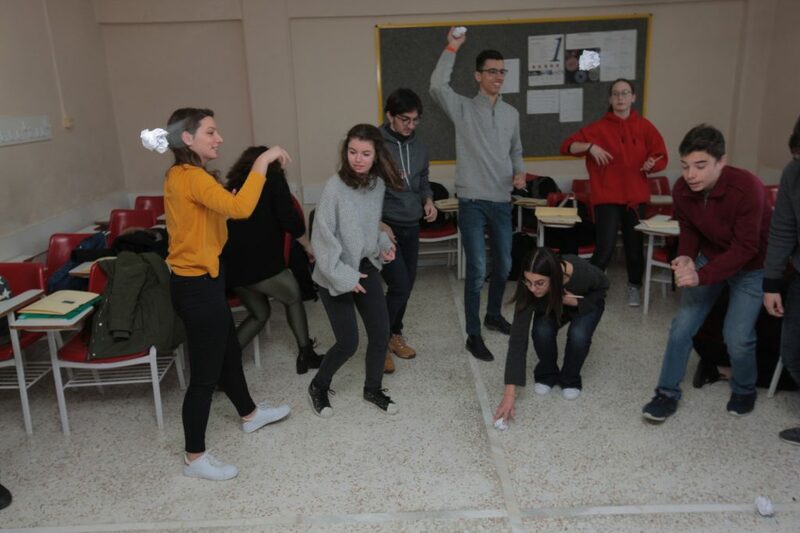 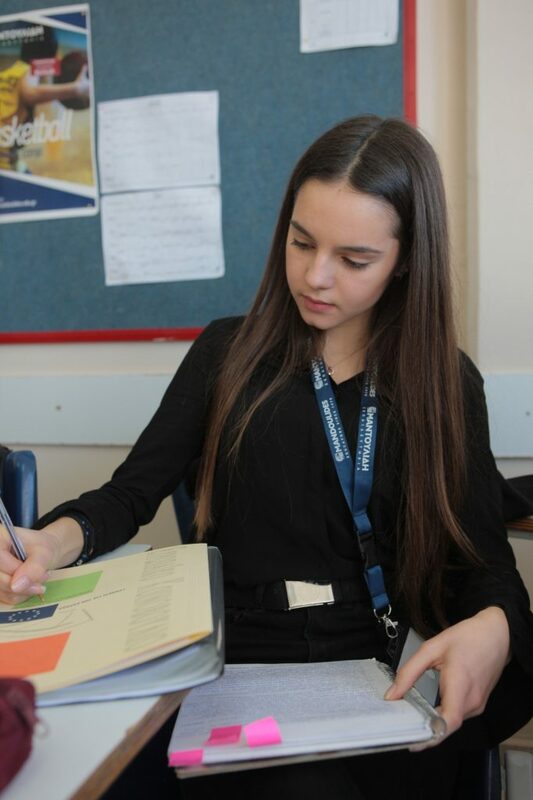 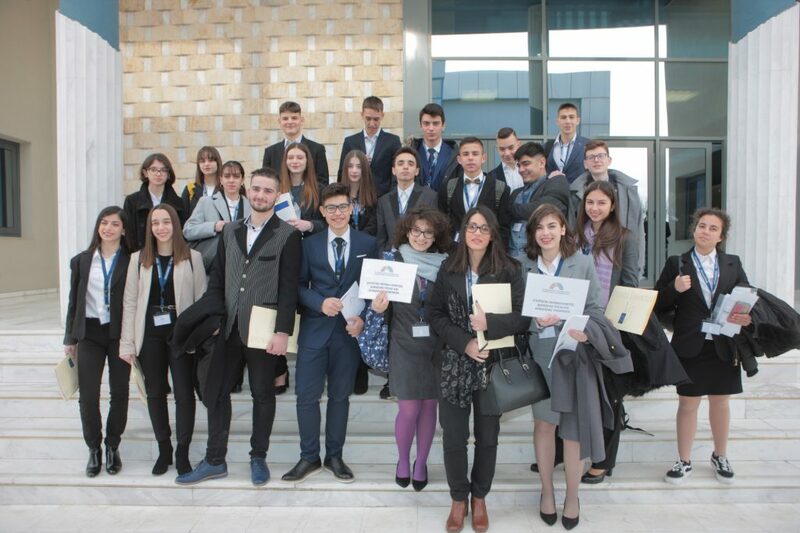 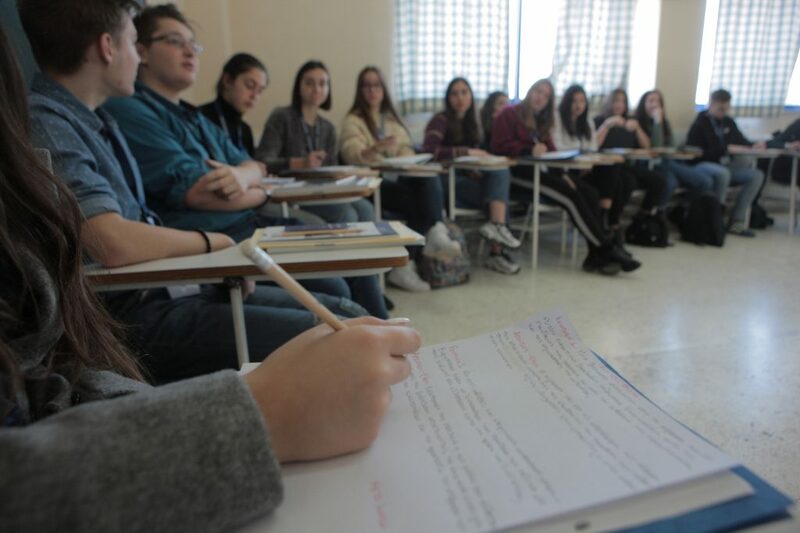 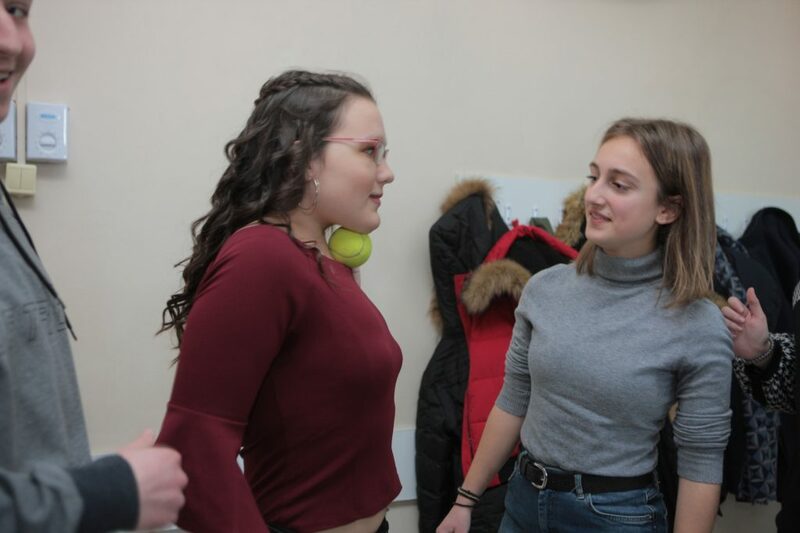 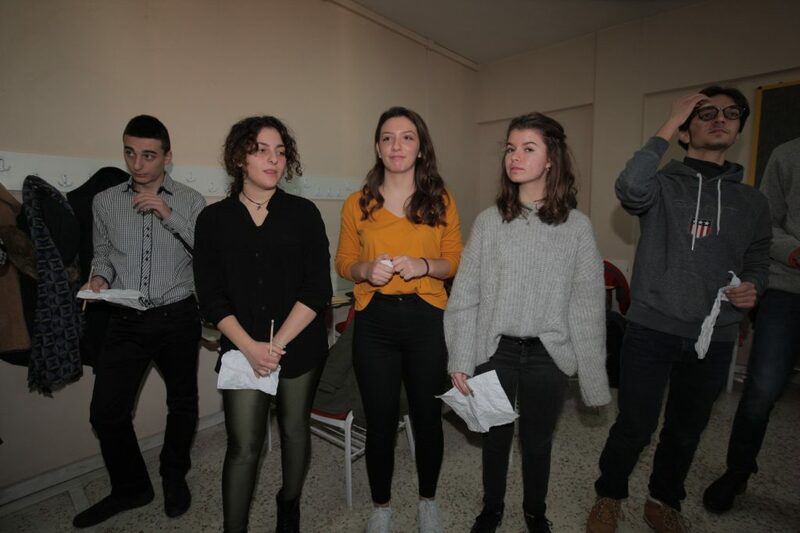 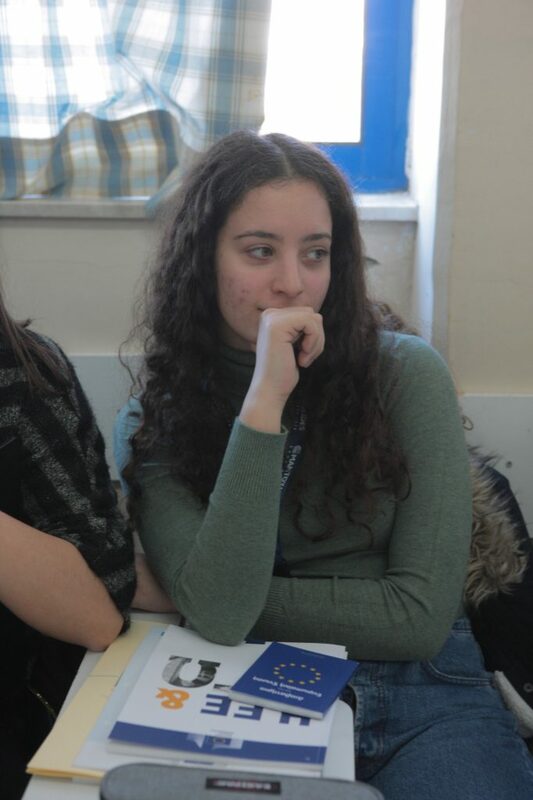 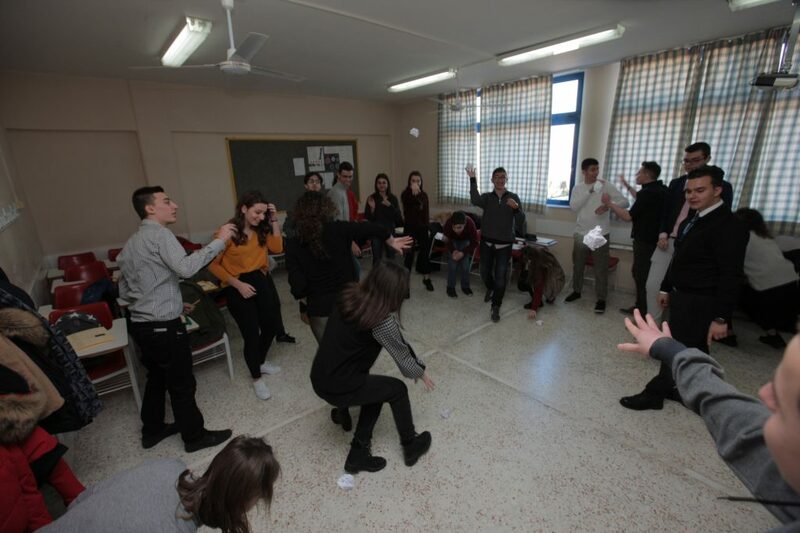 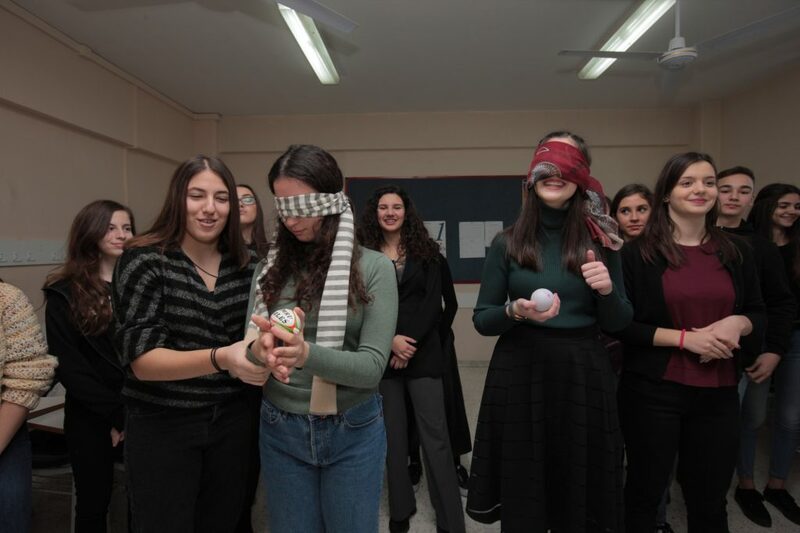 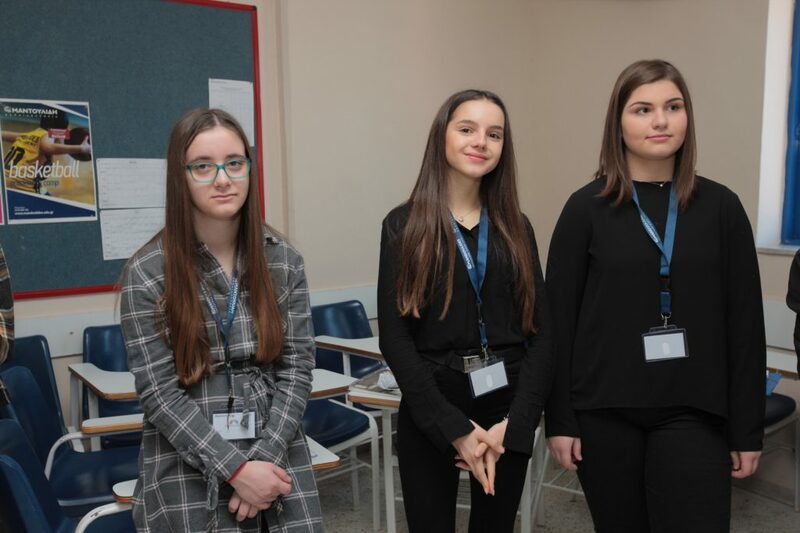 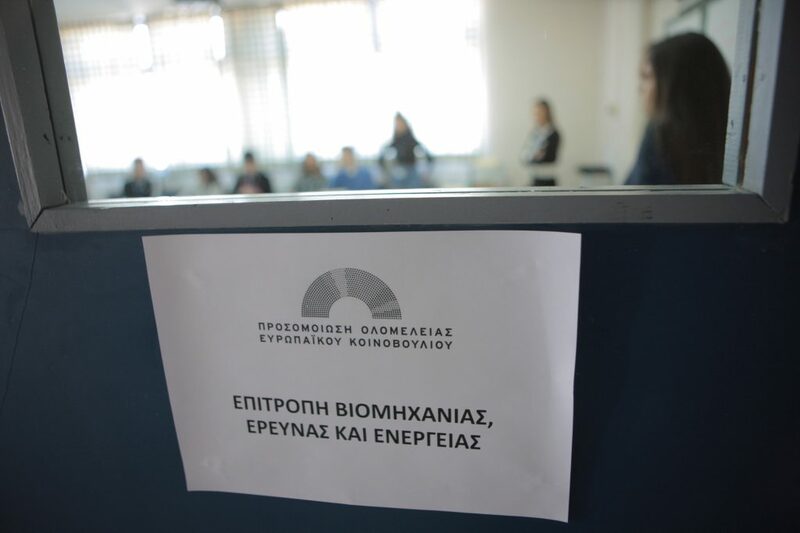 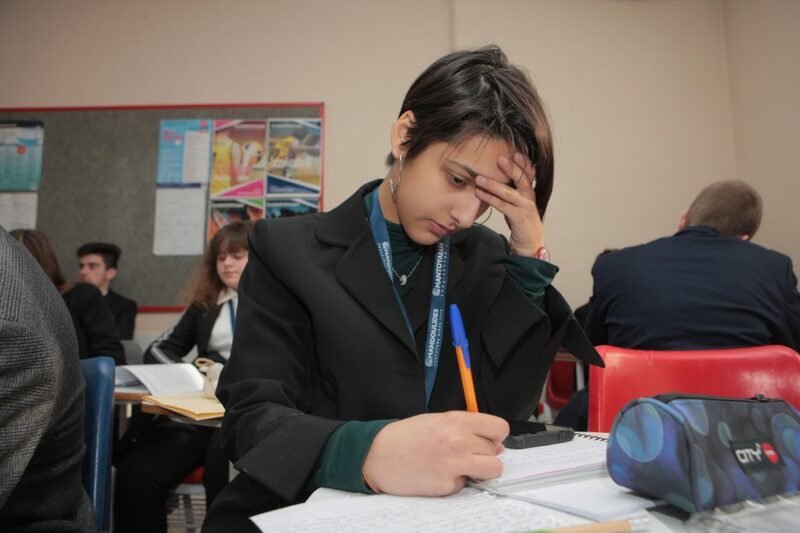 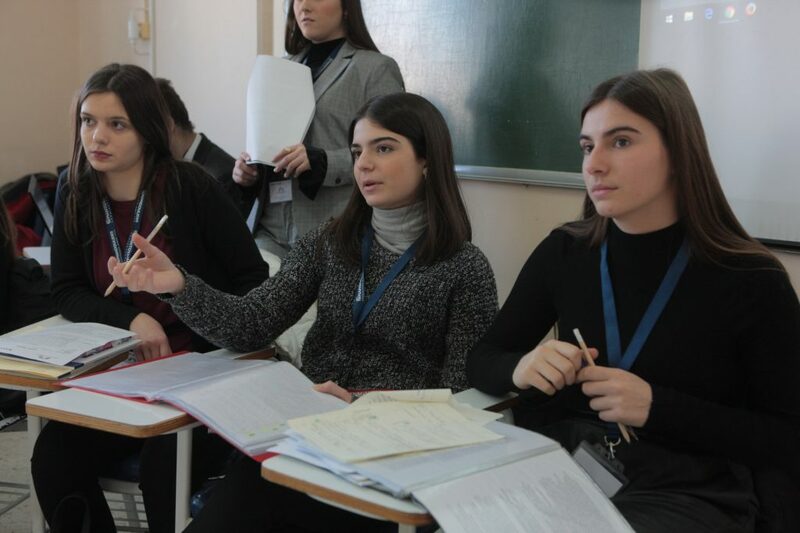 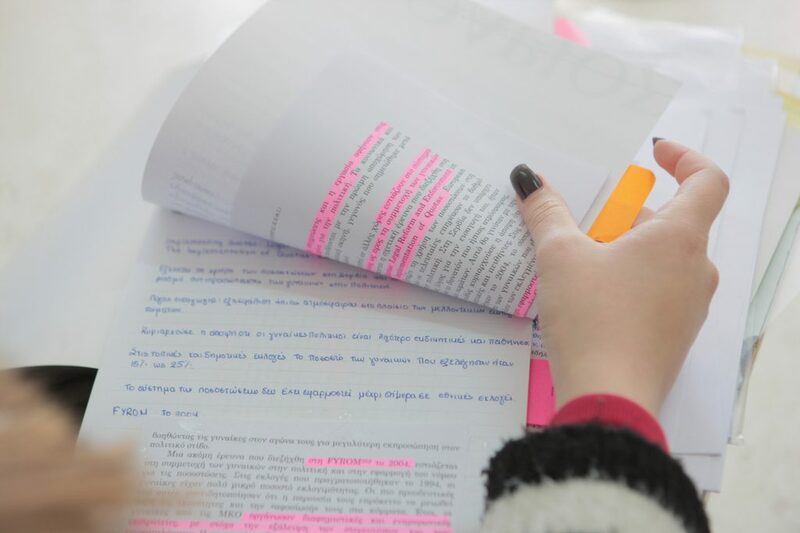 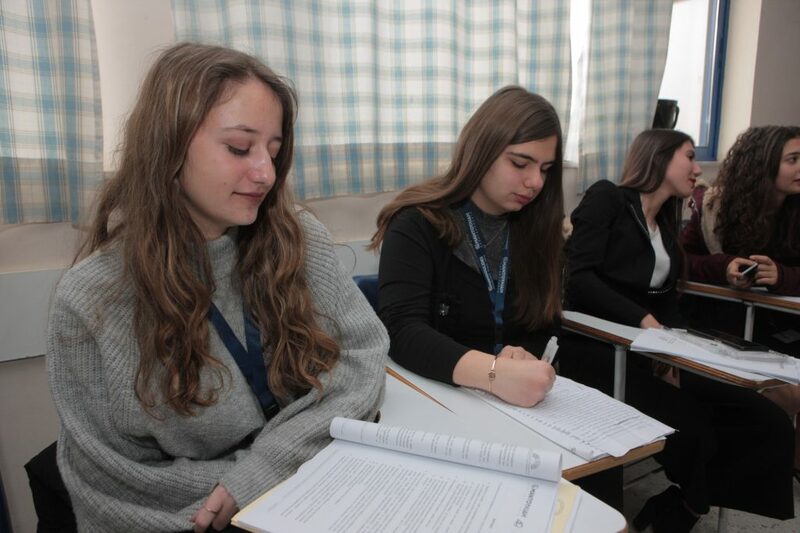 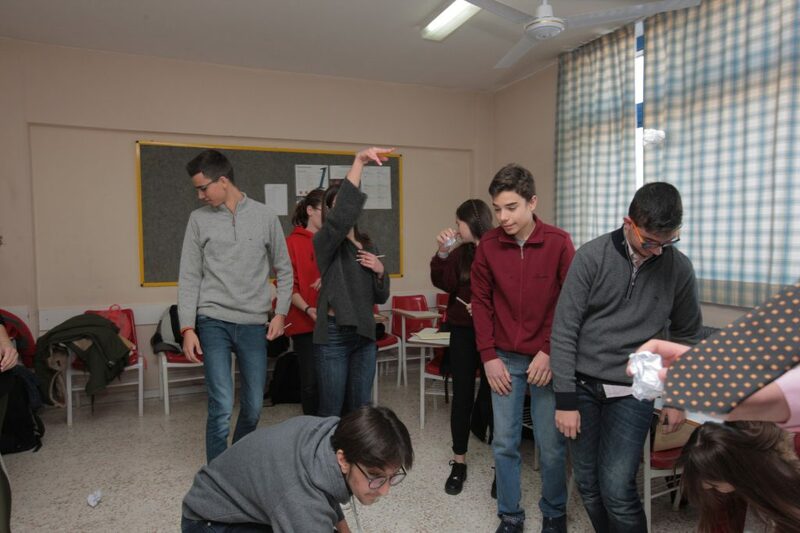 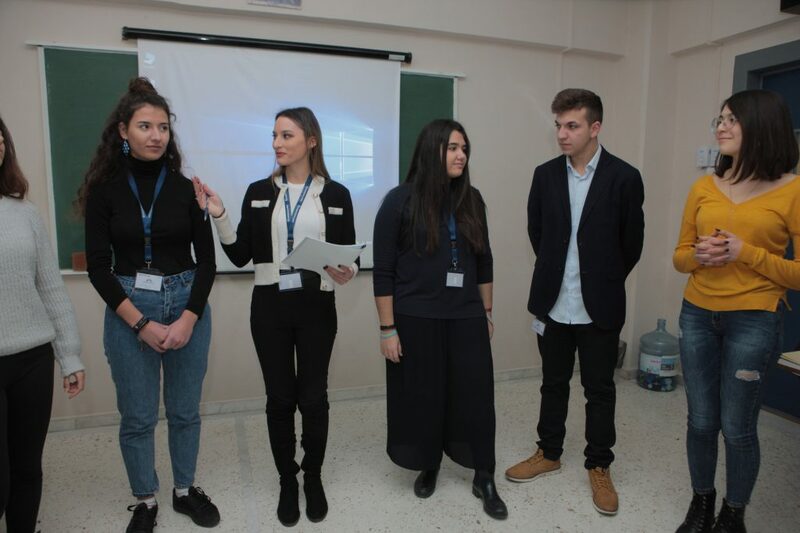 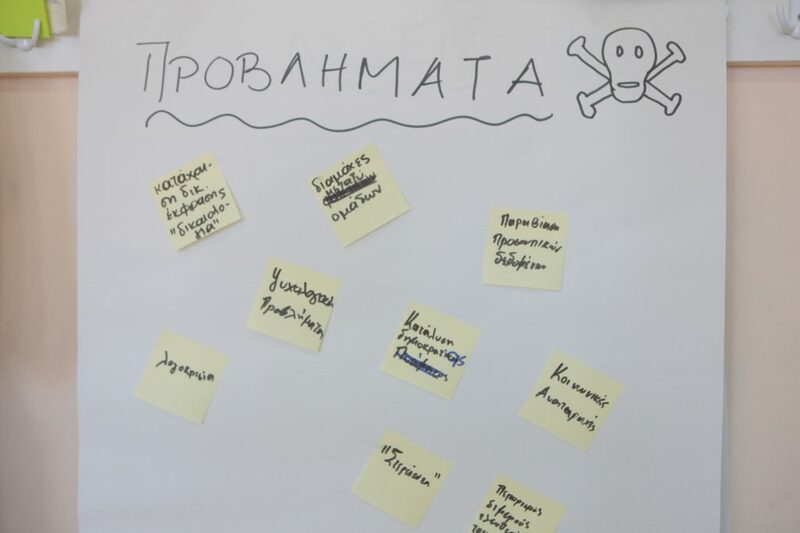 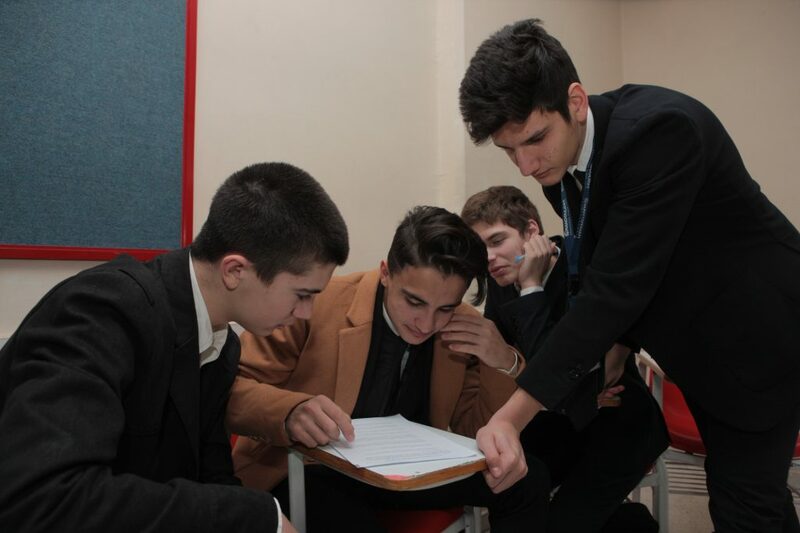 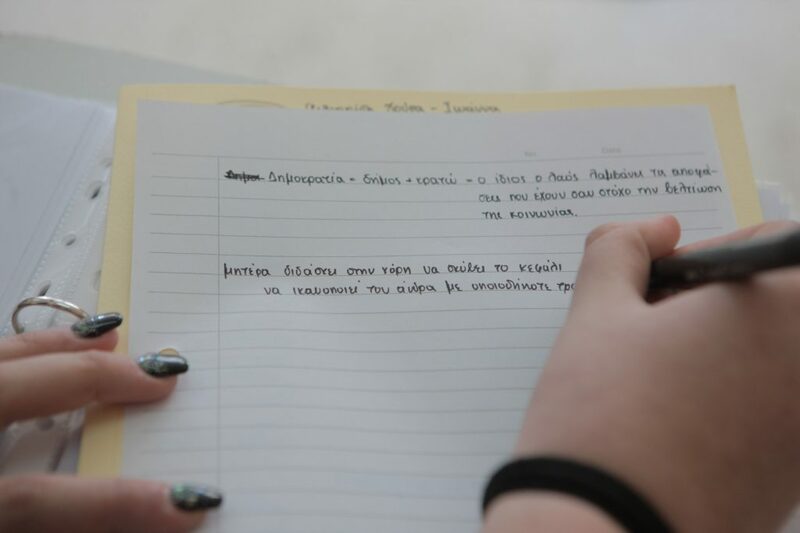 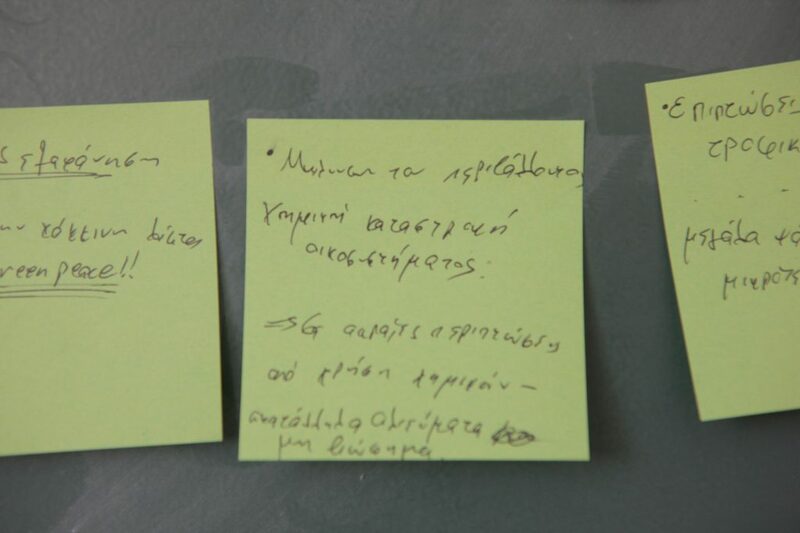 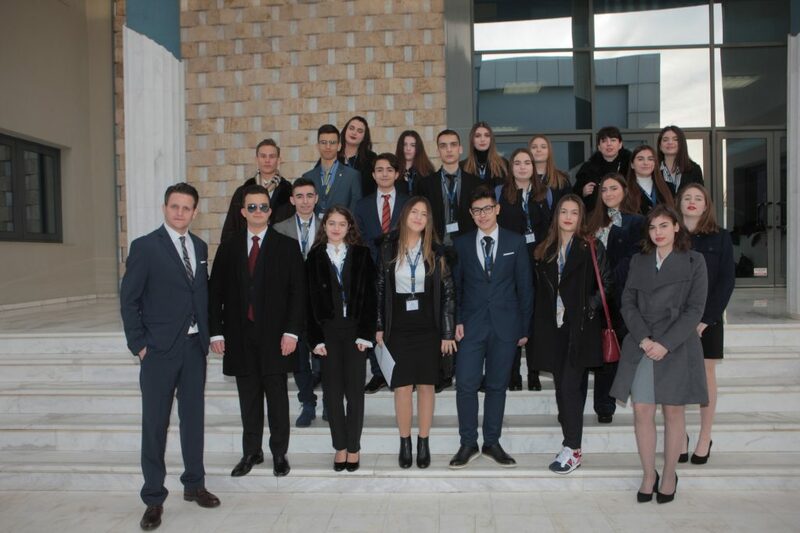 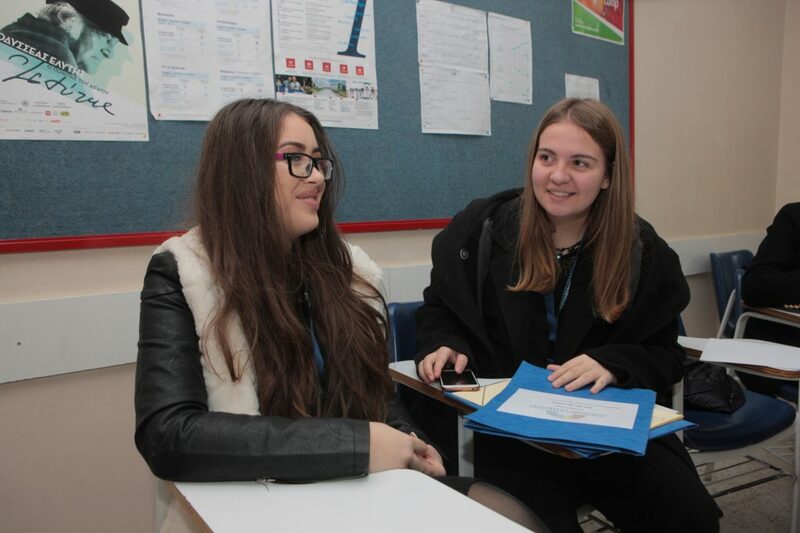 The following schools took part in the simulation: 1st General Senior High School of Katerini, 2nd General Senior High School of Giannitsa “Anna Komnini”, 2nd General Senior High School of Thermi “Giorgos Ioannou”, 3rd General Senior High School of Alexandroupoli, 5th General Senior High School of Kavala, 30th General Senior High School of Thessaloniki, AXION Xanthi, General Senior High School of Soufli, General Senior High School of Spetses, Athena Schools, Avgouleas - Linardatos Schools, Mandoulides Schools, N. Bakogiannis Schools, Zografeio Lykeio of Istanbul.